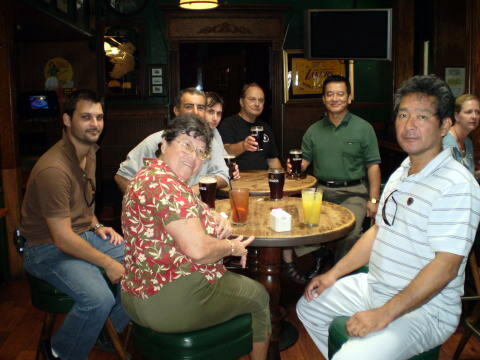 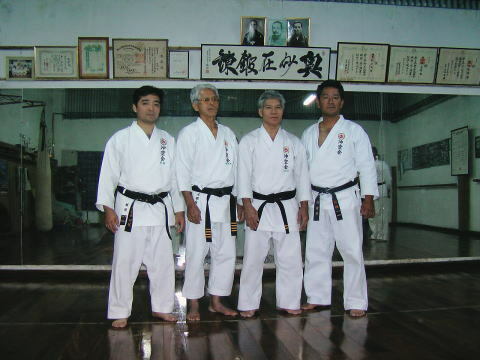 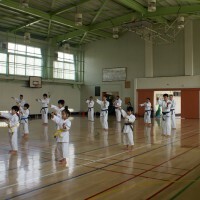 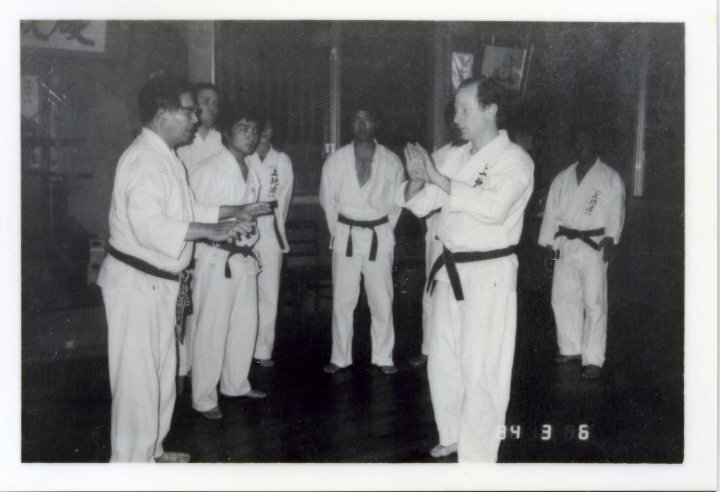 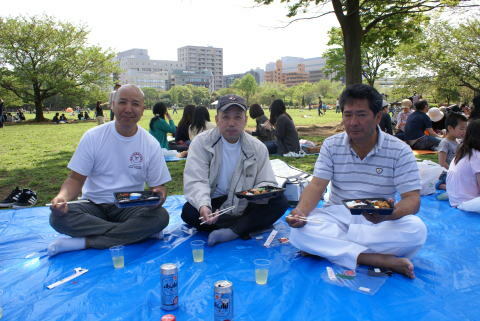 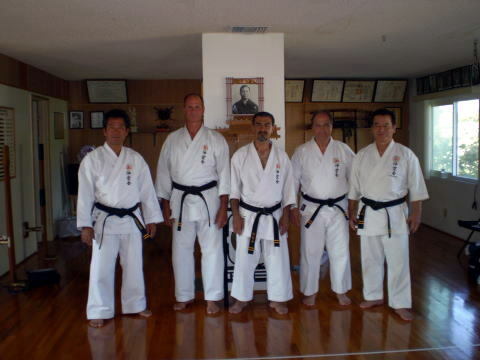 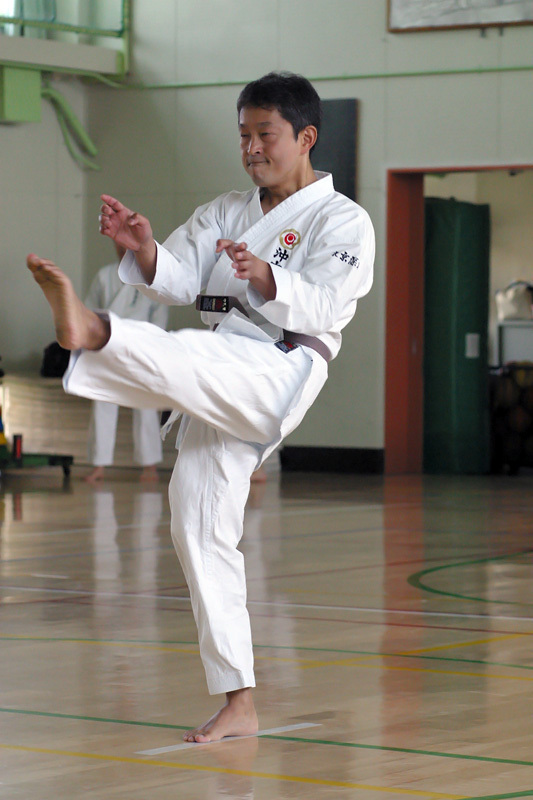 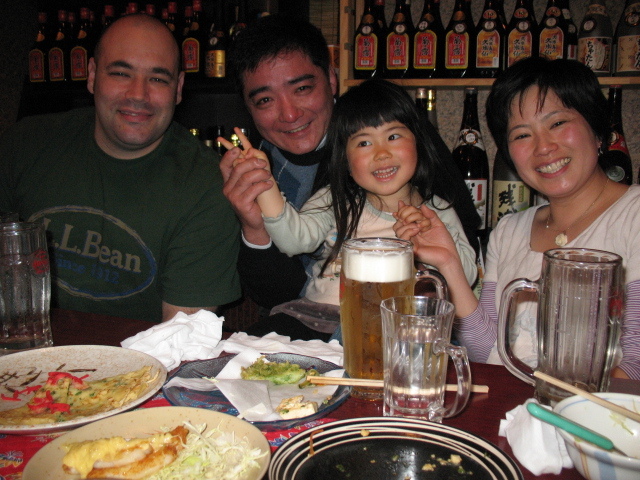 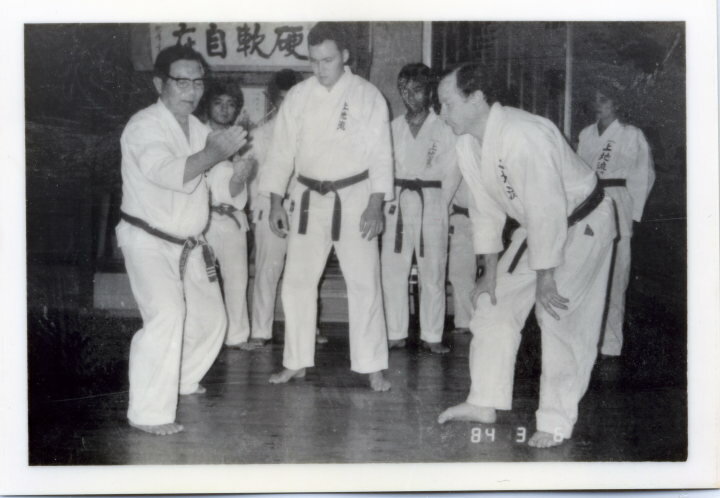 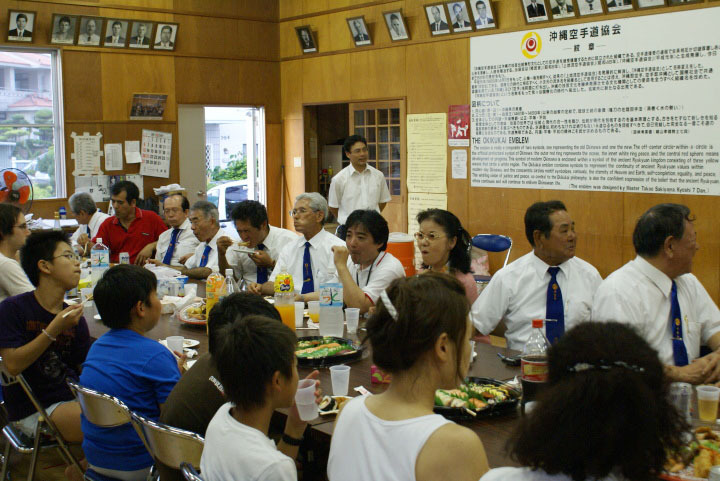 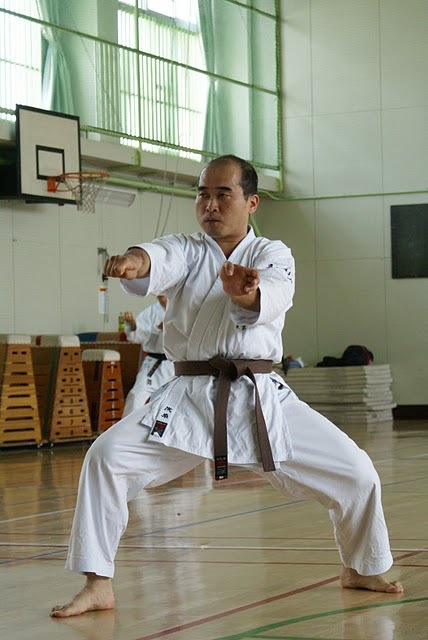 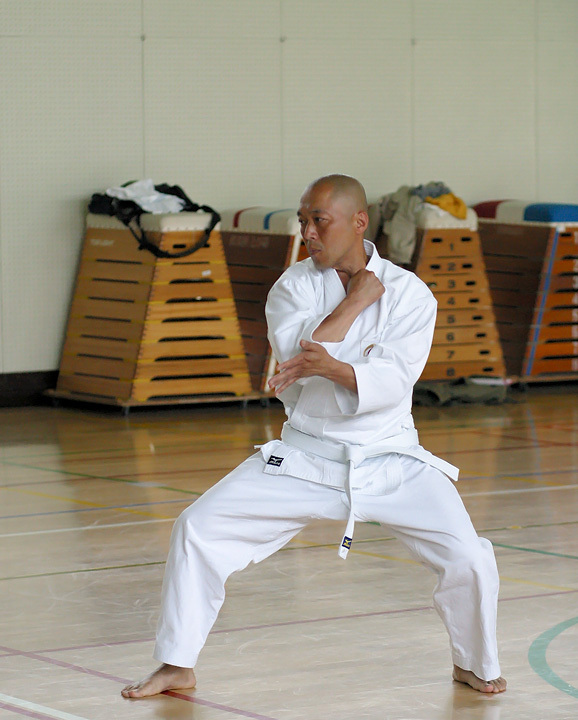 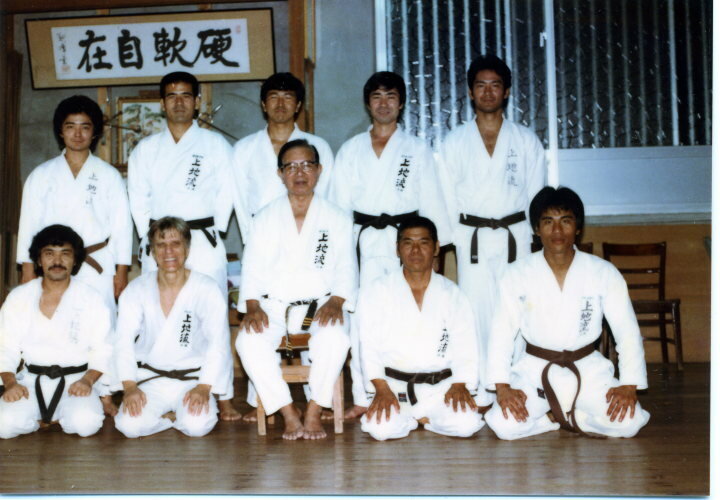 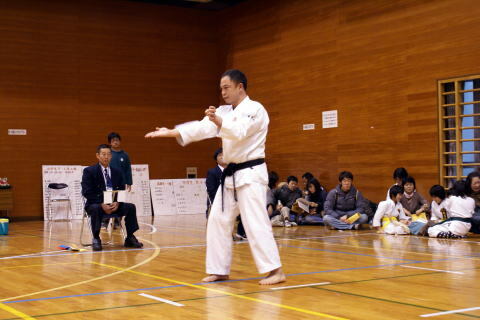 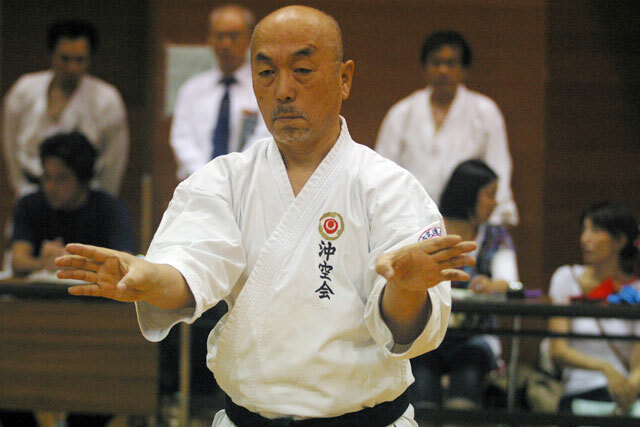 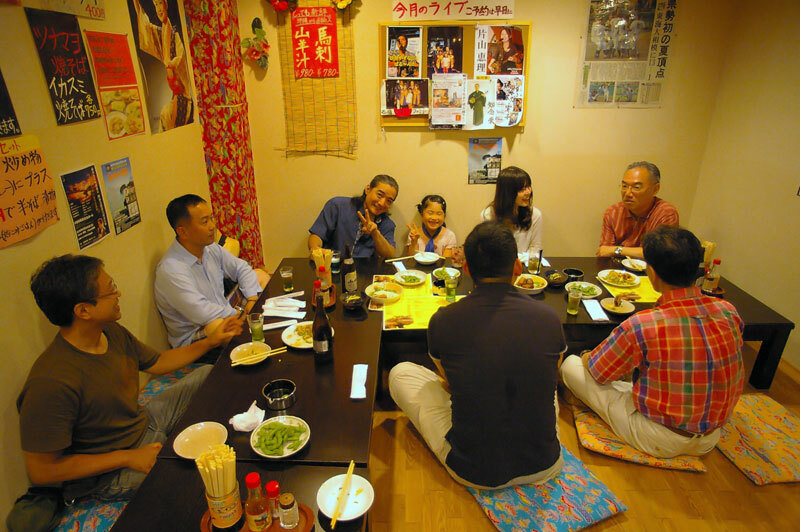 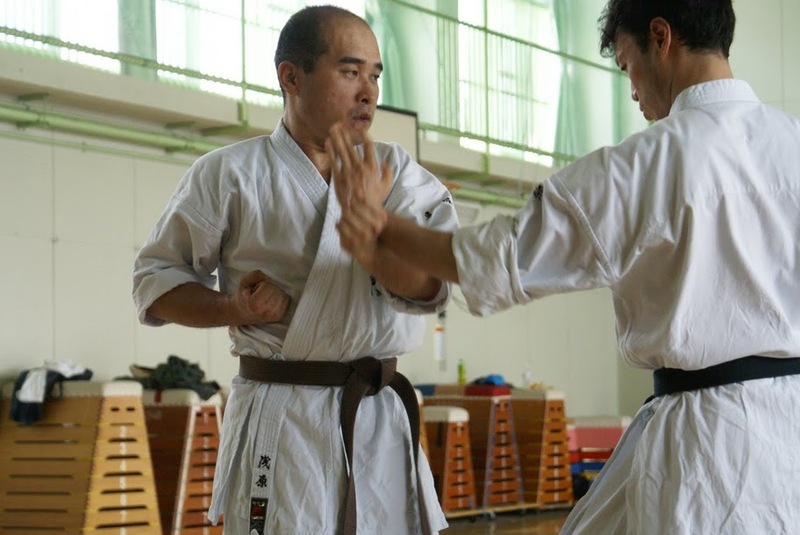 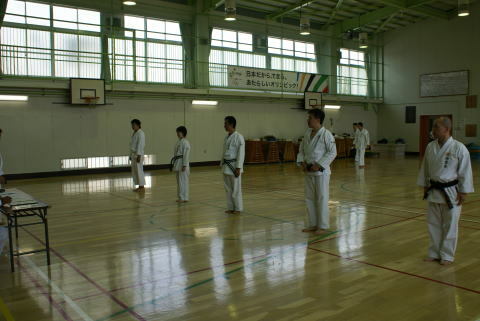 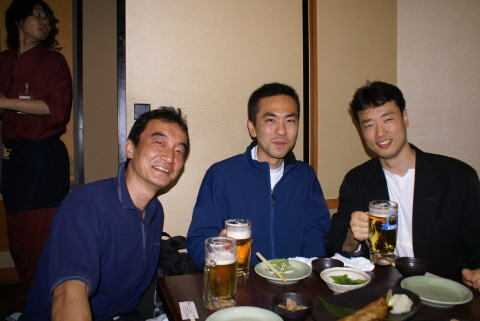 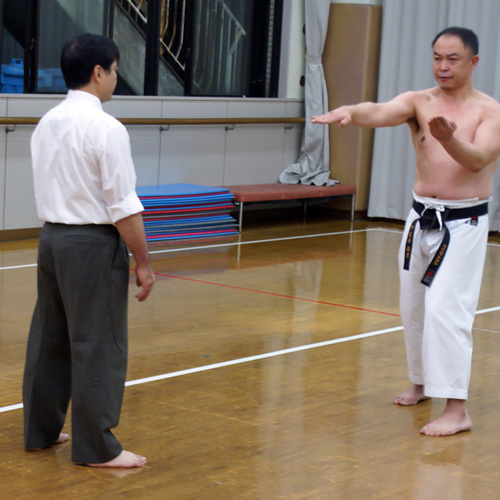 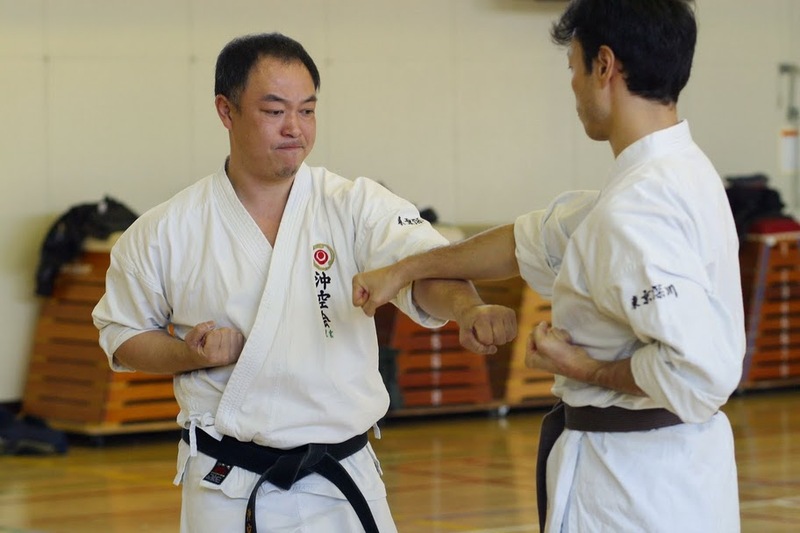 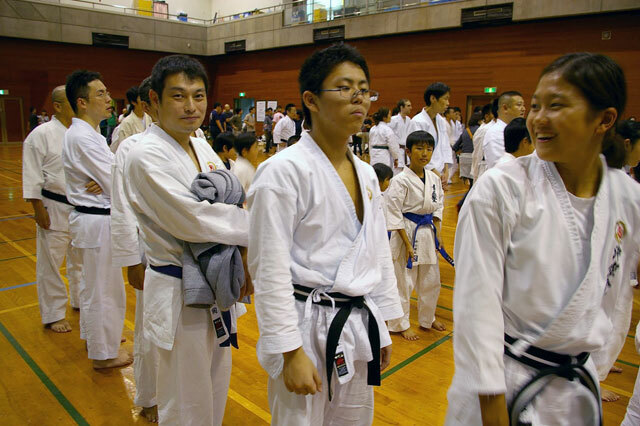 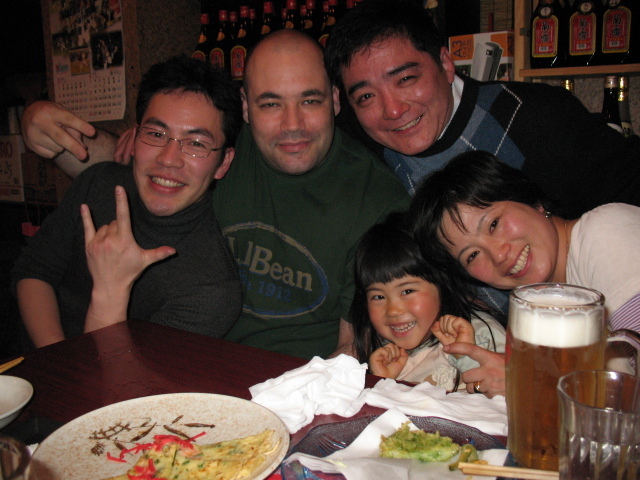 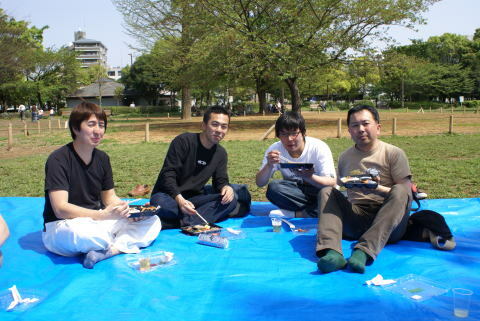 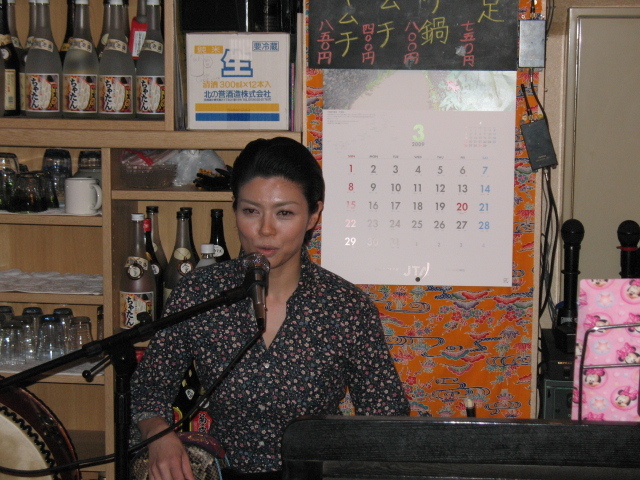 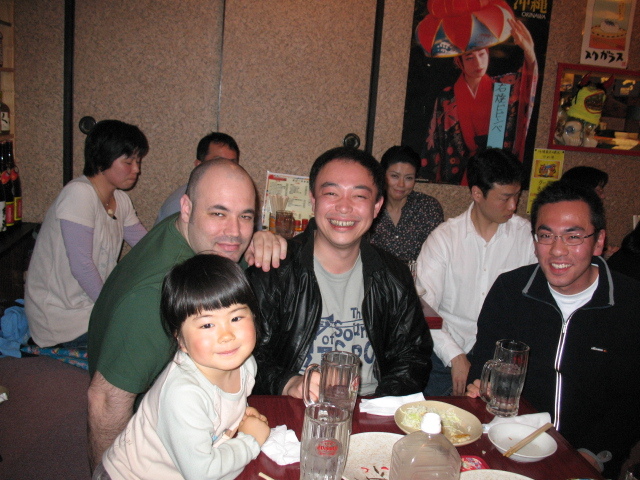 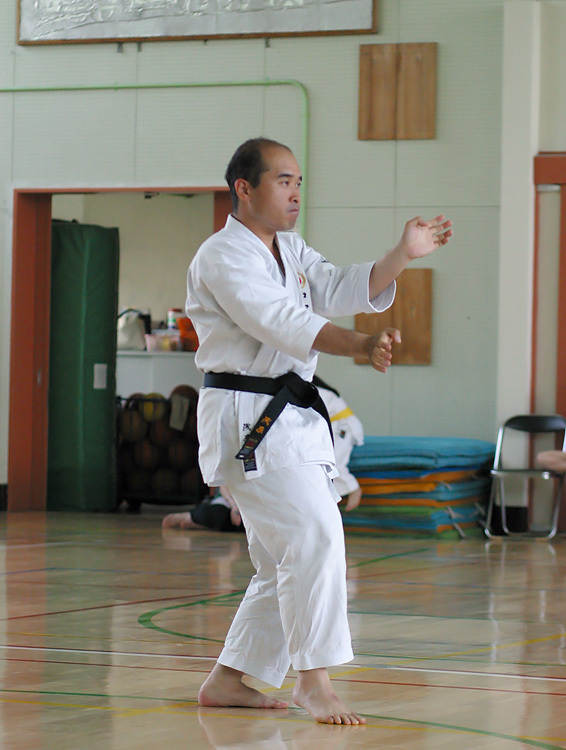 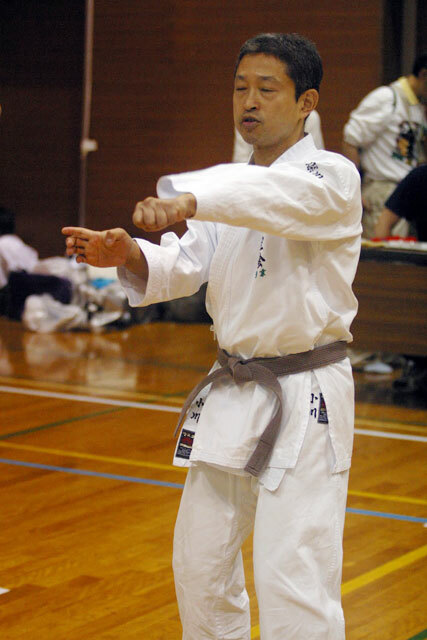 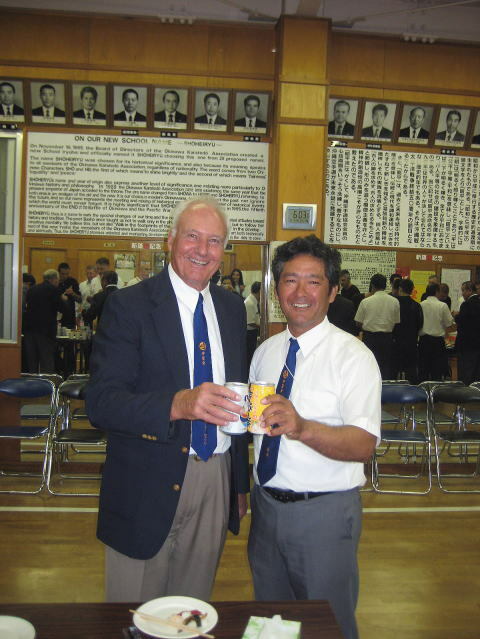 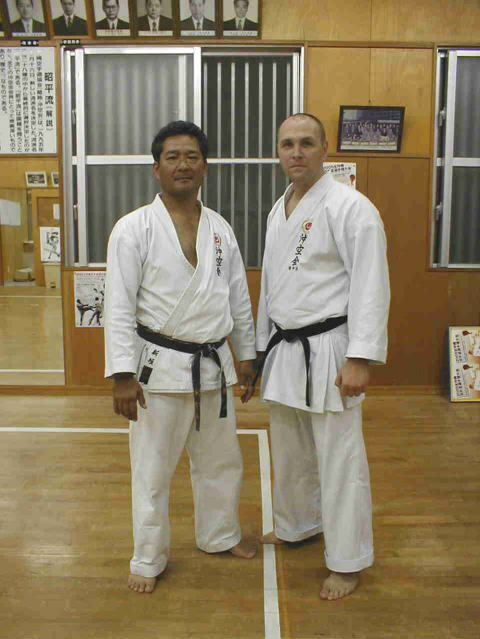 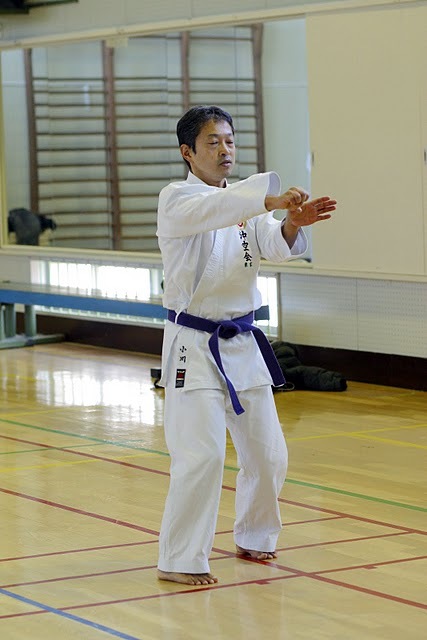 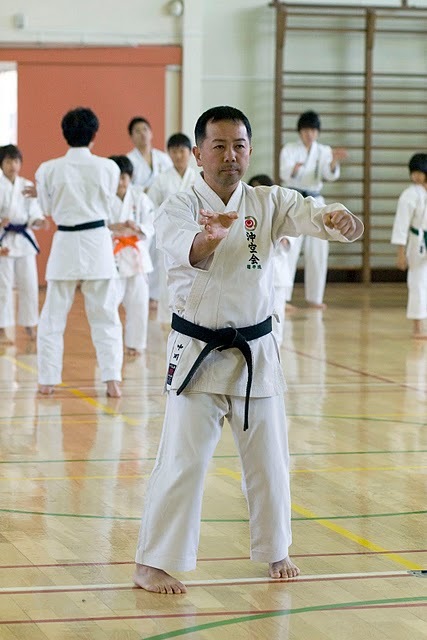 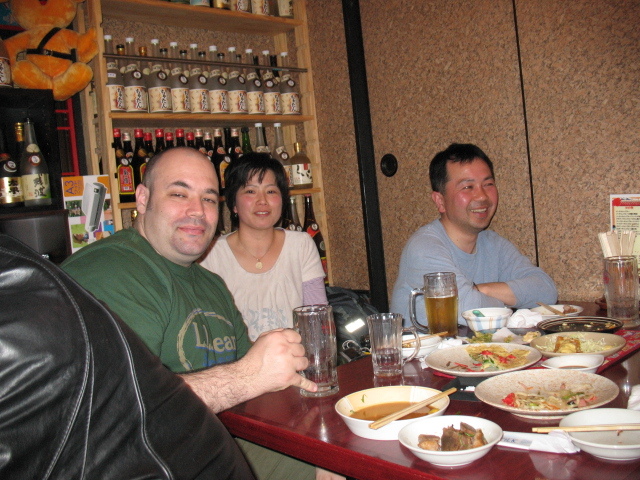 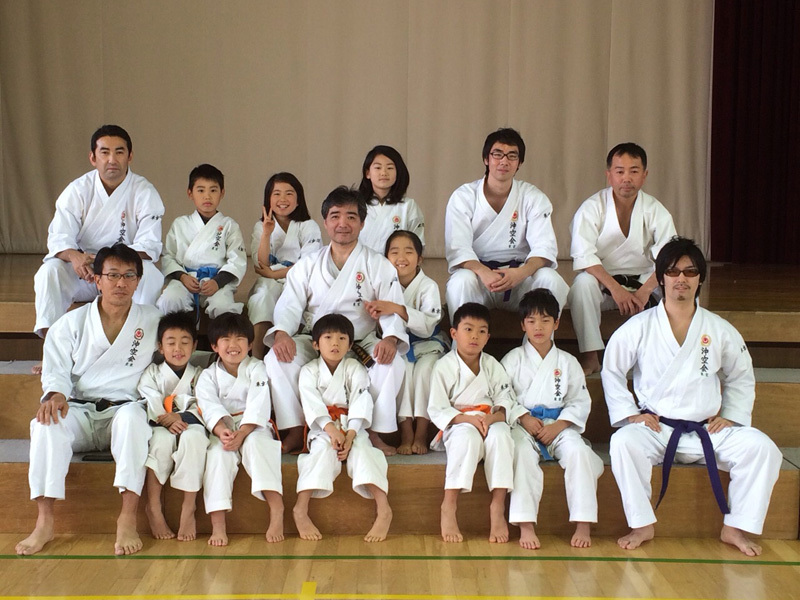 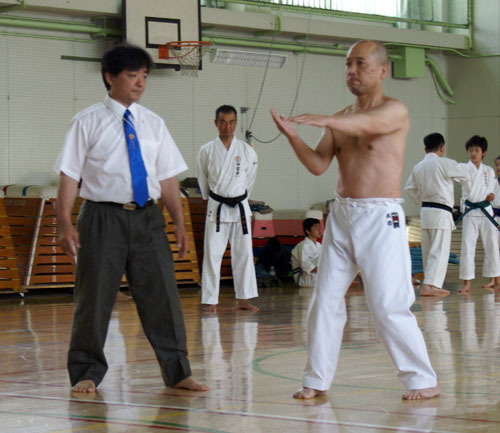 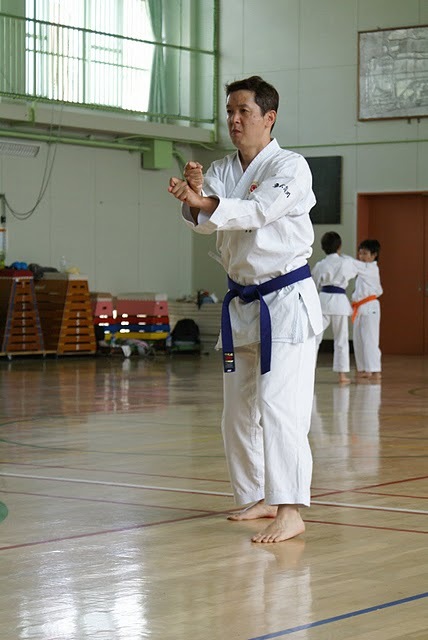 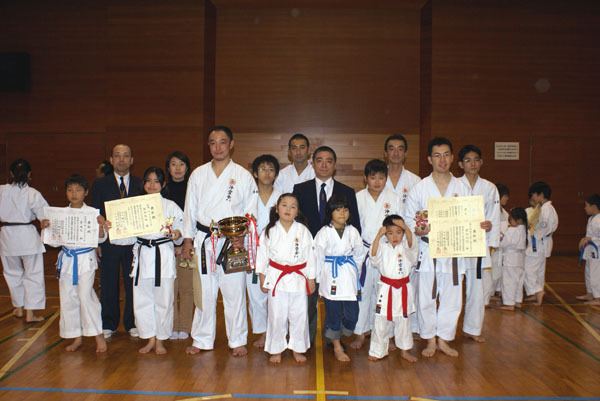 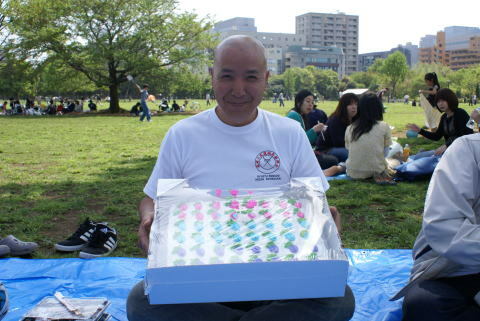 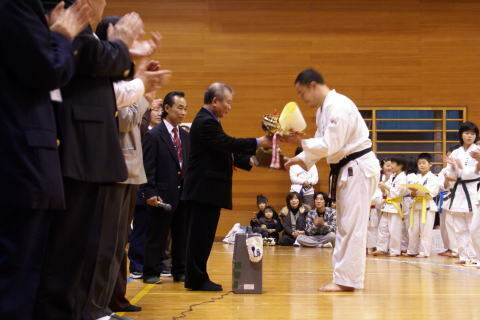 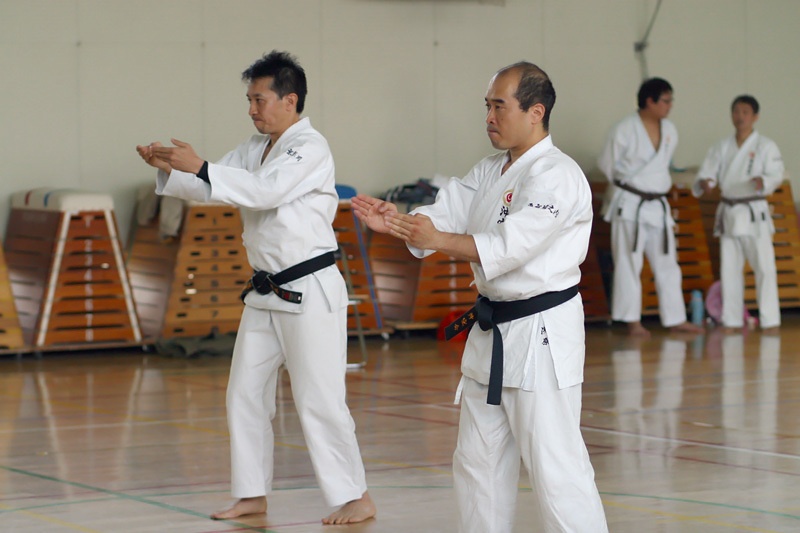 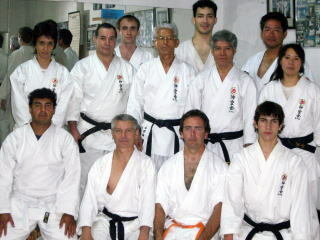 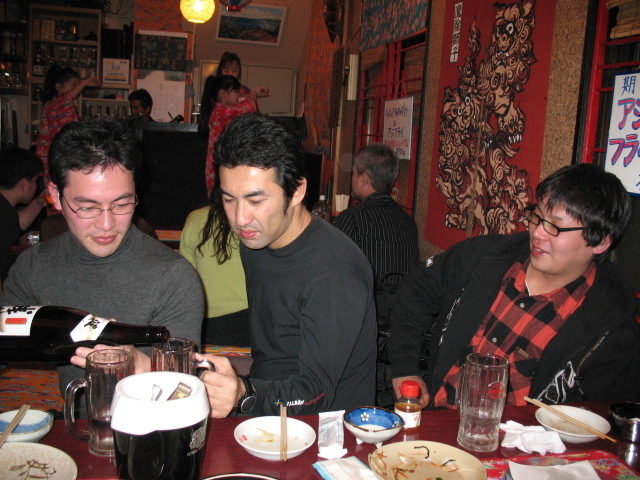 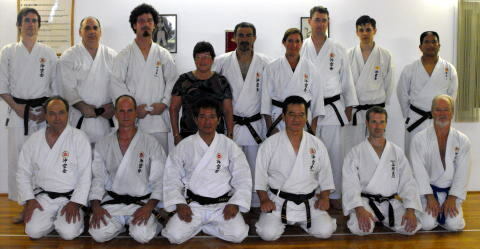 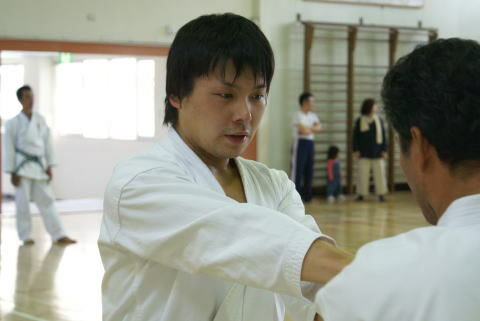 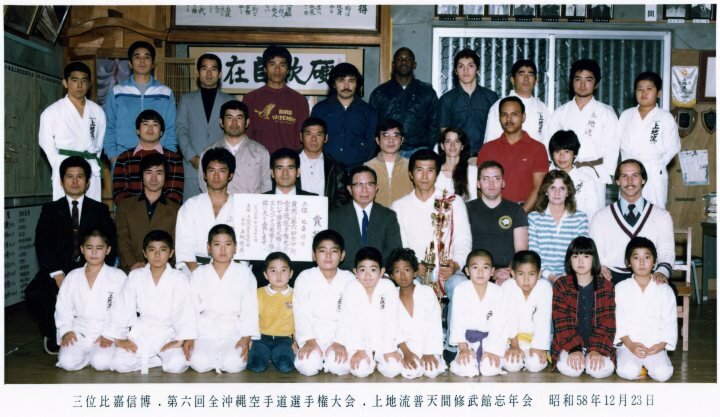 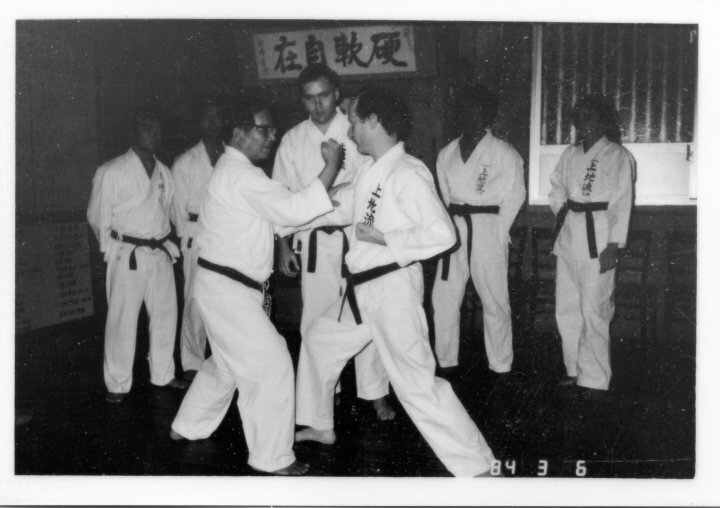 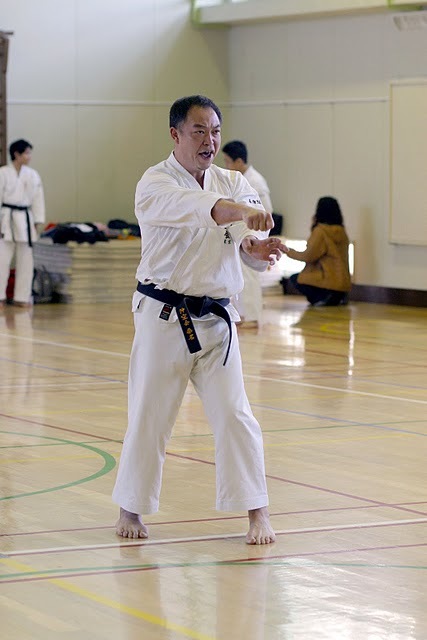 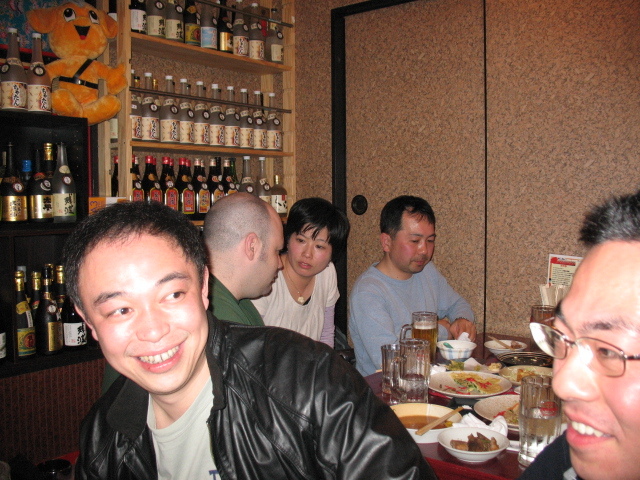 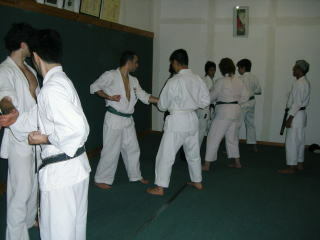 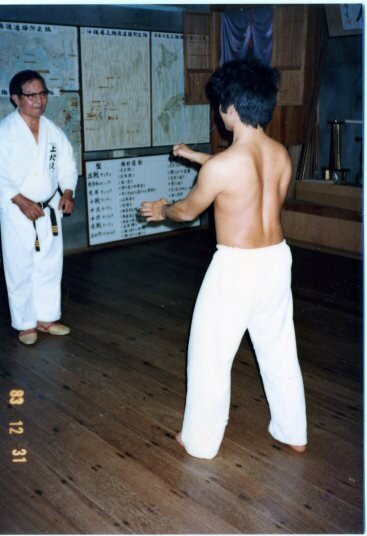 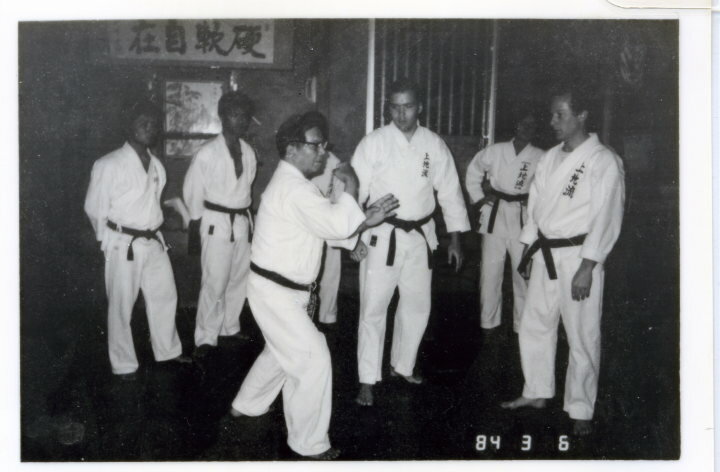 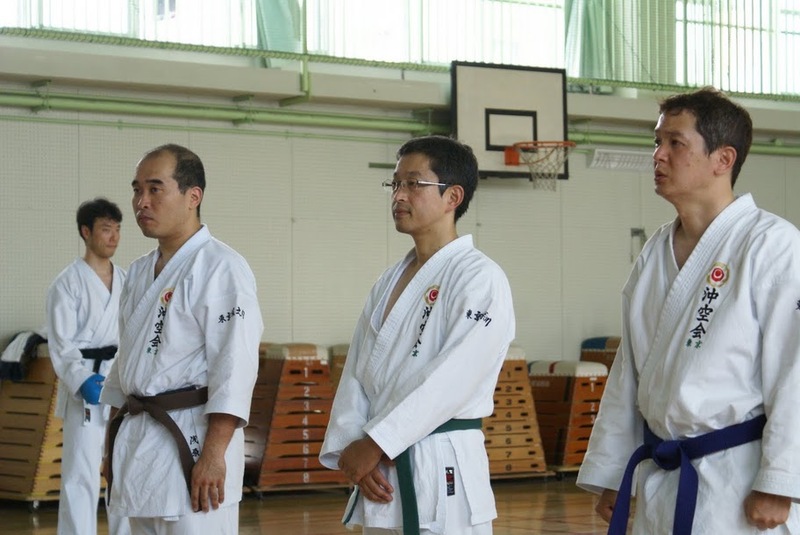 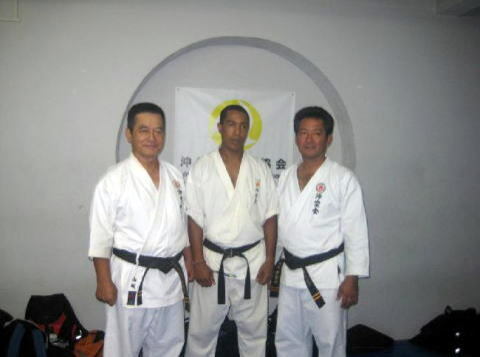 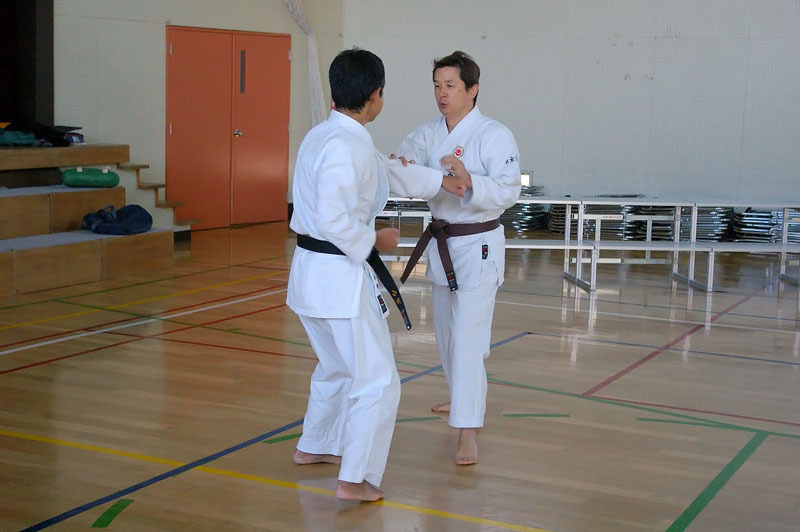 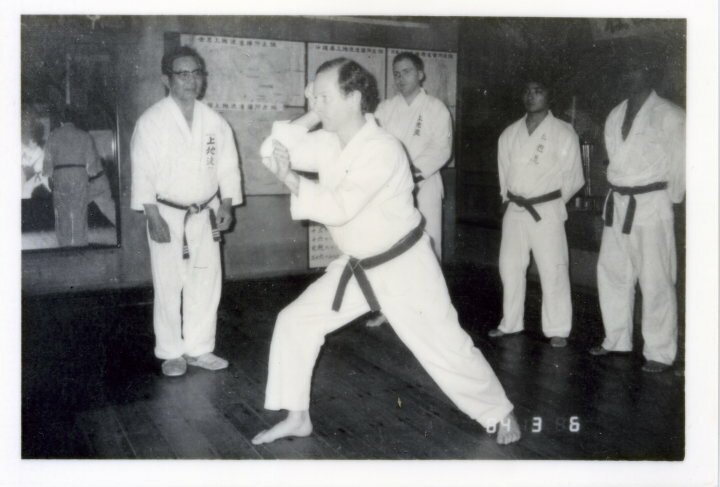 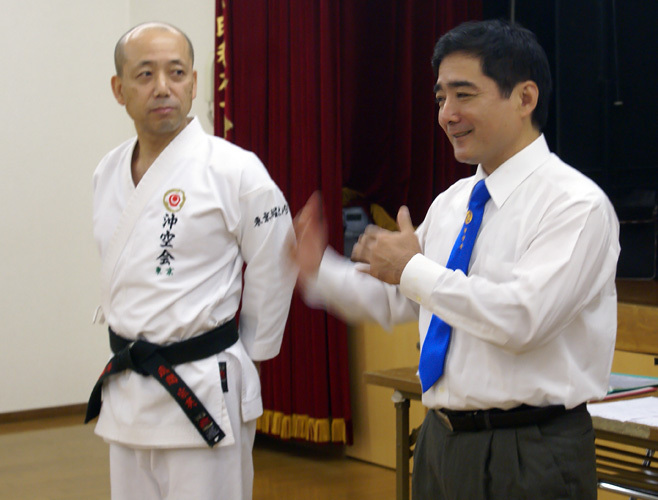 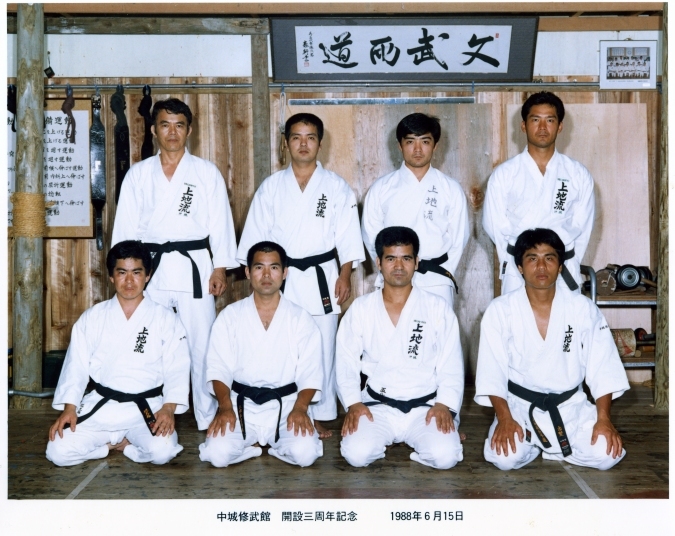 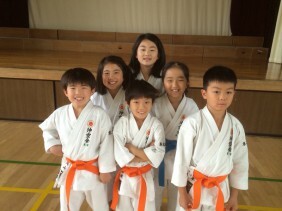 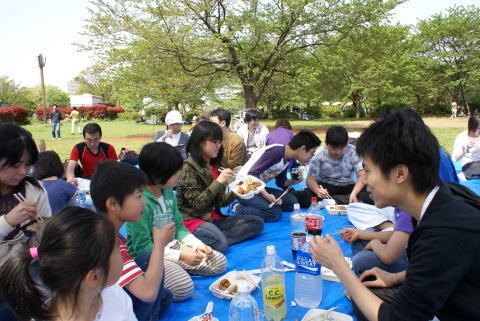 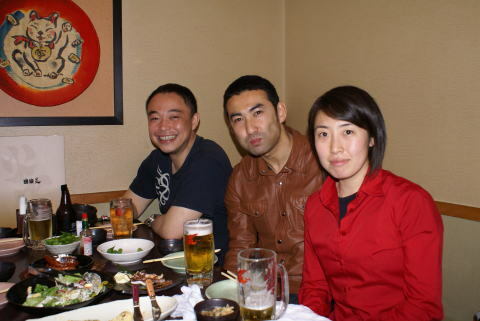 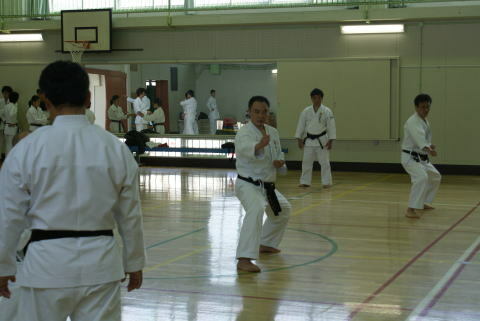 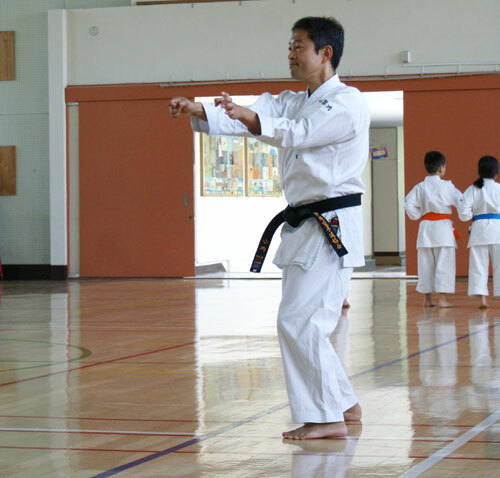 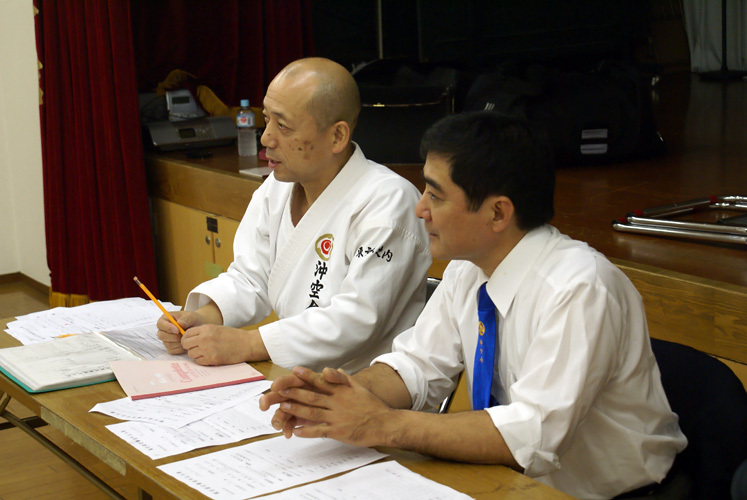 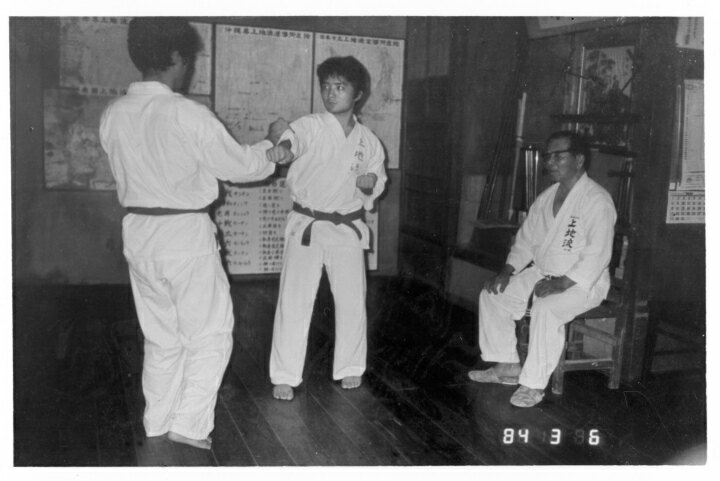 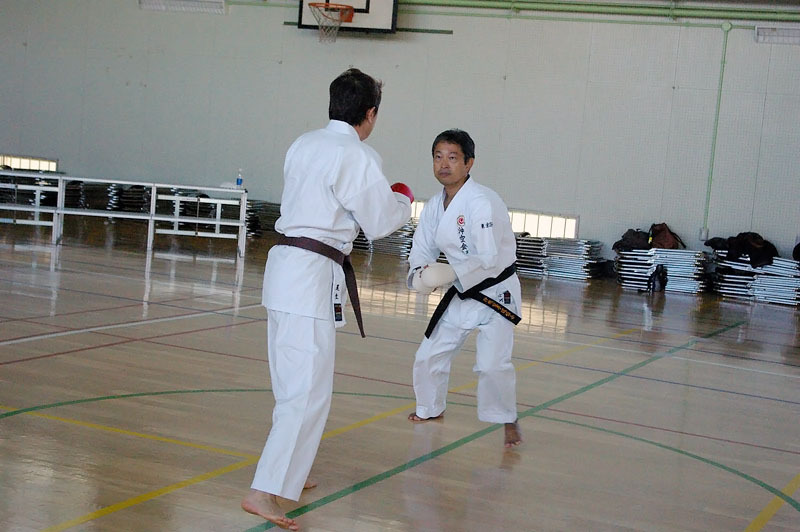 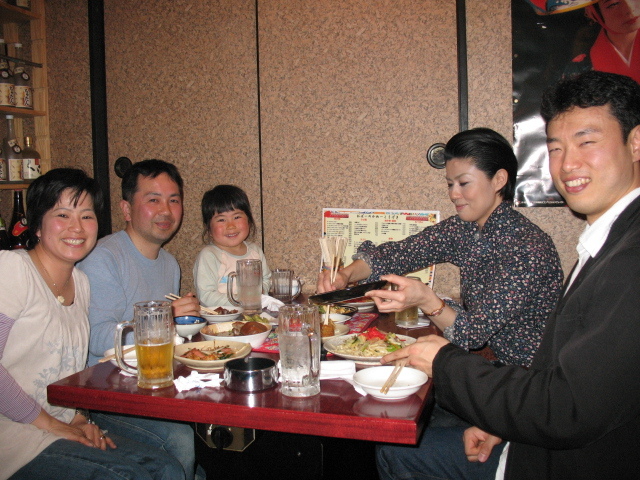 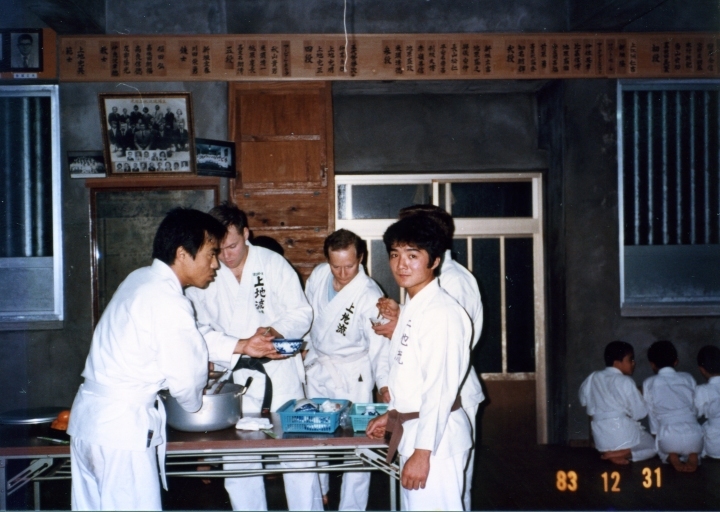 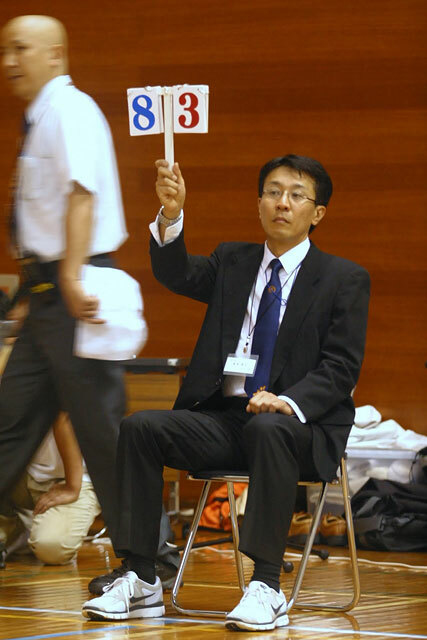 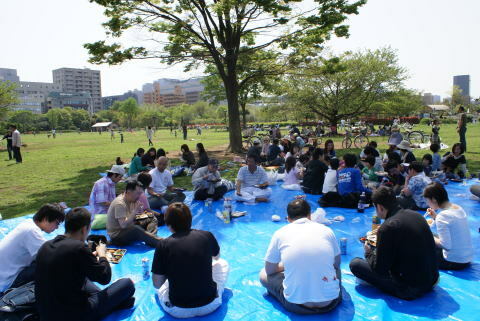 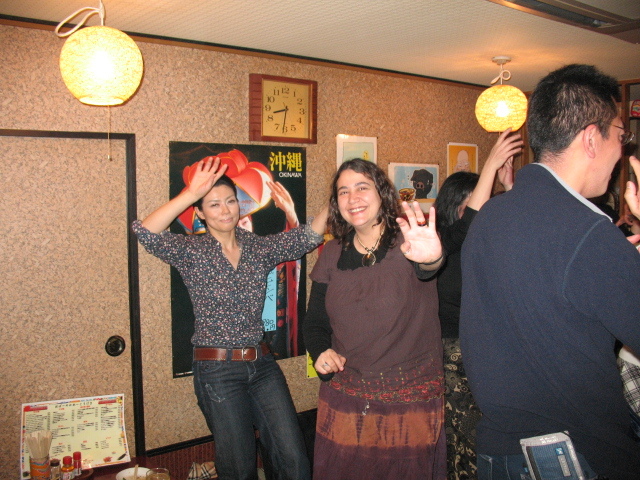 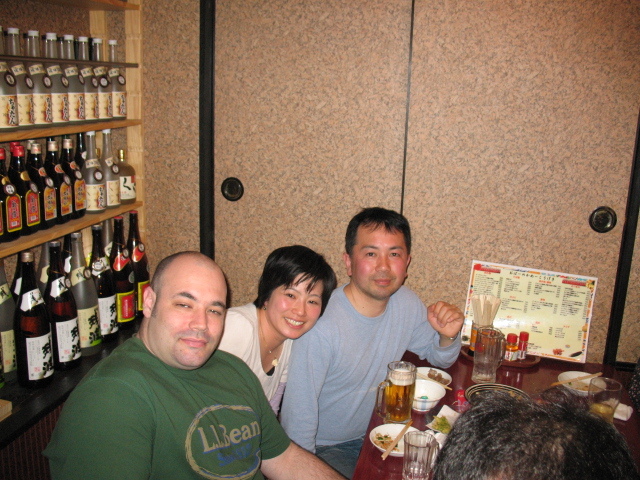 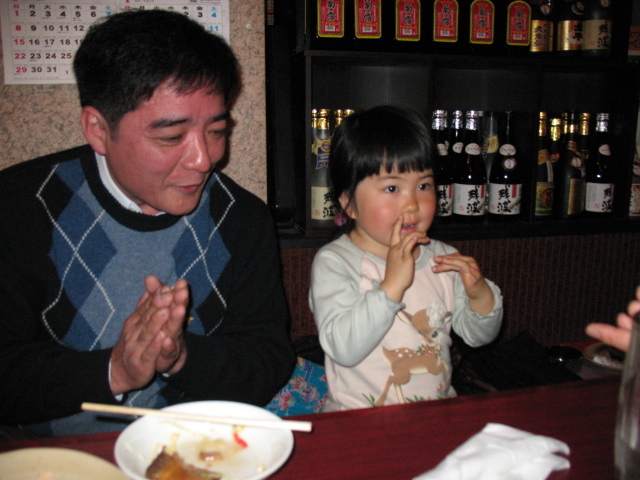 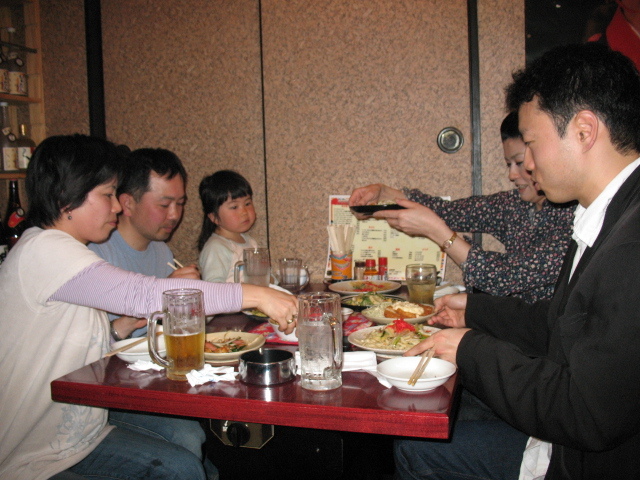 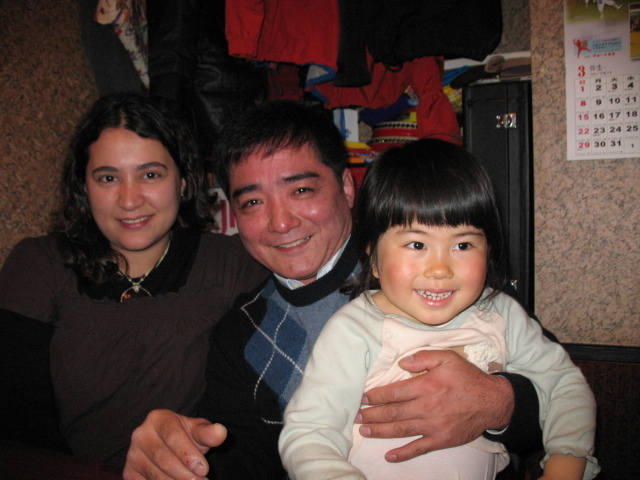 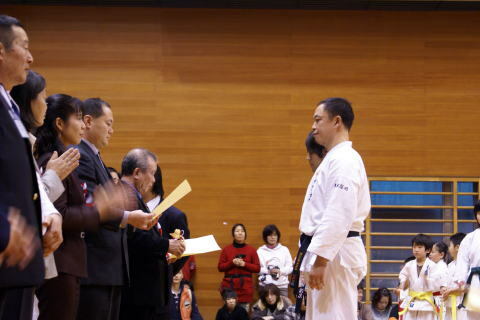 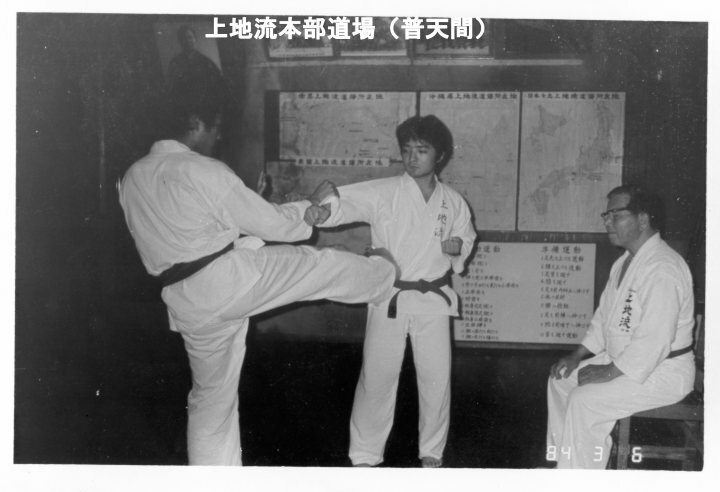 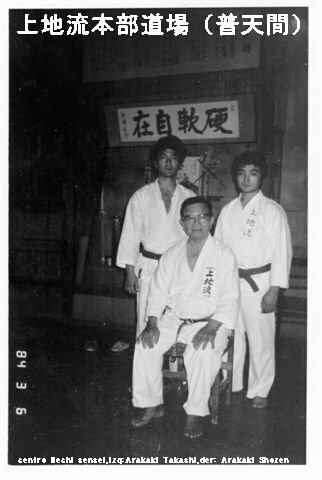 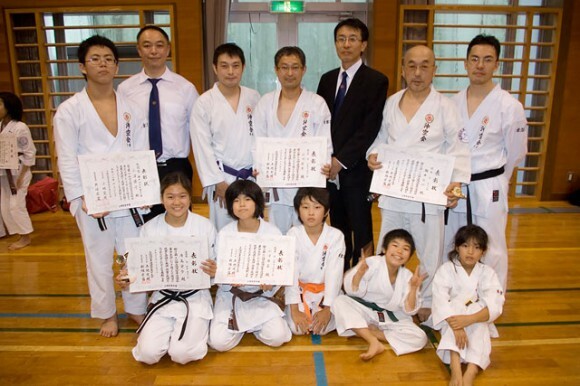 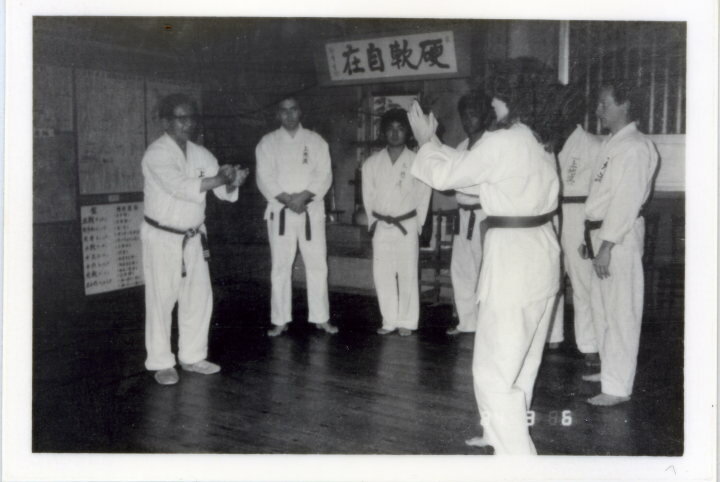 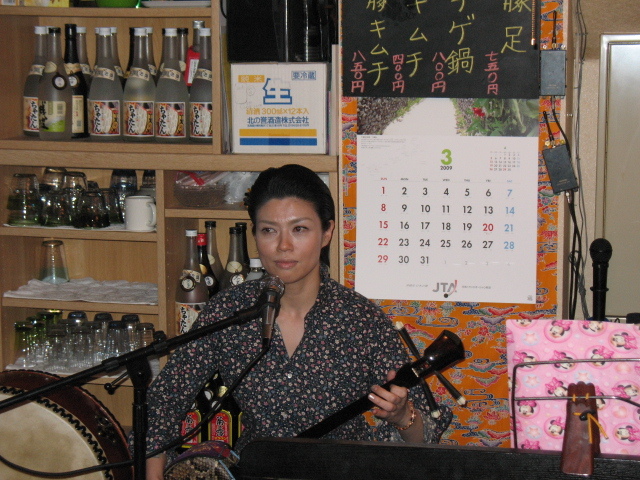 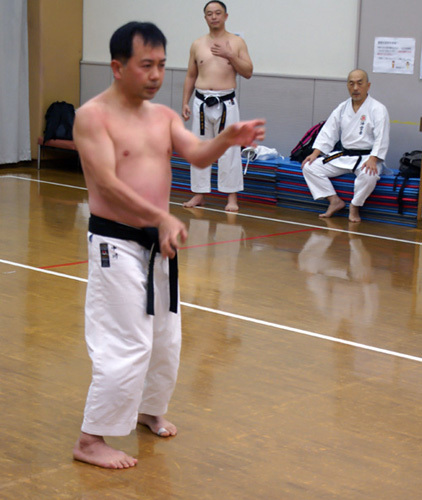 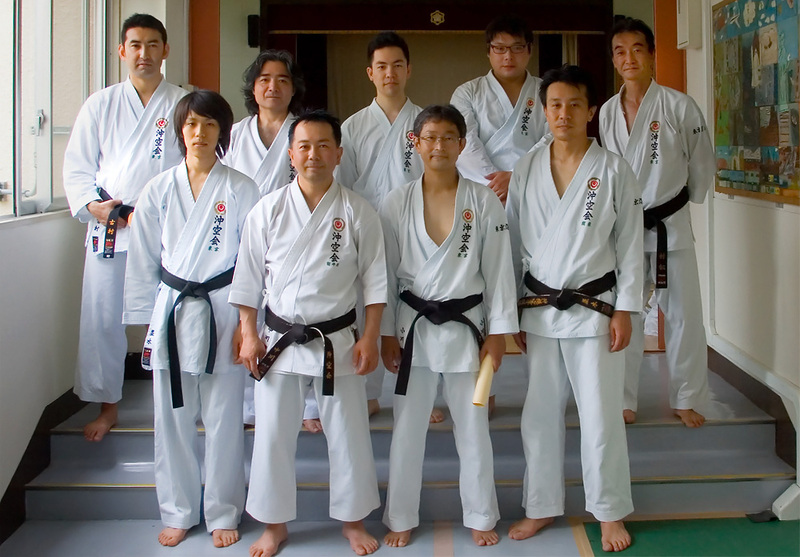 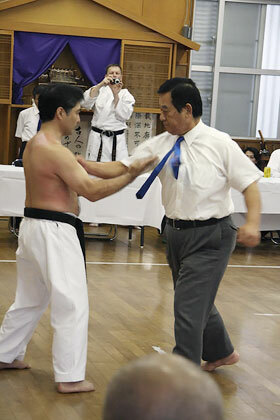 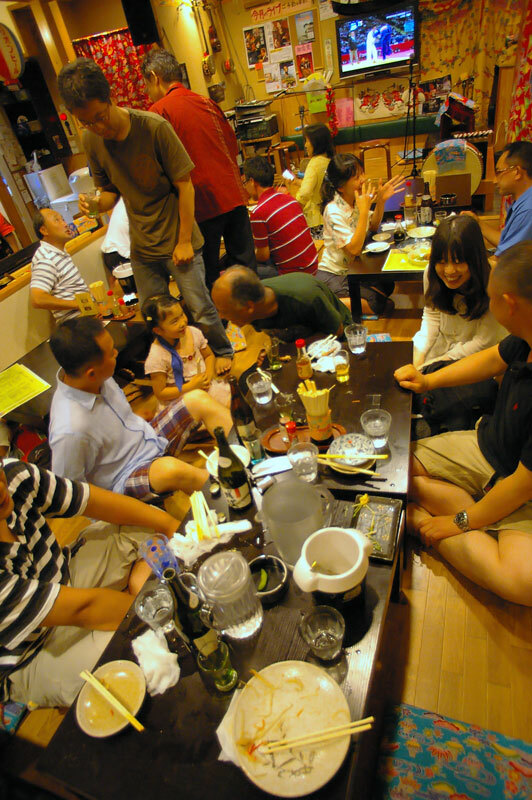 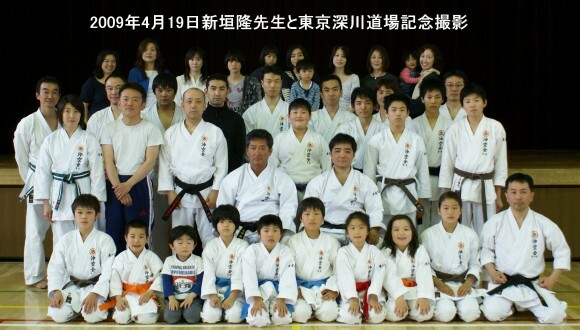 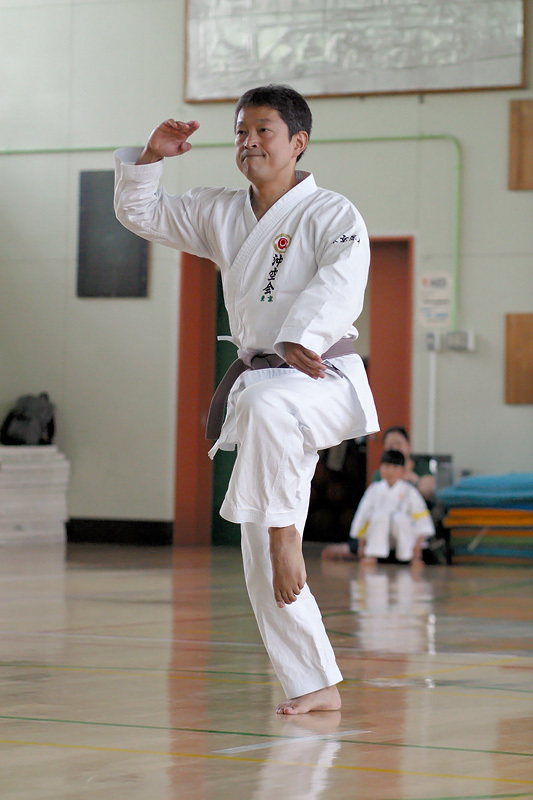 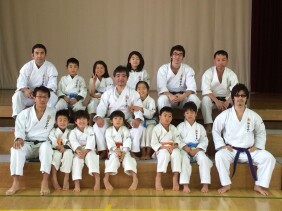 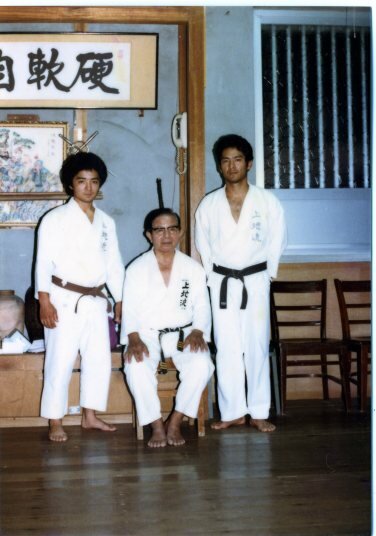 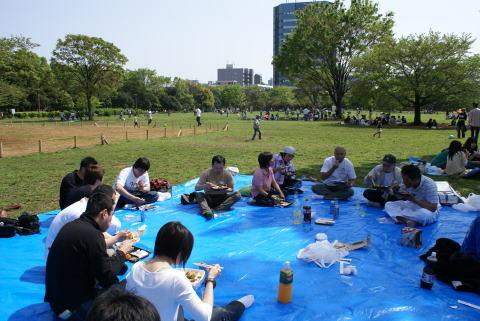 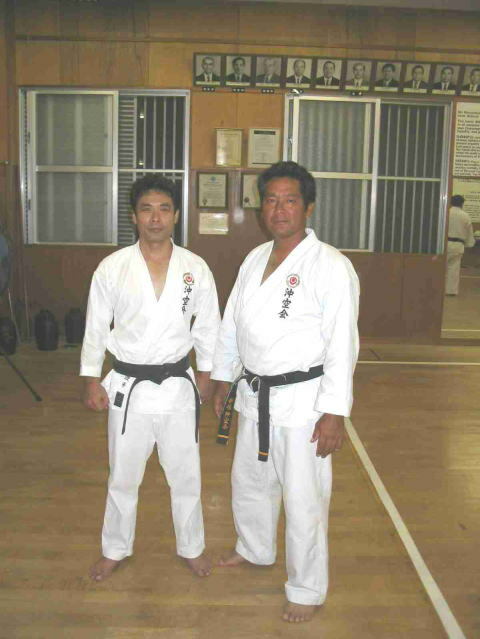 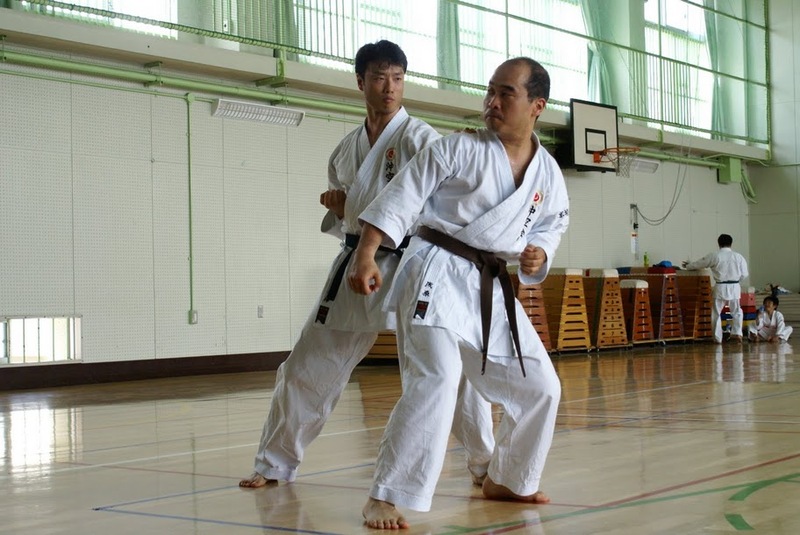 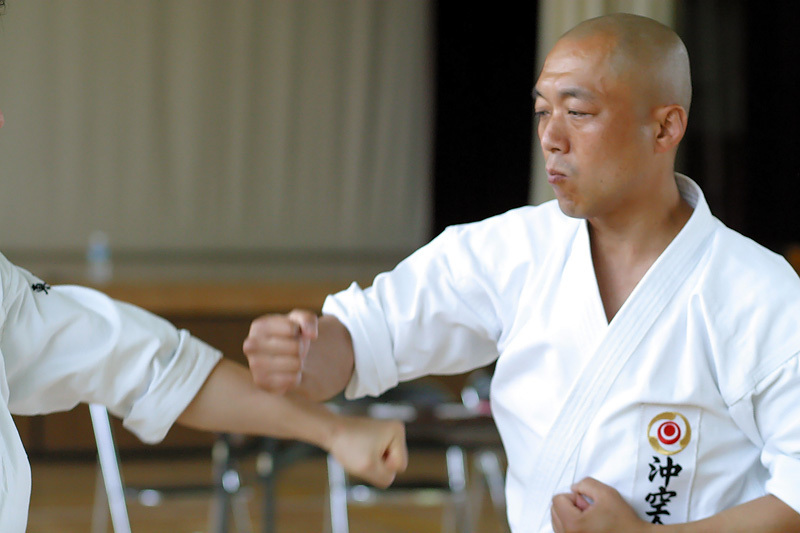 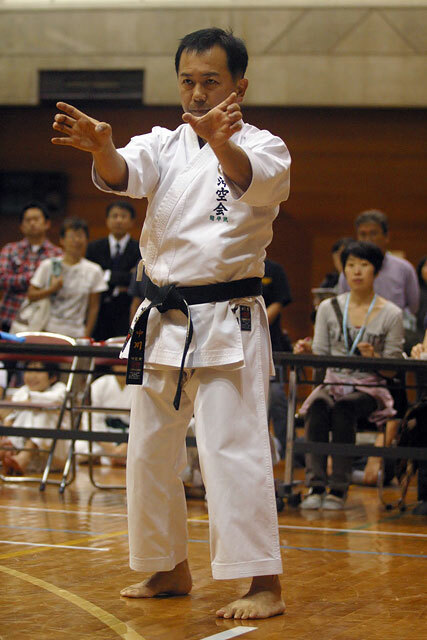 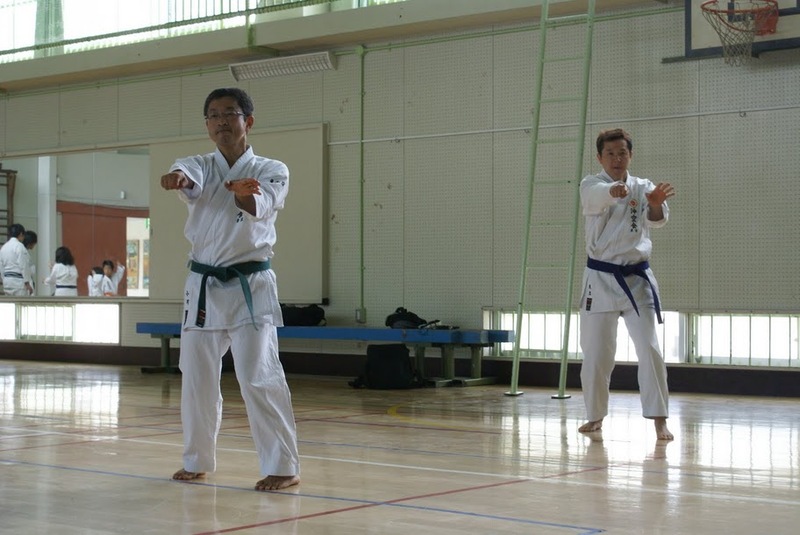 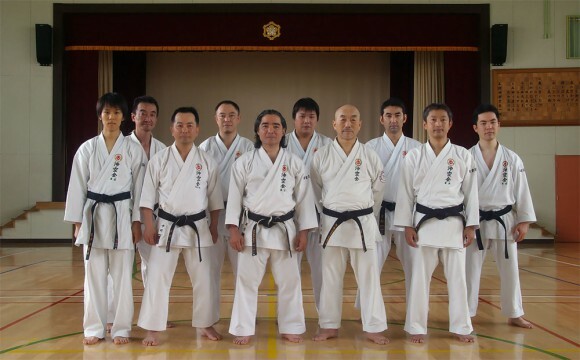 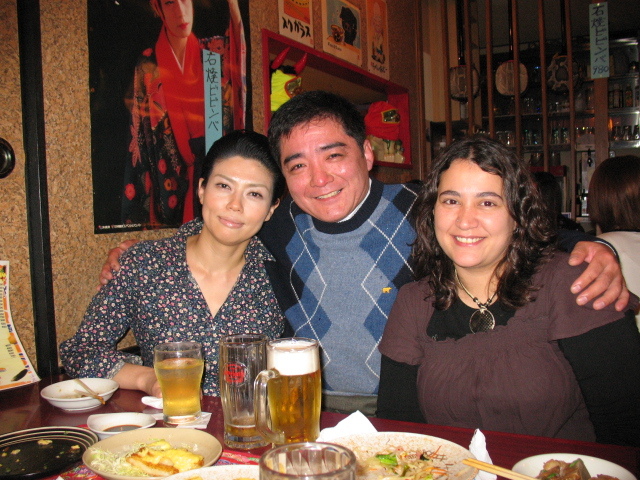 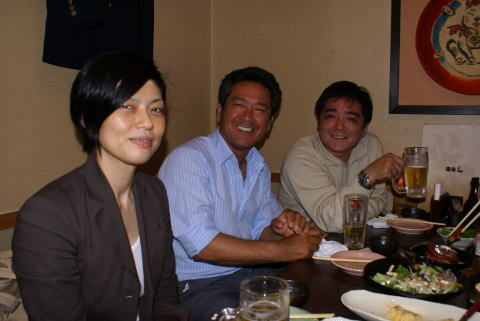 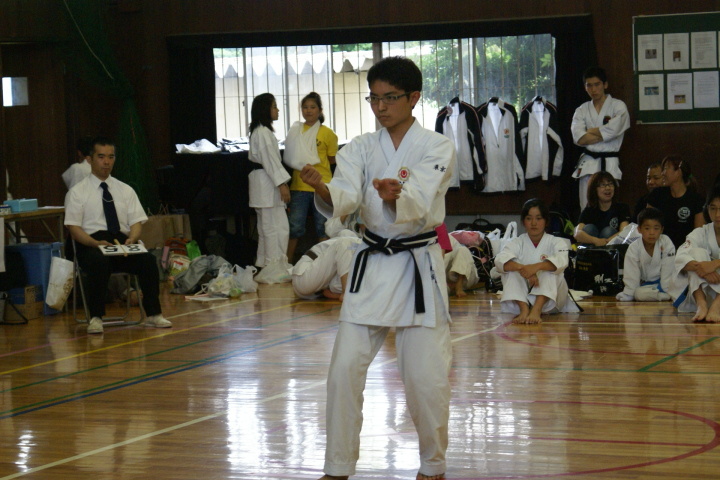 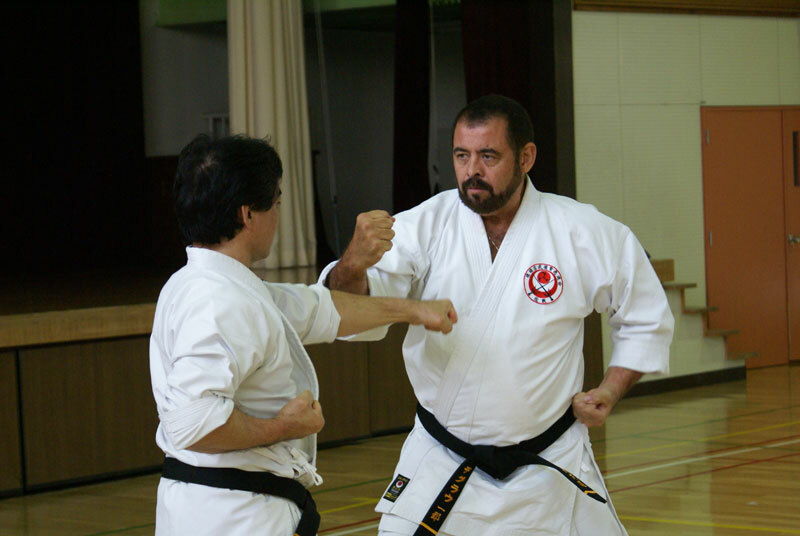 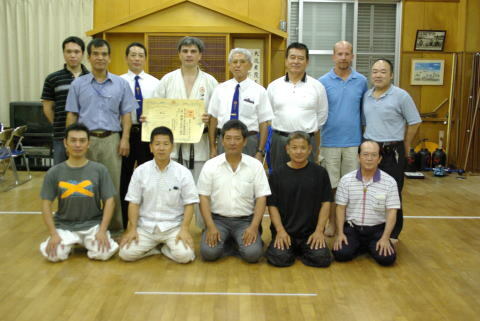 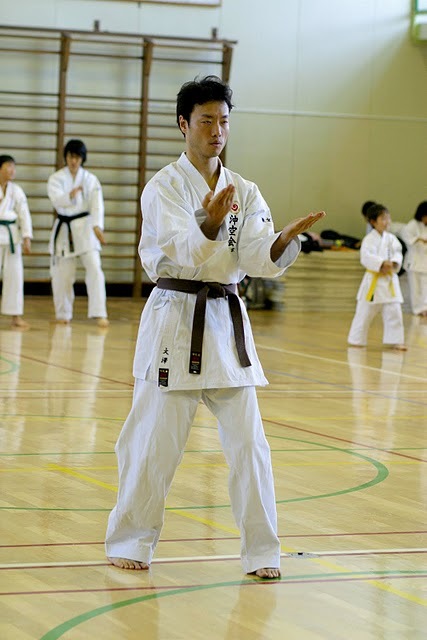 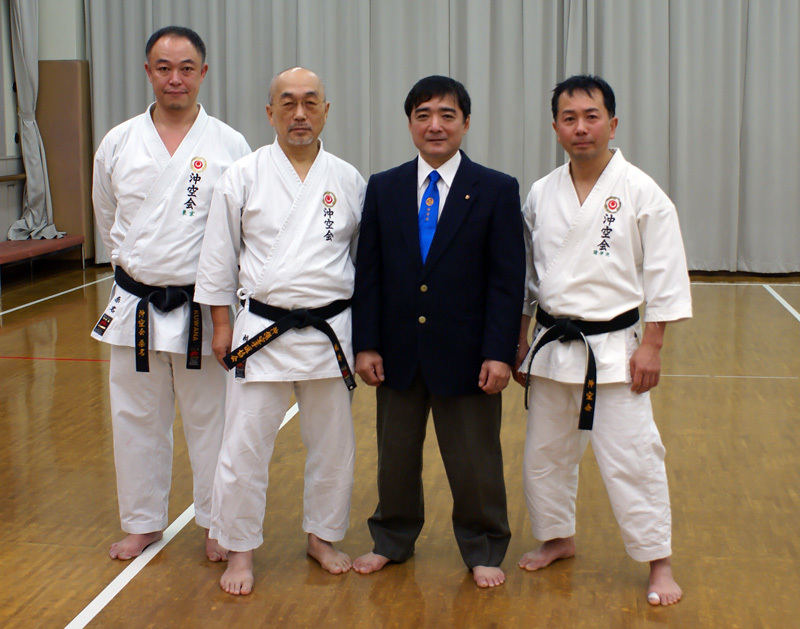 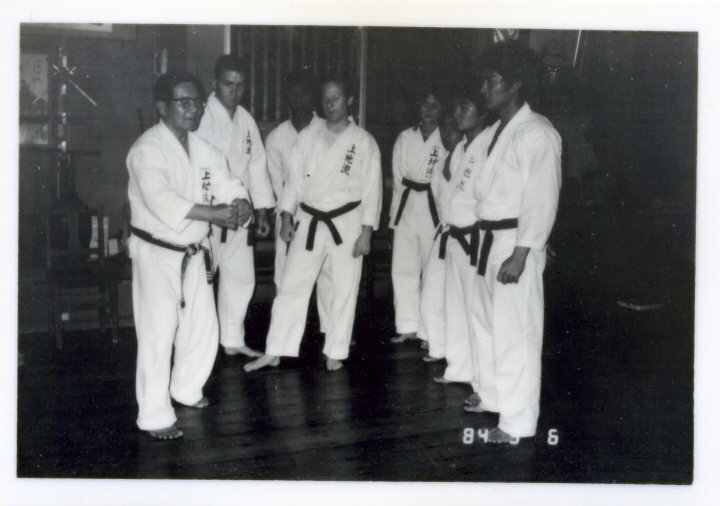 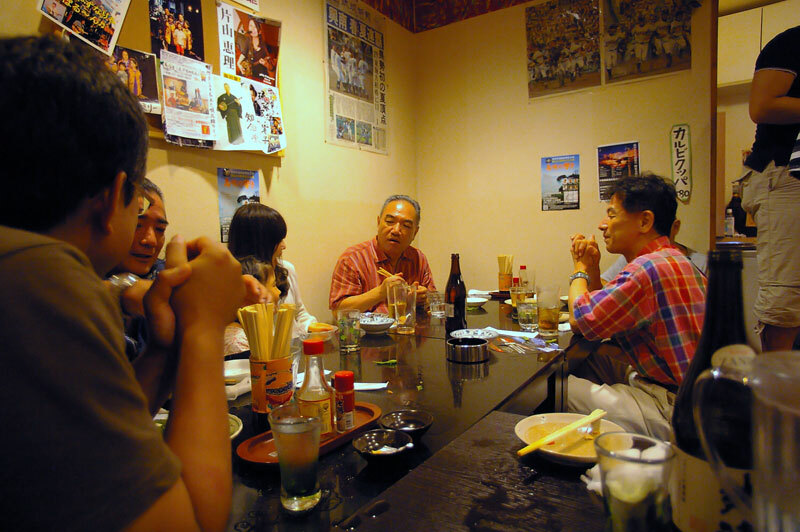 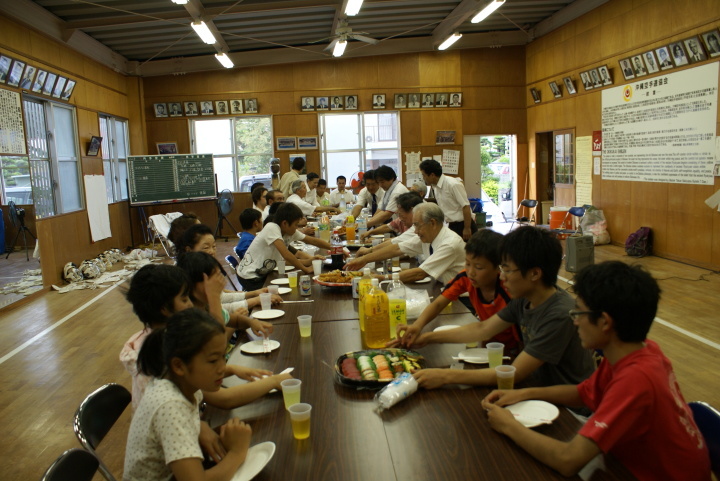 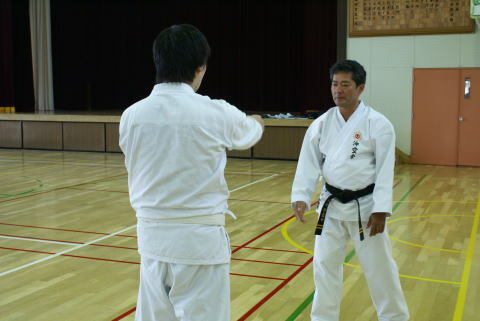 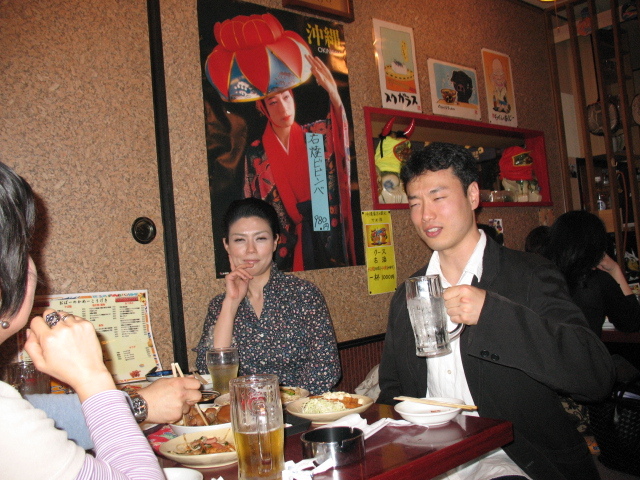 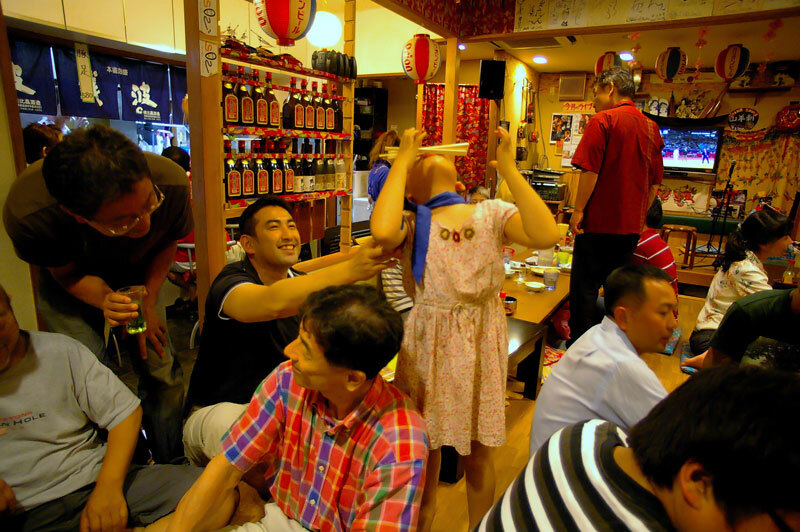 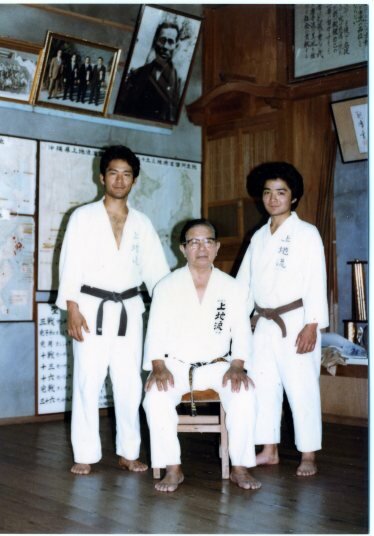 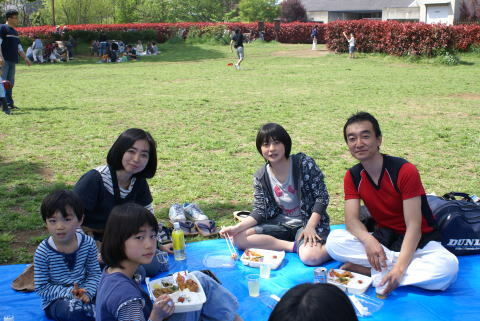 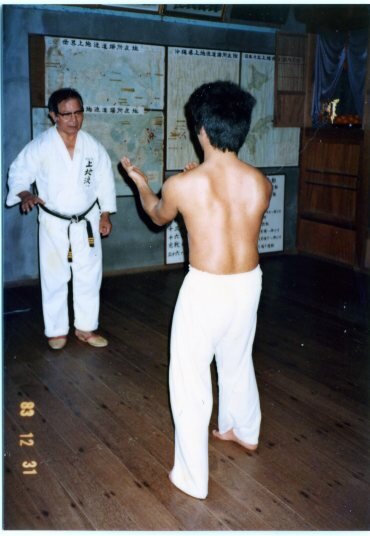 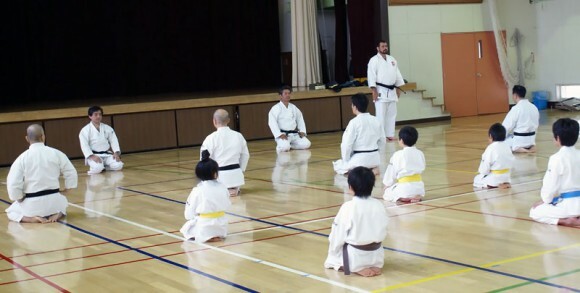 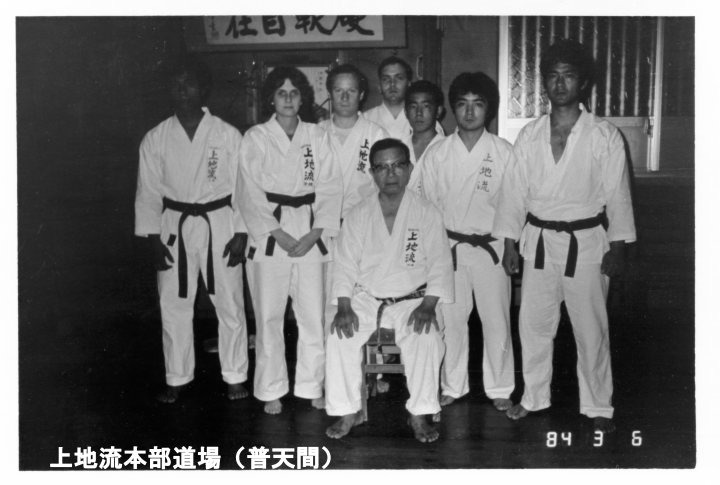 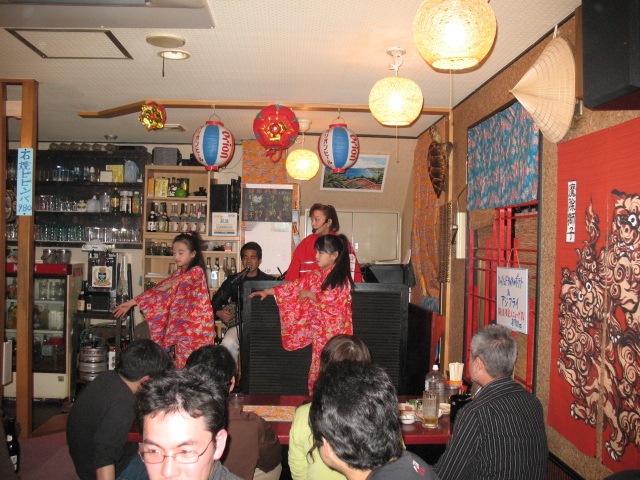 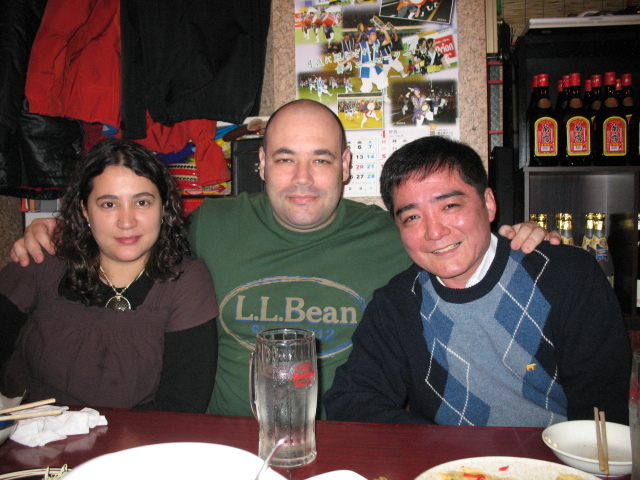 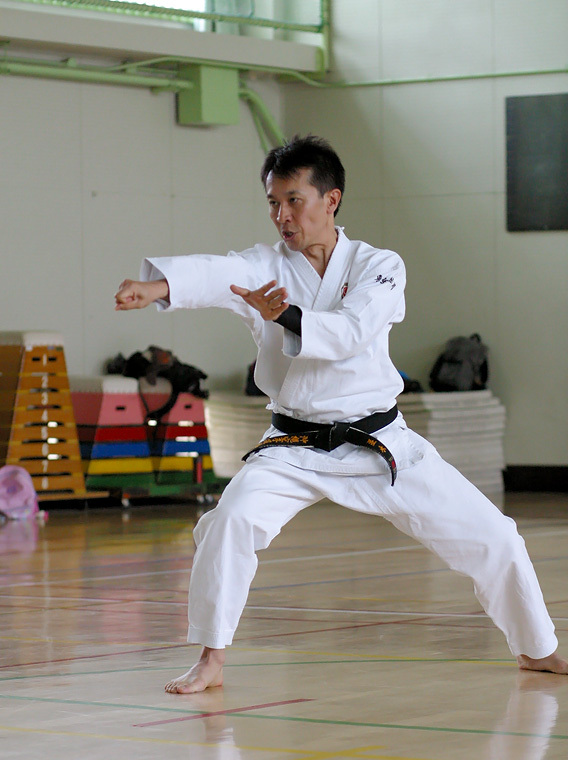 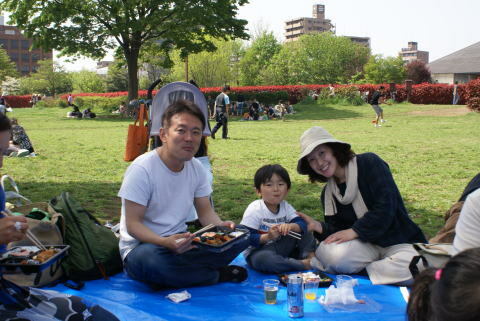 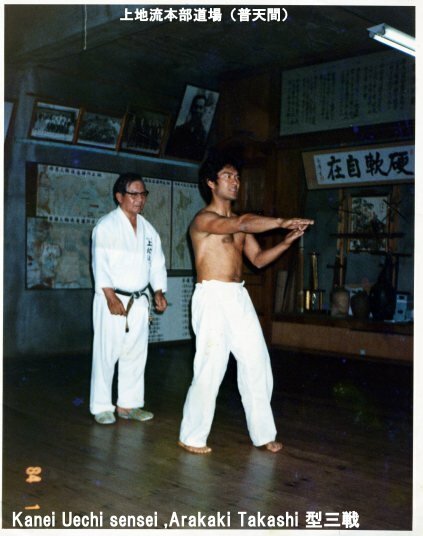 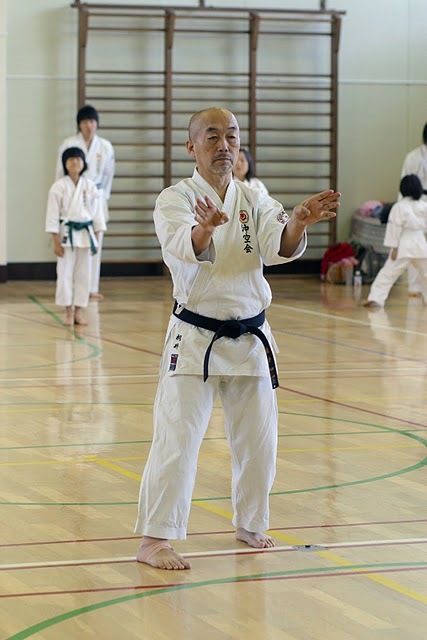 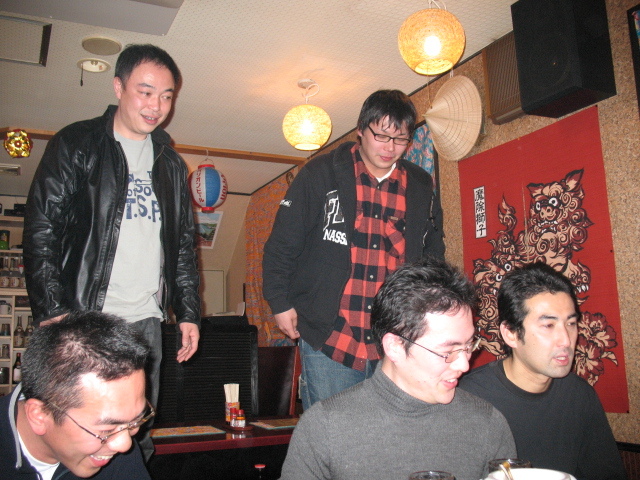 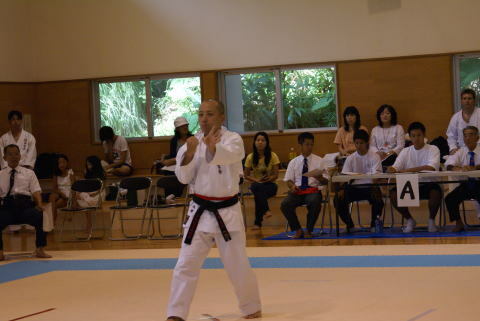 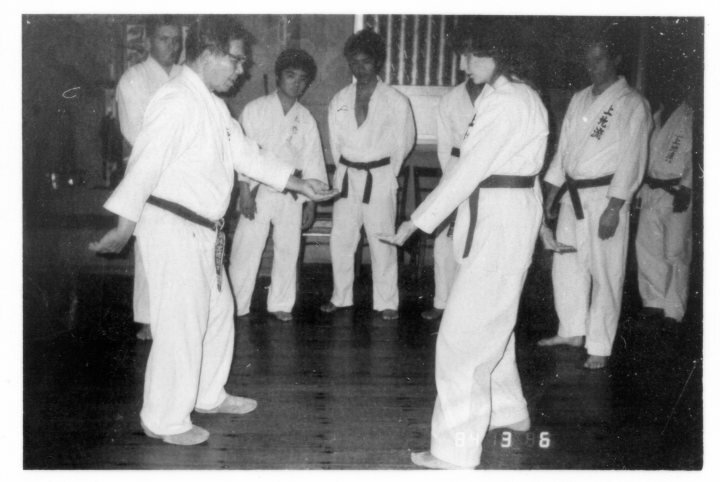 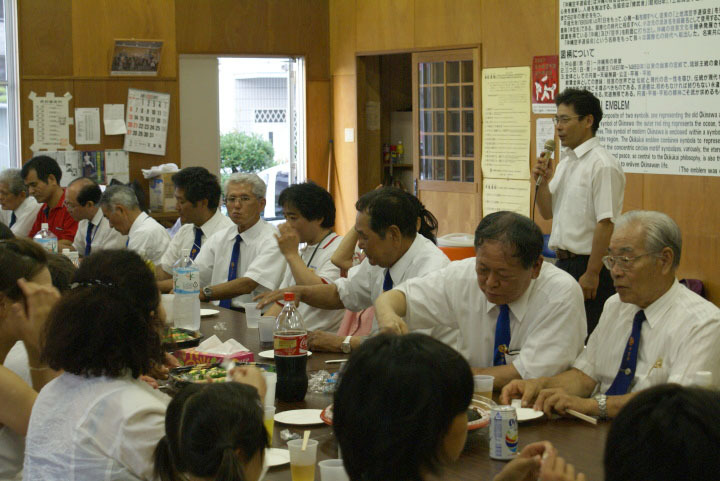 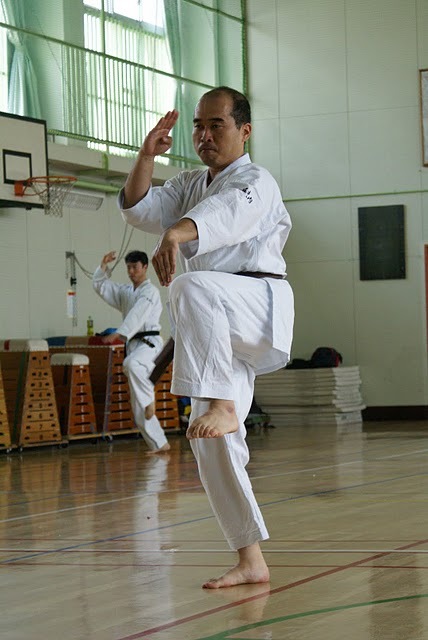 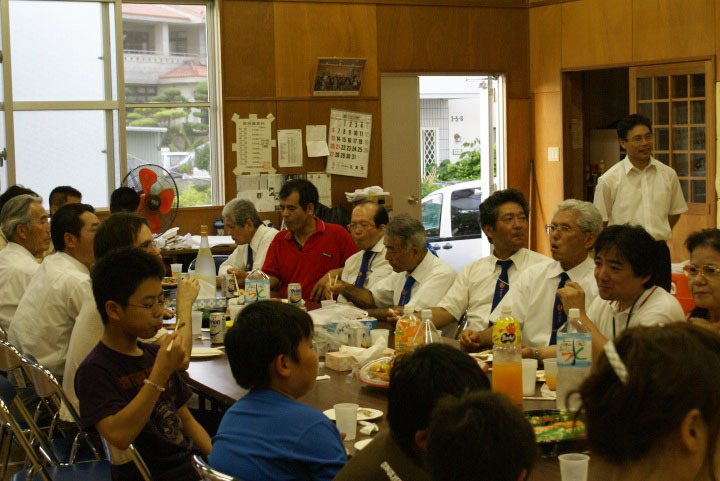 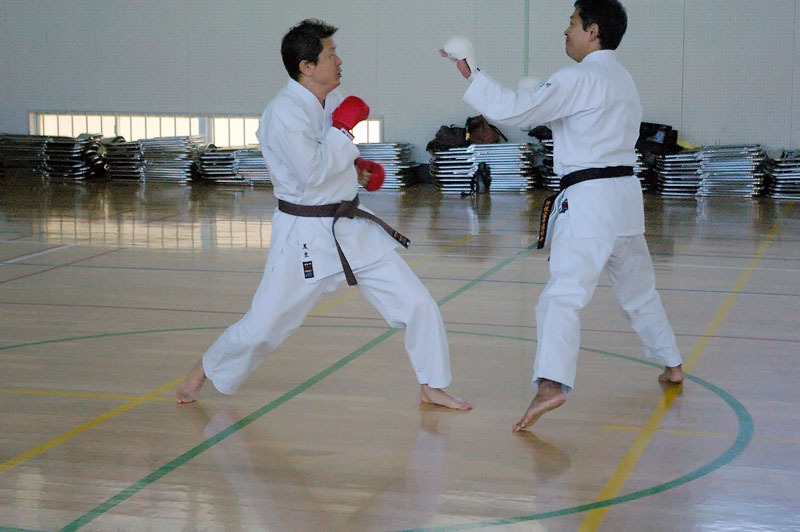 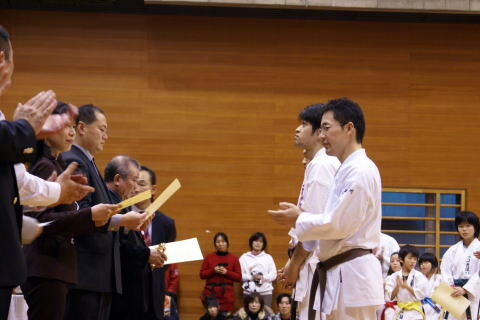 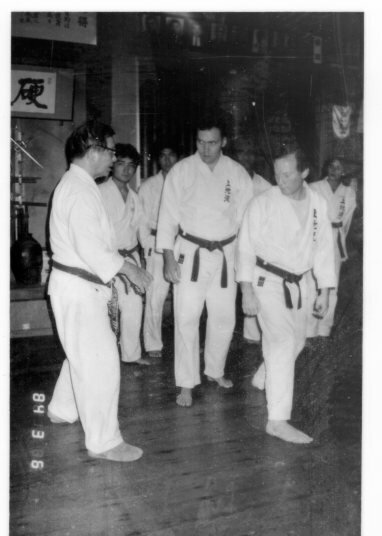 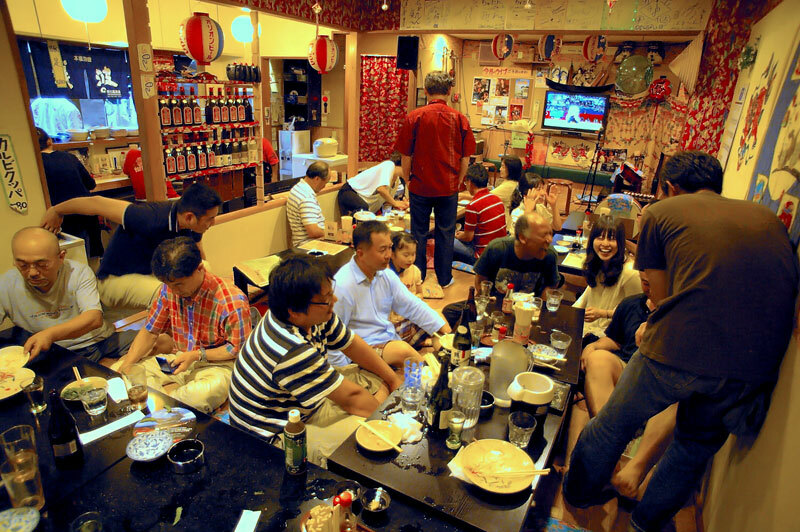 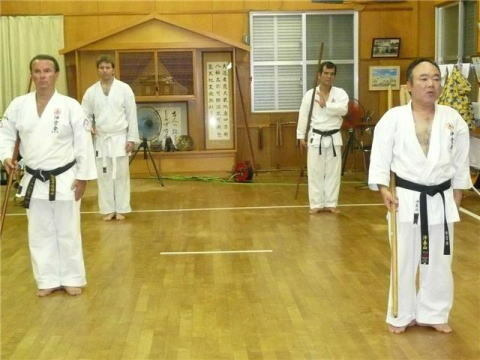 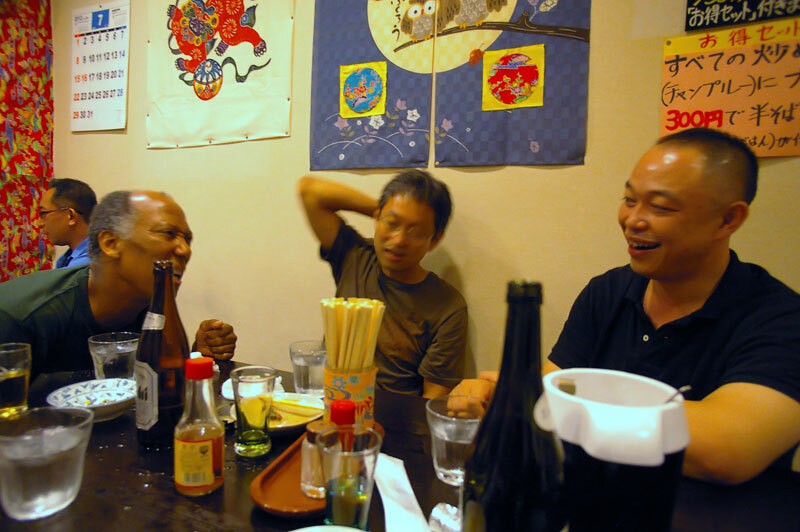 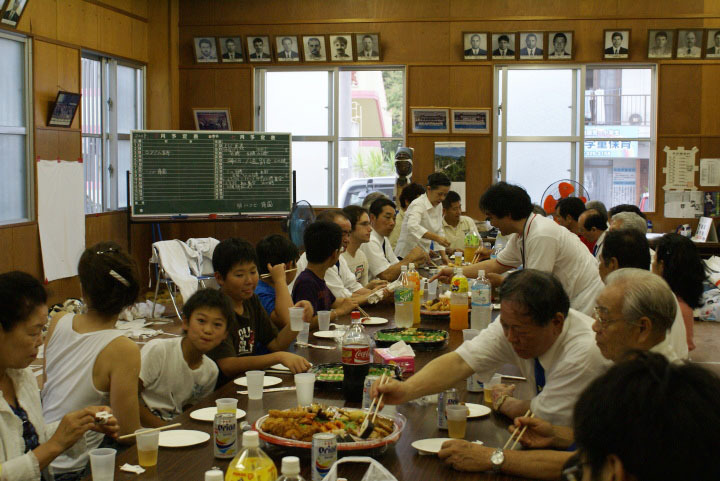 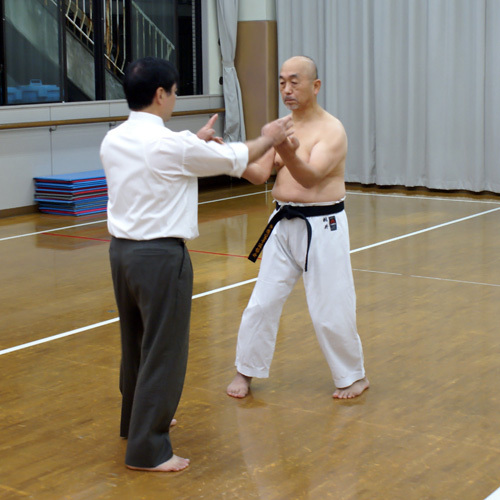 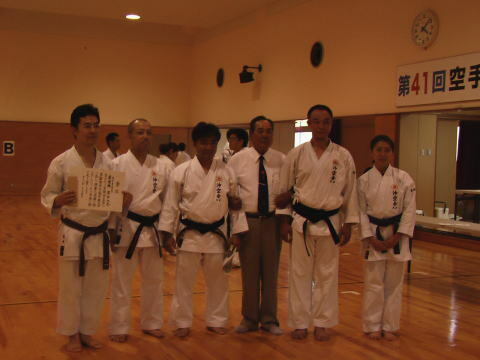 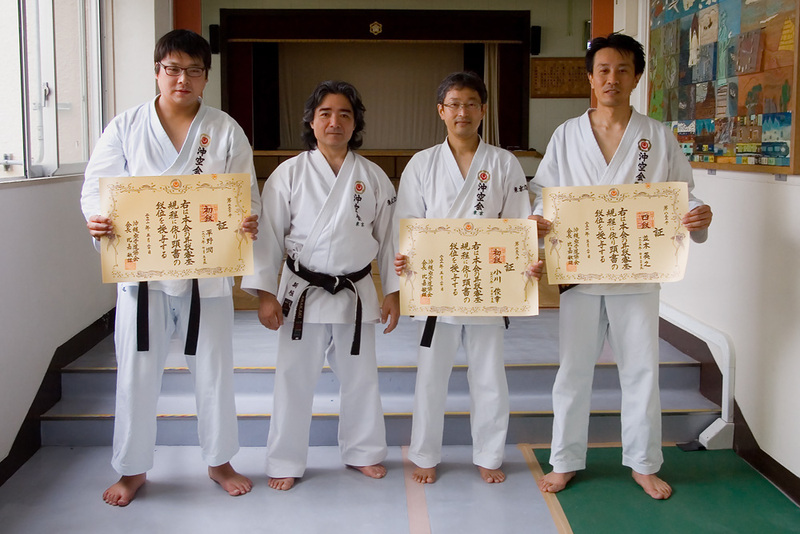 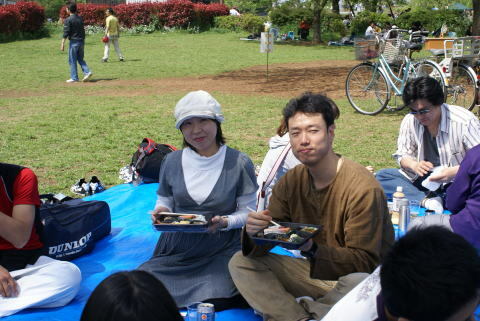 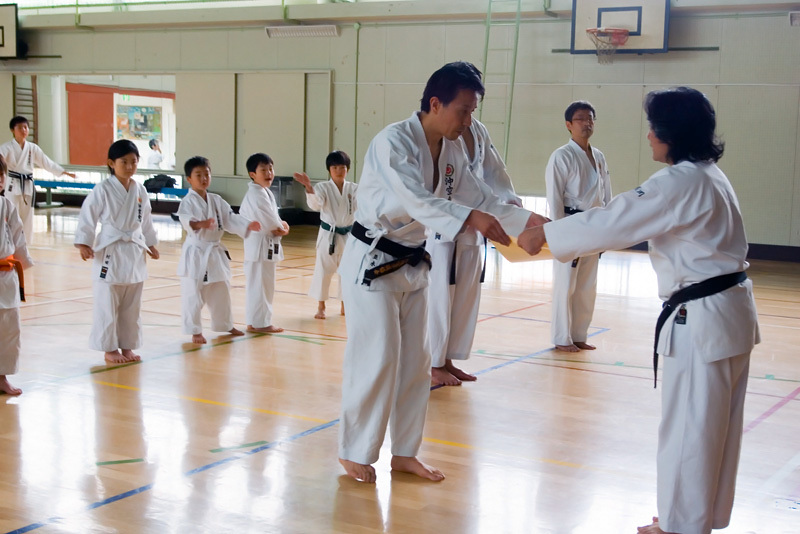 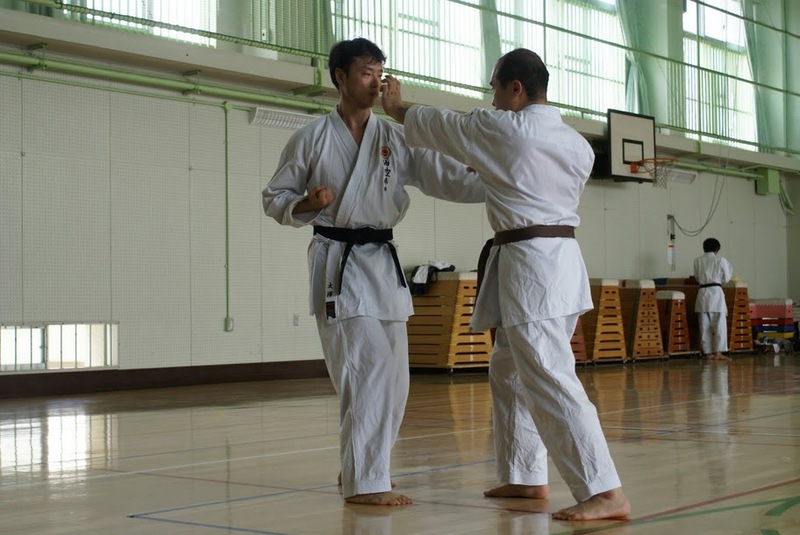 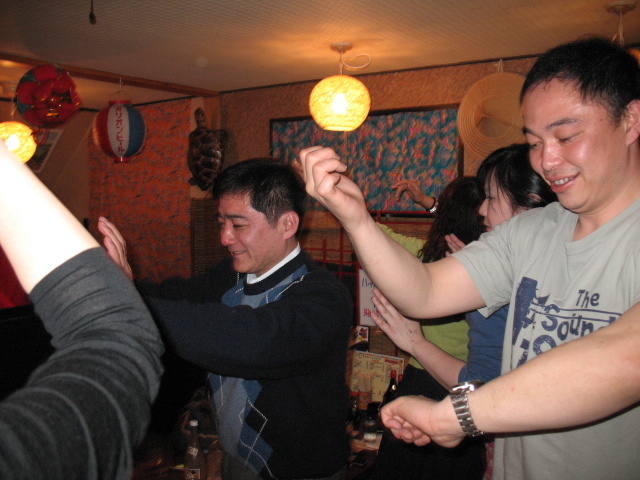 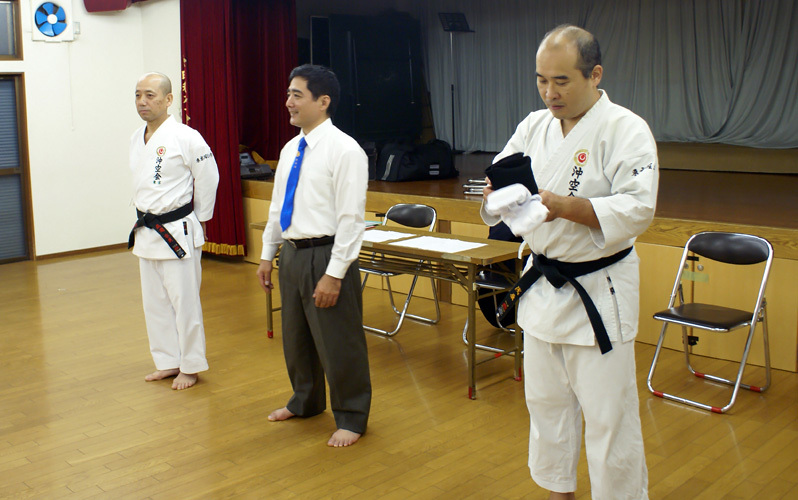 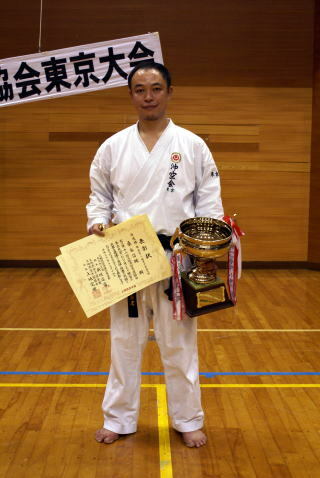 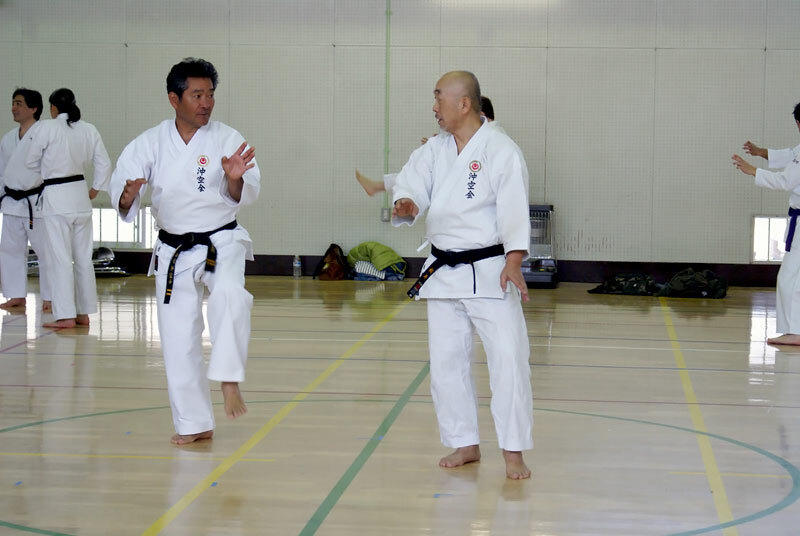 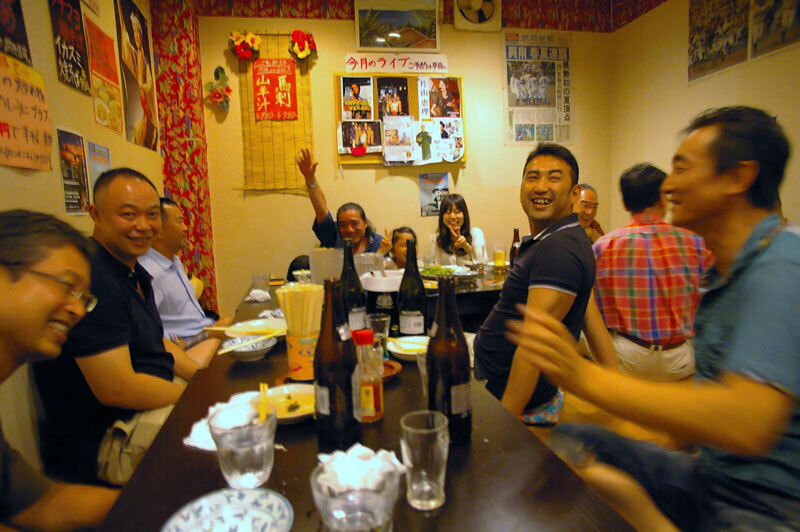 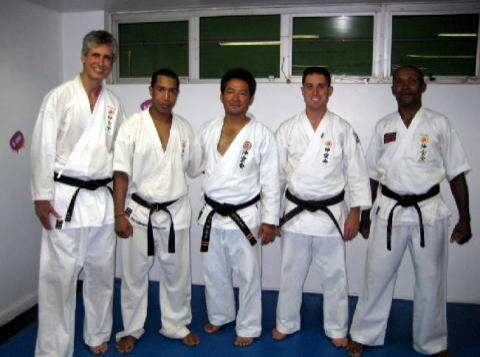 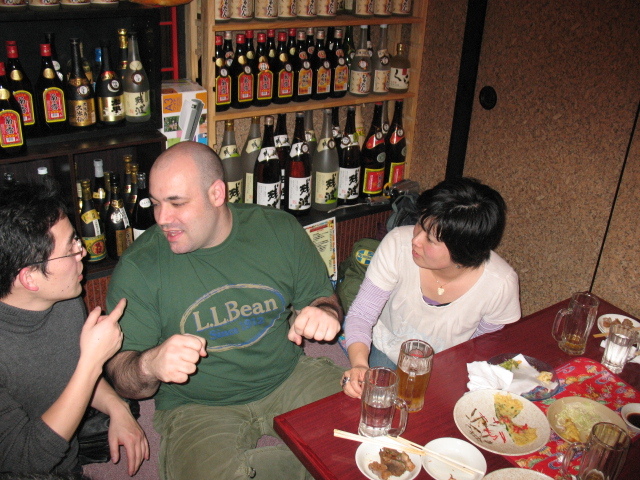 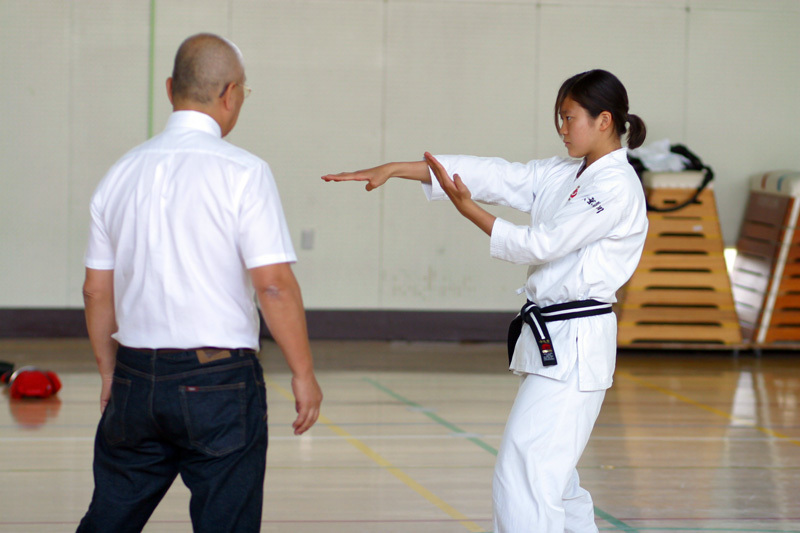 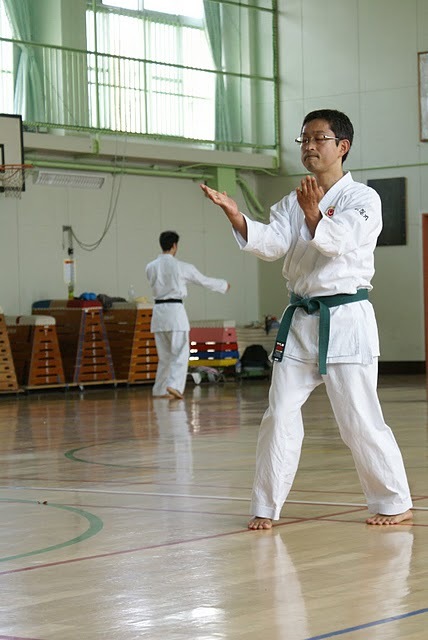 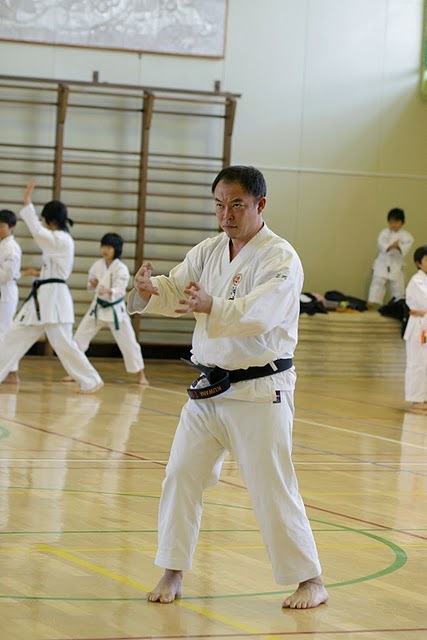 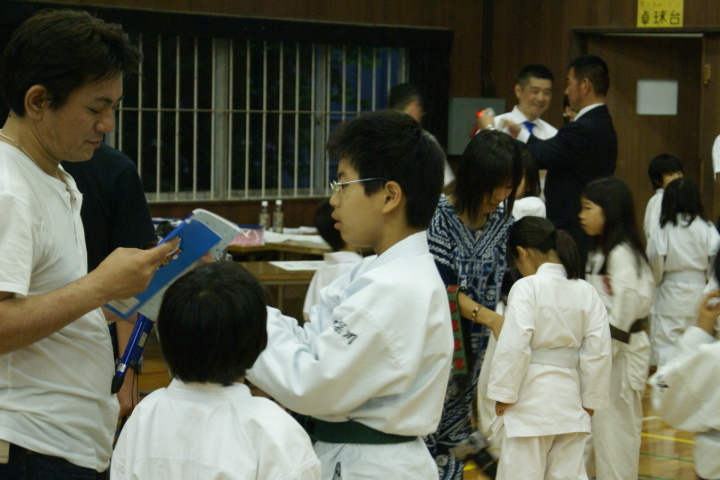 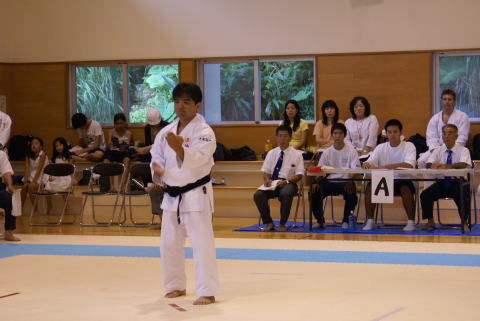 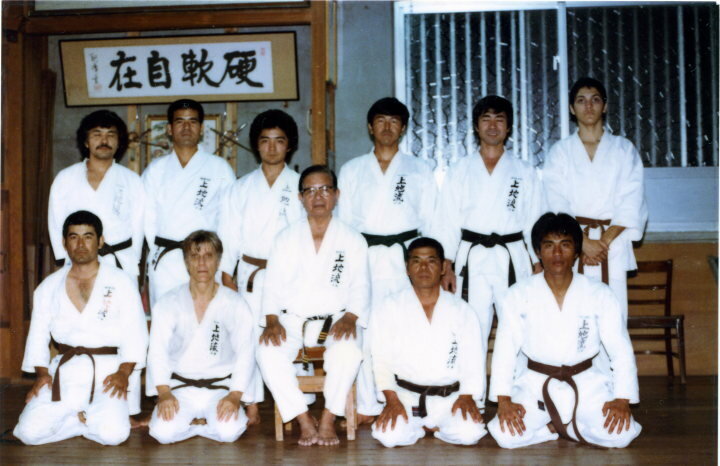 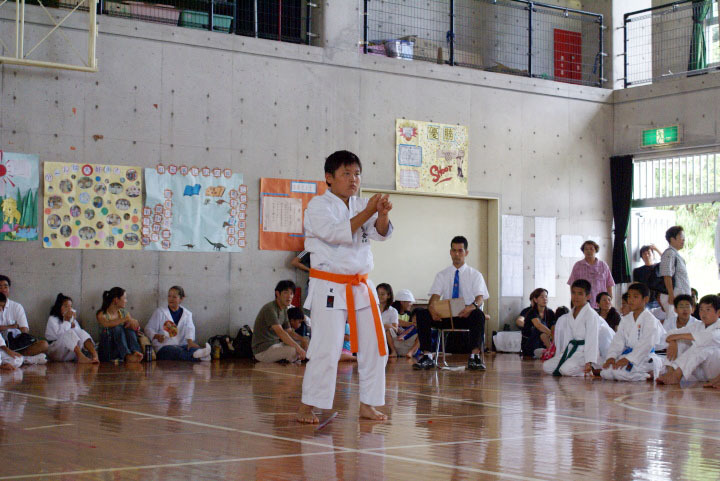 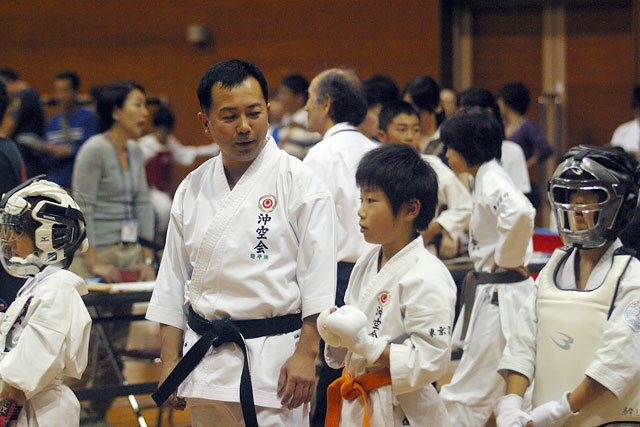 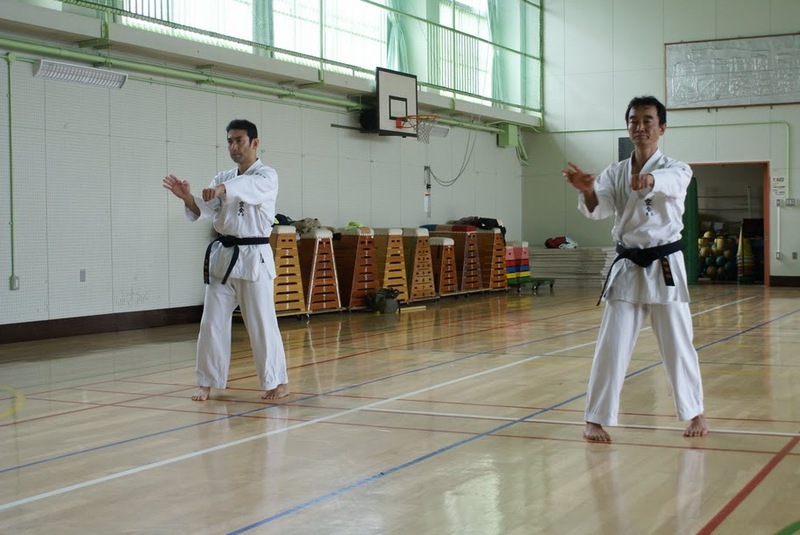 « From Okinawa Sensei Takashi Arakaki visits. 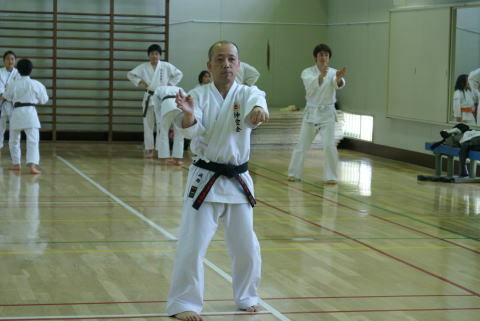 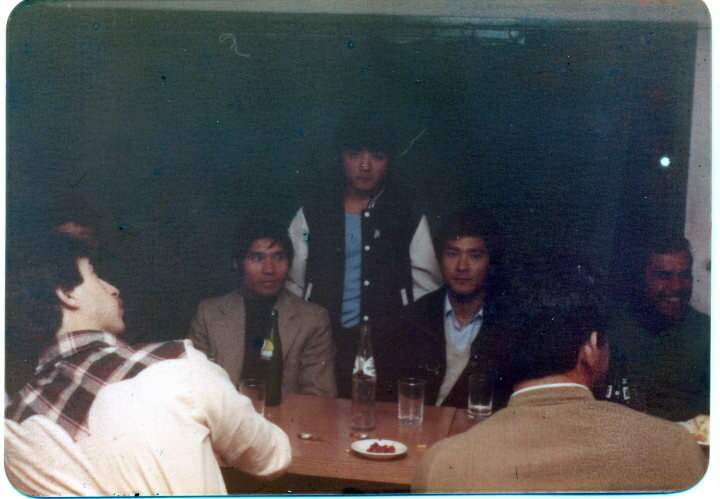 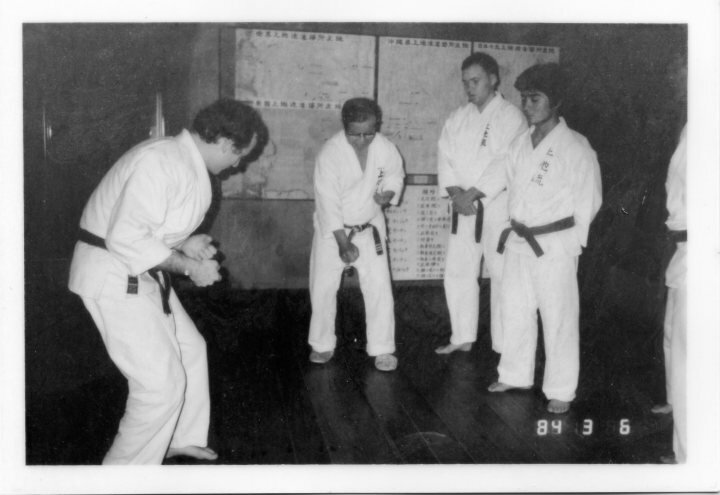 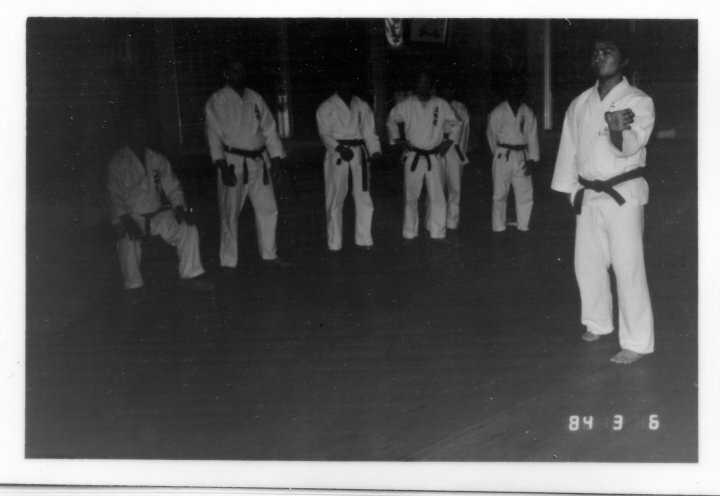 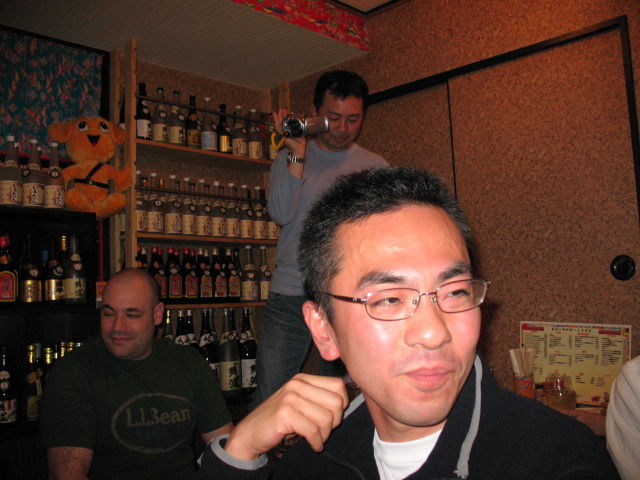 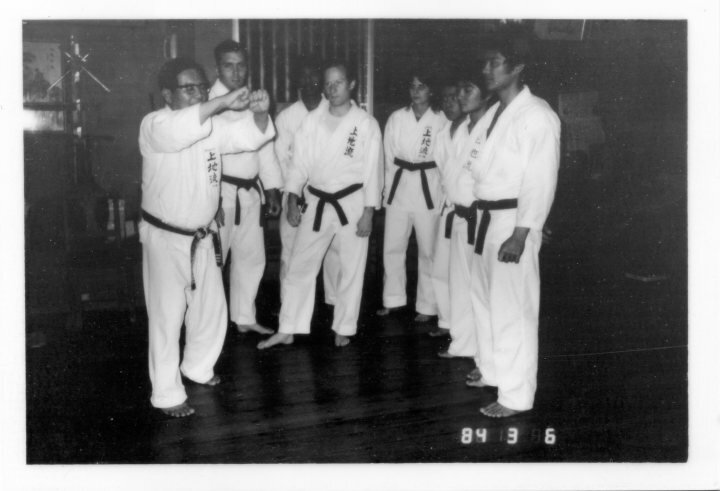 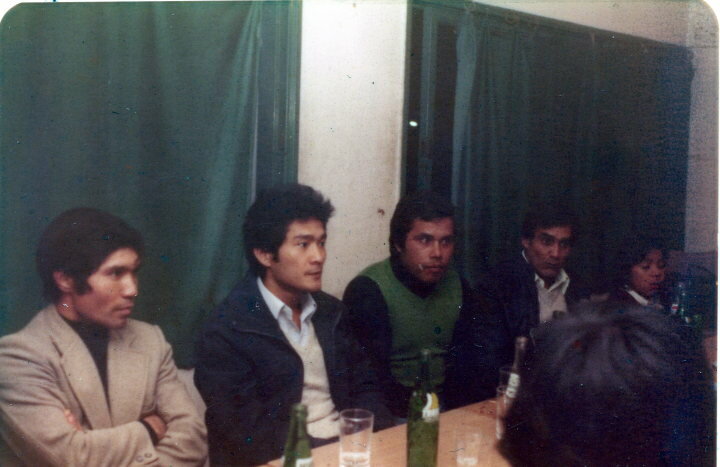 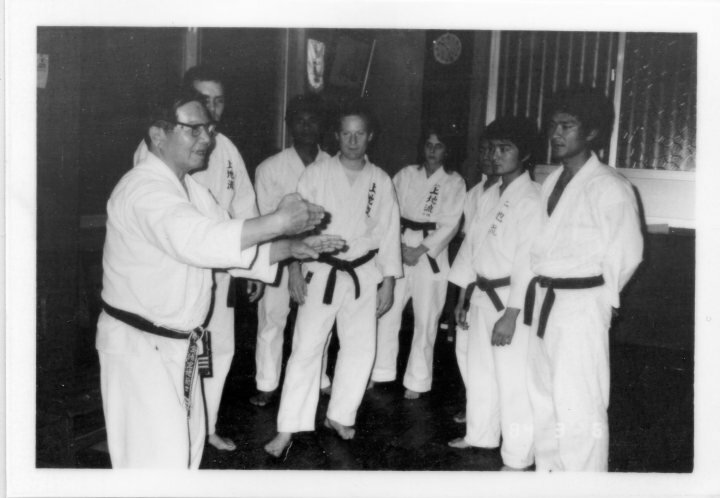 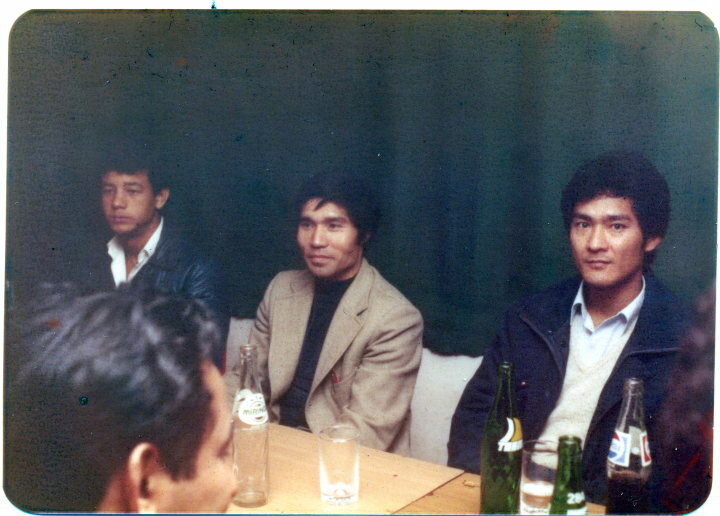 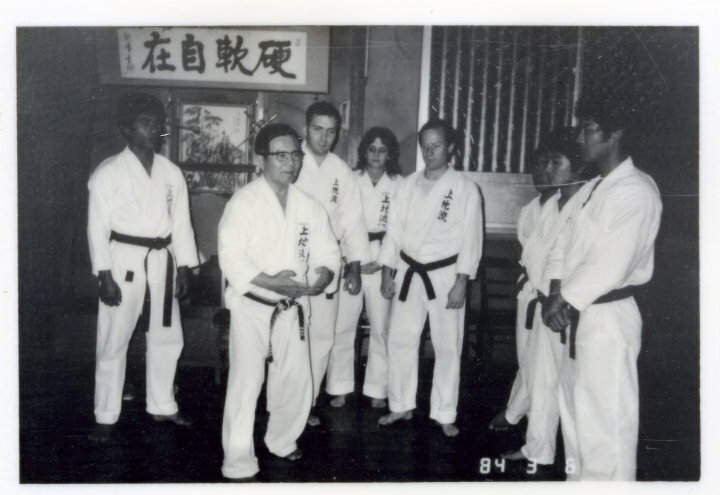 From Okinawa Sensei Takashi Arakaki visits. 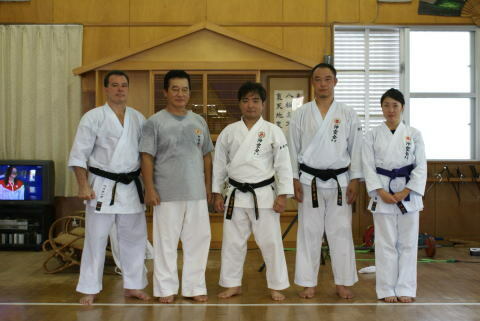 06/10/06 Members of the Dojo Miyagi with Sensei Yonamine and Takashi Arakaki. 06/10/06 Members of the Dojo Miyagi with Sensei Yonamine. 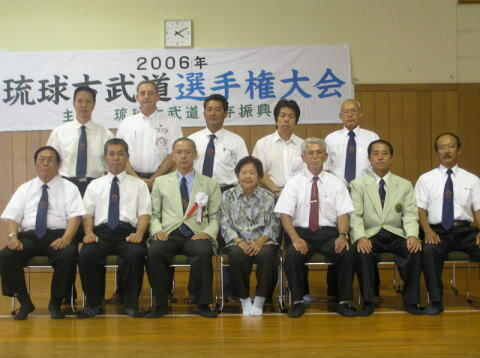 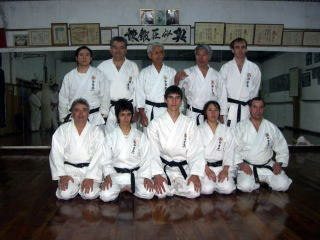 Between September and October 2006 , Okikukai Argentina , an association chaired by Sensei Miyagi Kaoru (Kyoshi 8 Dan) ,had an enjoyable visit of Mr president of Okikukai International , Sensei Yonamine Kousuke (Hanshi 9Dan), the Sensei Arakaki Takashi (Renshi 6Dan) and the Sensei Arakaki Shozen (shihan 5 Dan). 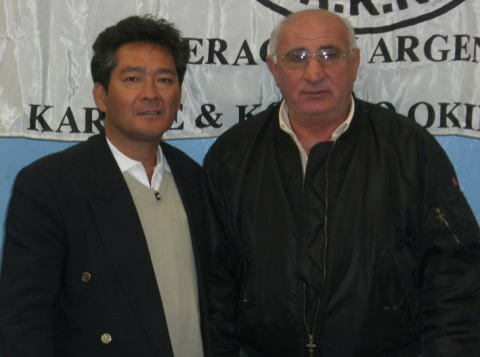 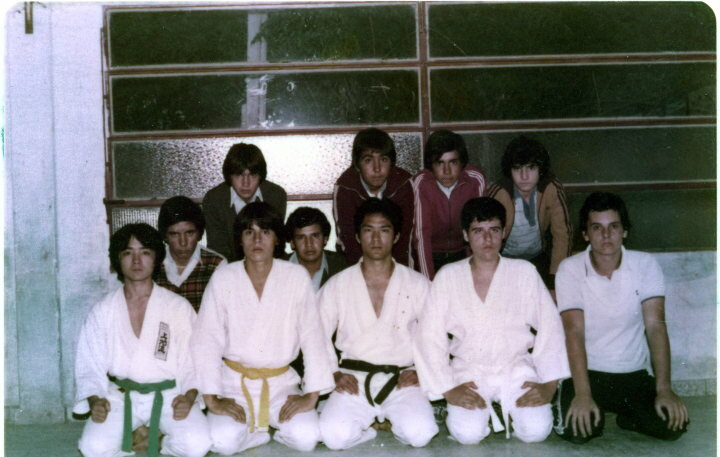 The main objectives of the seminar of Okikukai Argentina were:echnical upgrading.Cultural approchement.And the possibility of sharing with Sensei Yonamine its rich history in the path of karate. 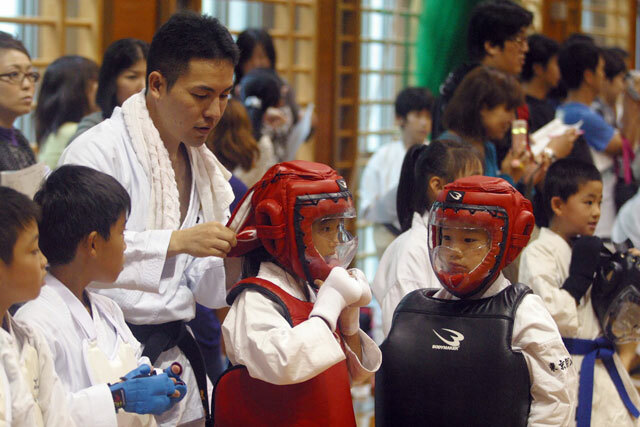 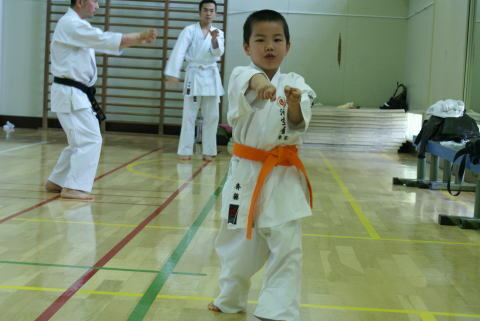 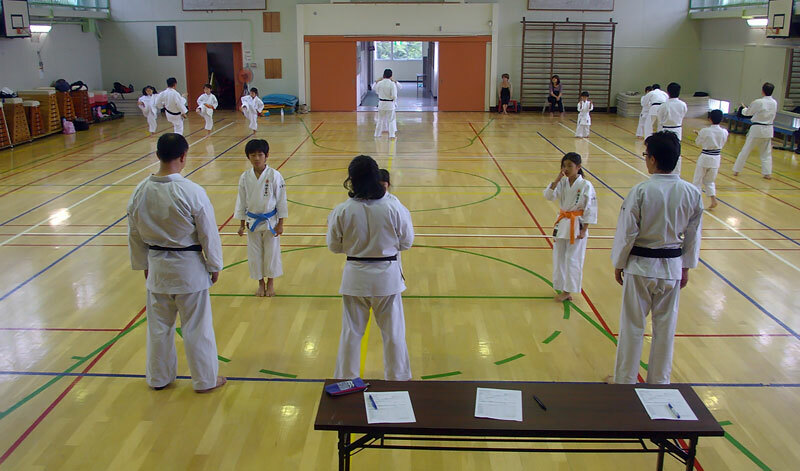 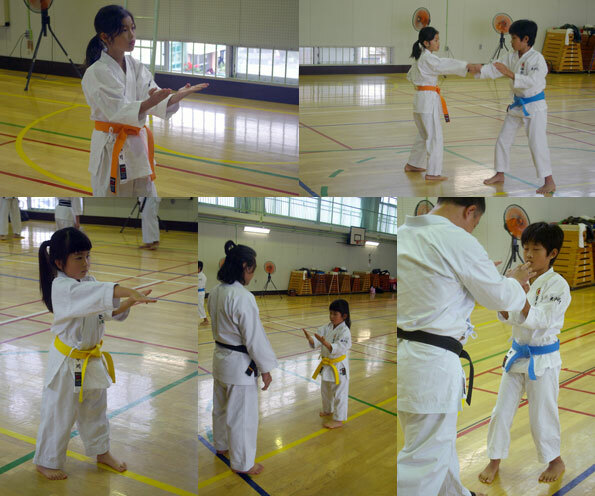 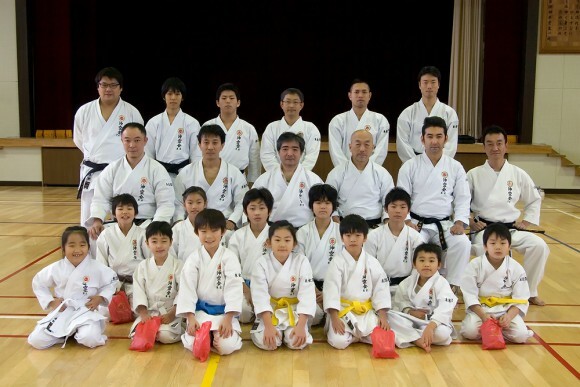 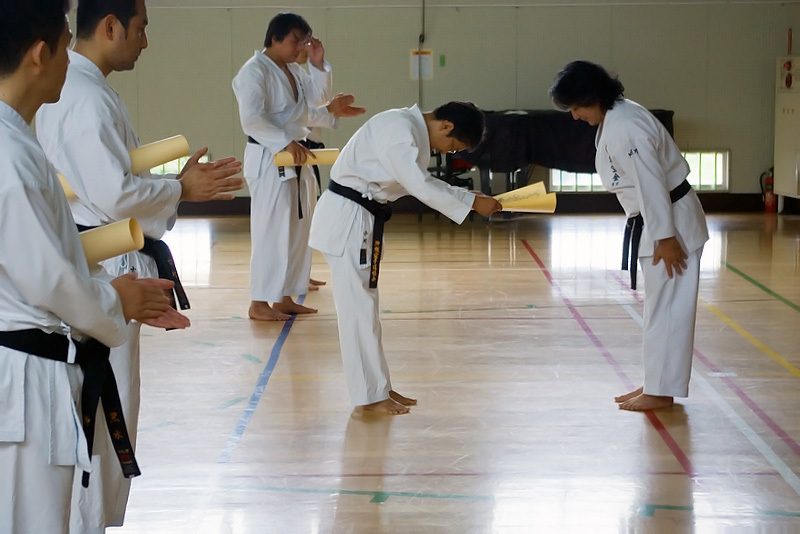 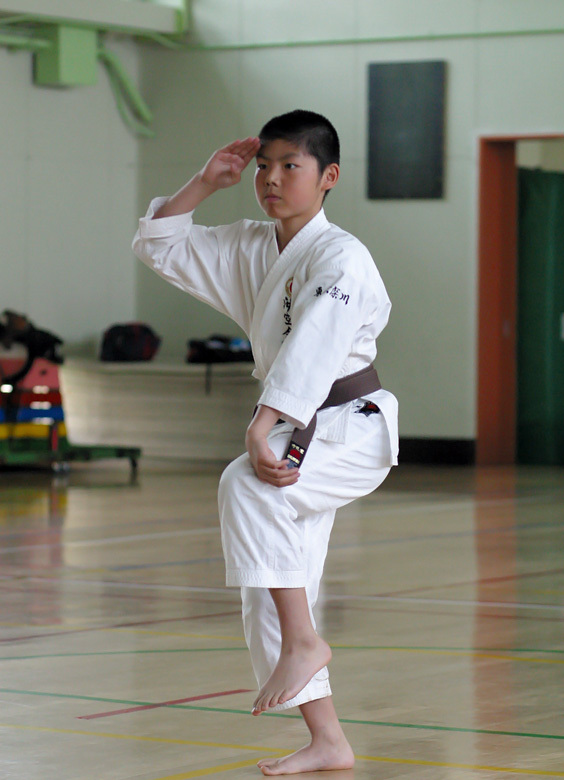 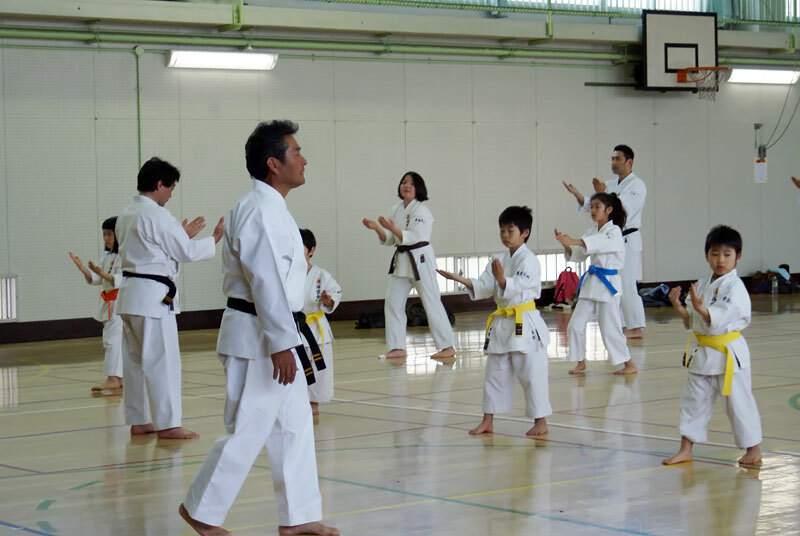 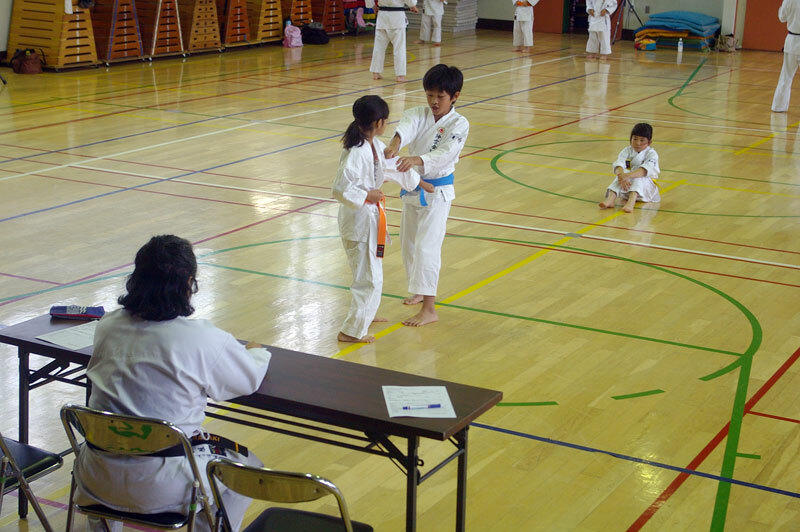 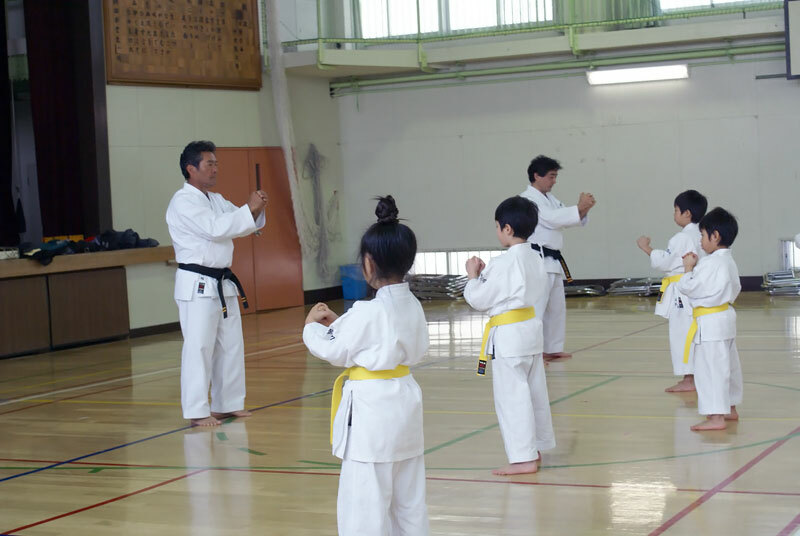 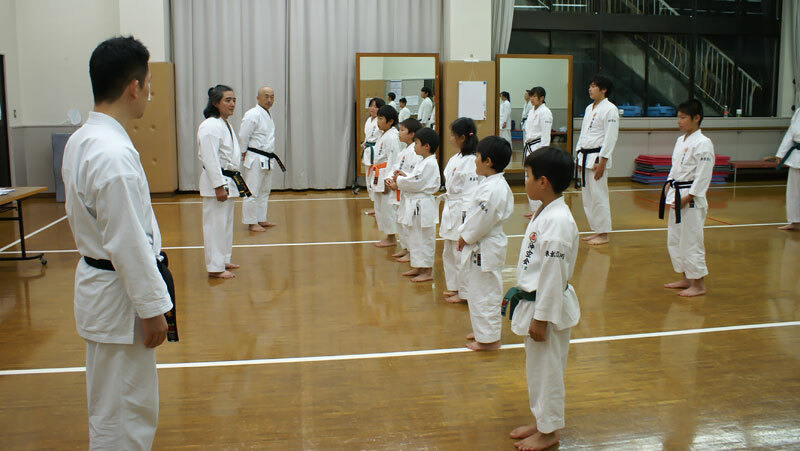 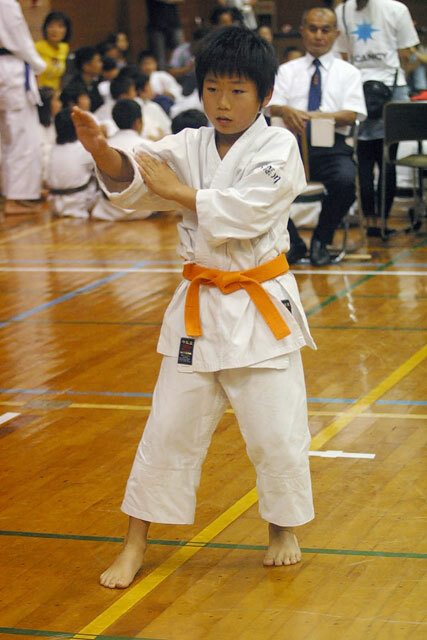 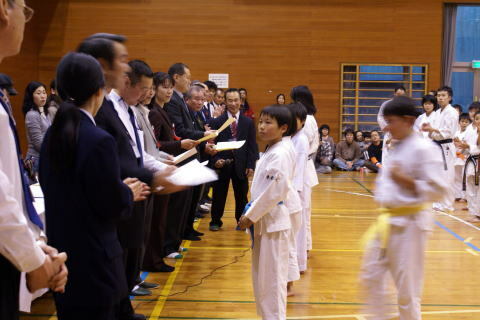 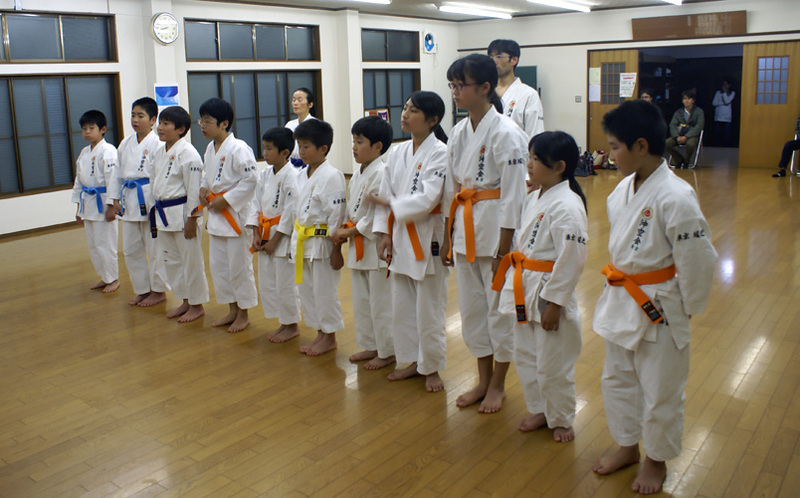 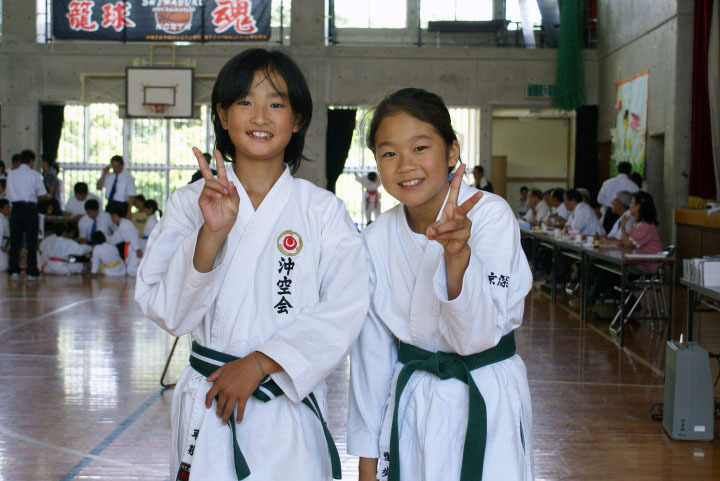 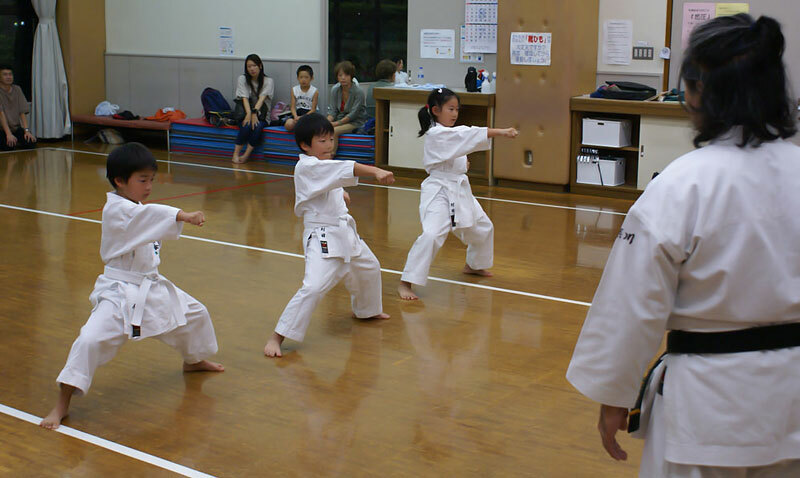 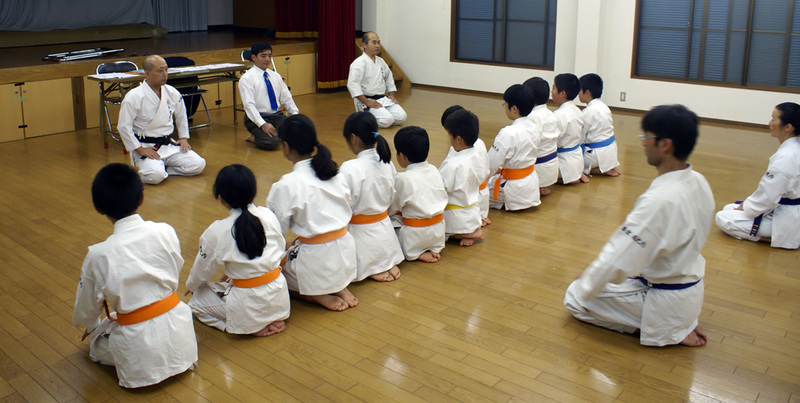 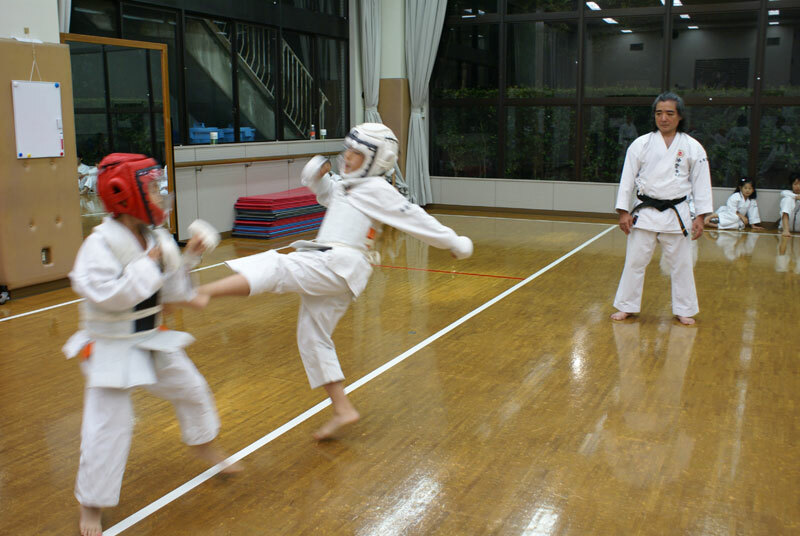 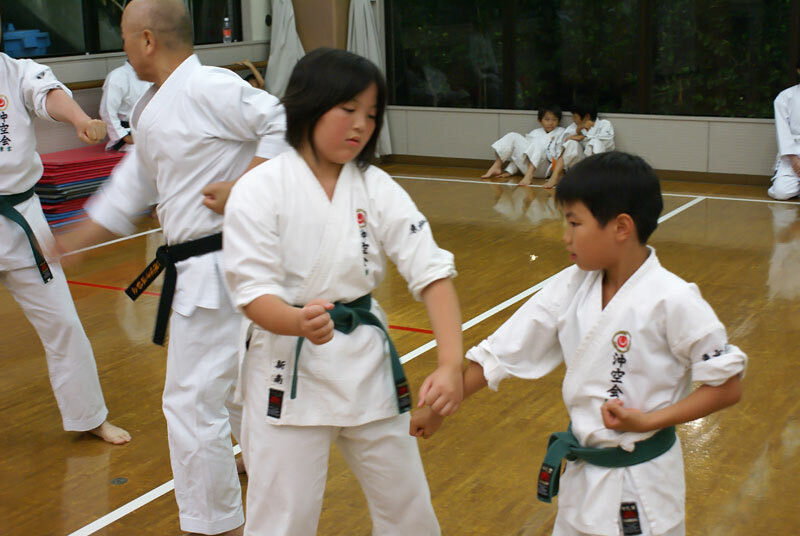 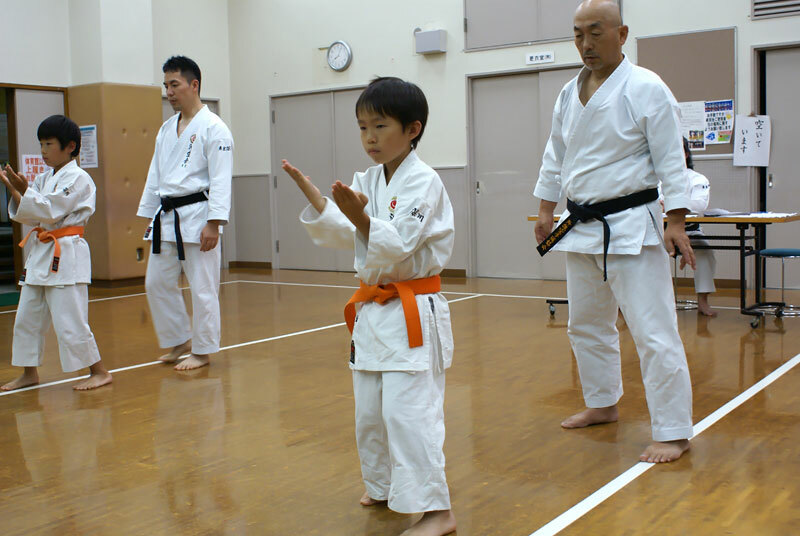 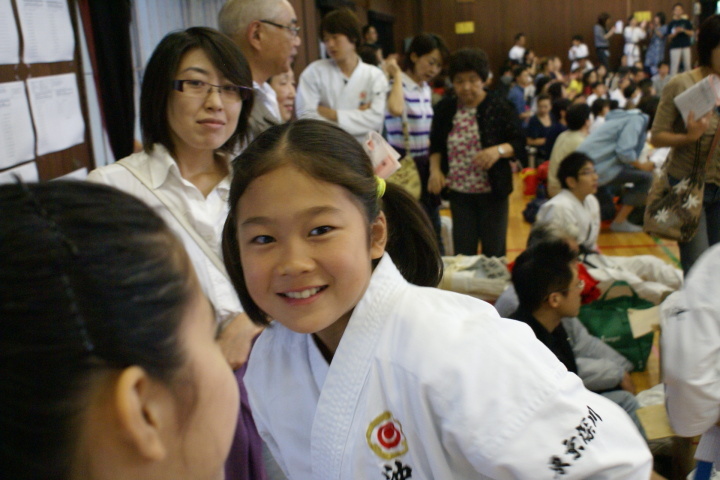 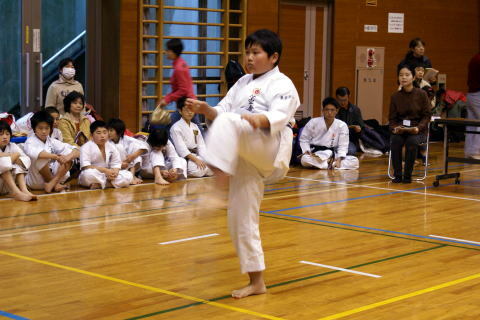 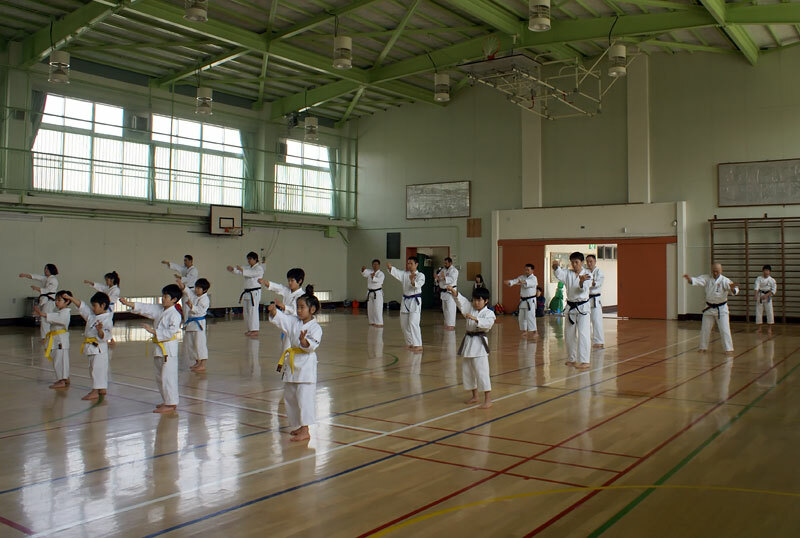 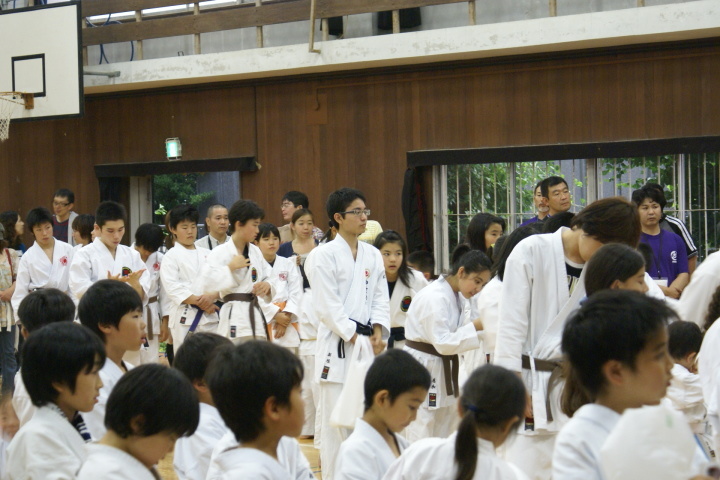 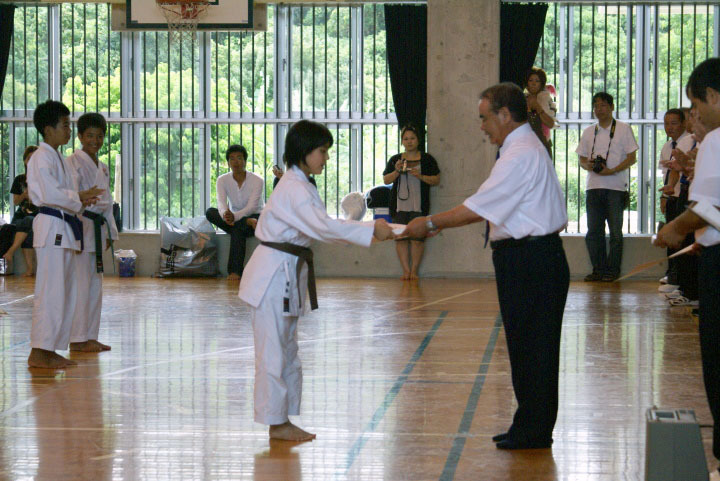 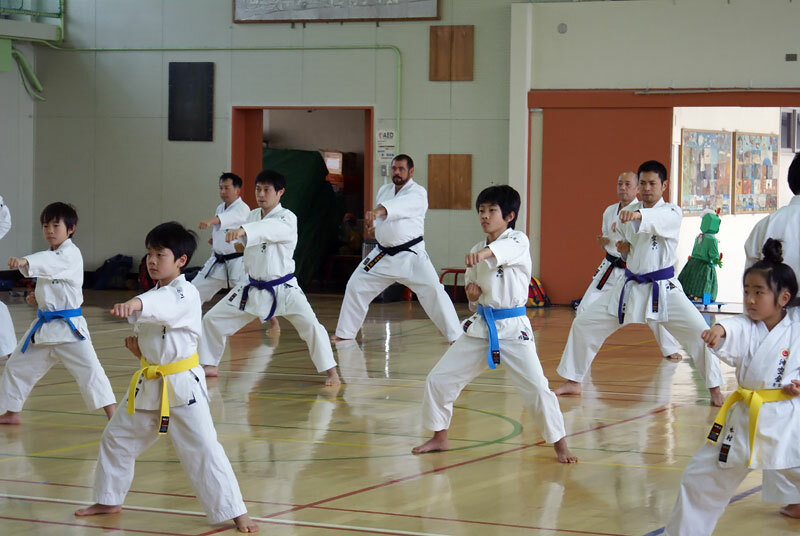 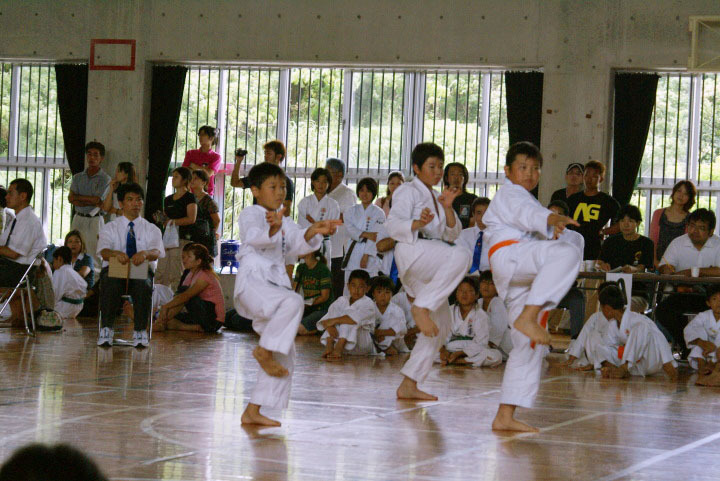 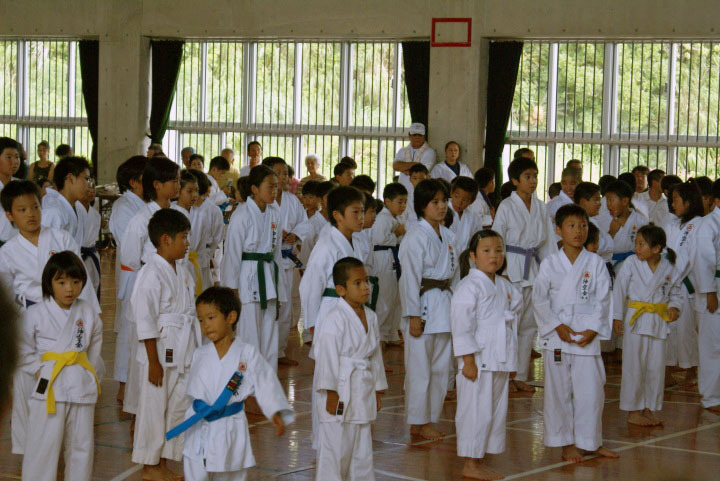 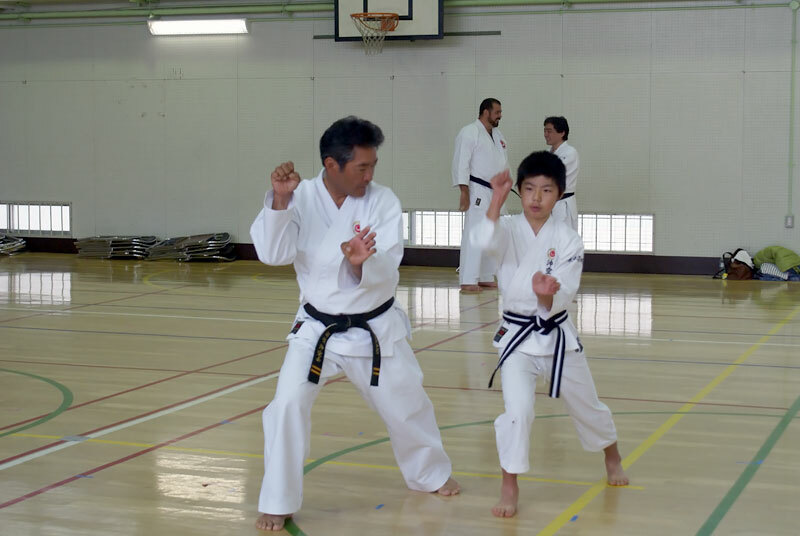 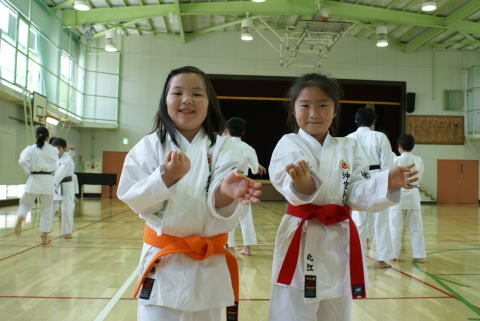 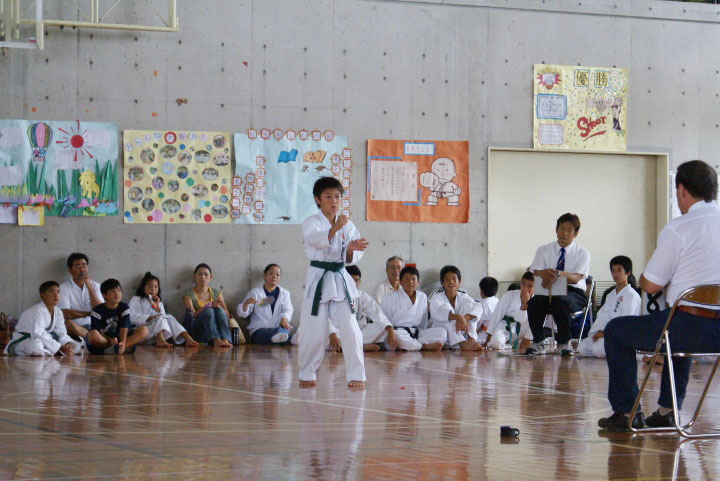 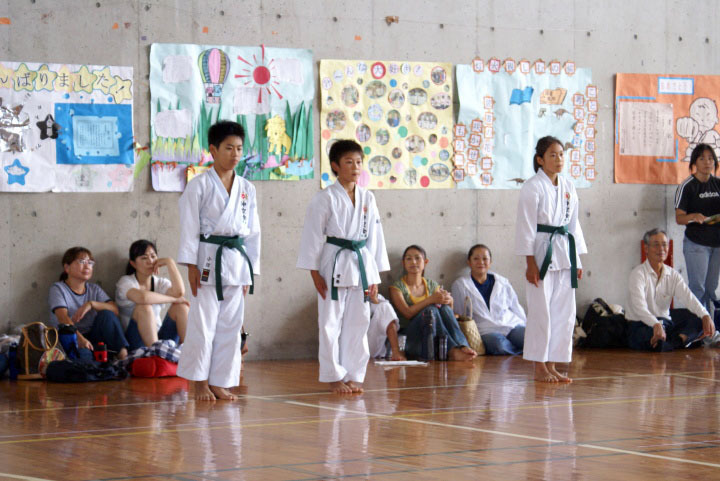 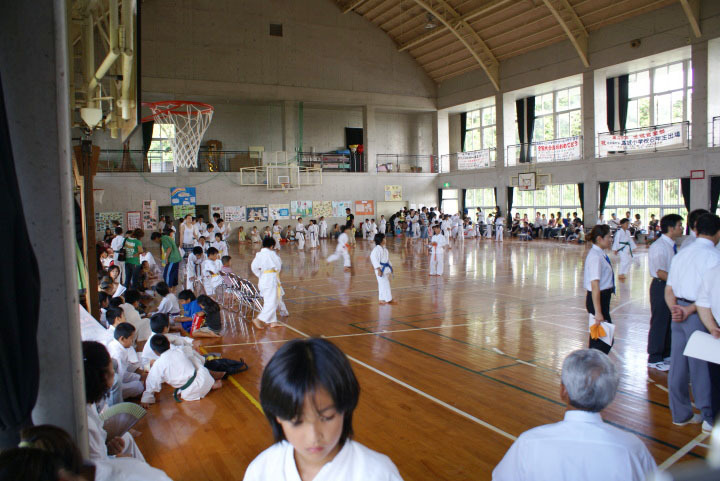 In pursuit of these objectives , from the day 29th of September daily classes were conducted in the Headquarters (Dojo Miyagi) at theDojo San Pedro and at the Dojo Tonan, with students of all ranks , both adults and children . 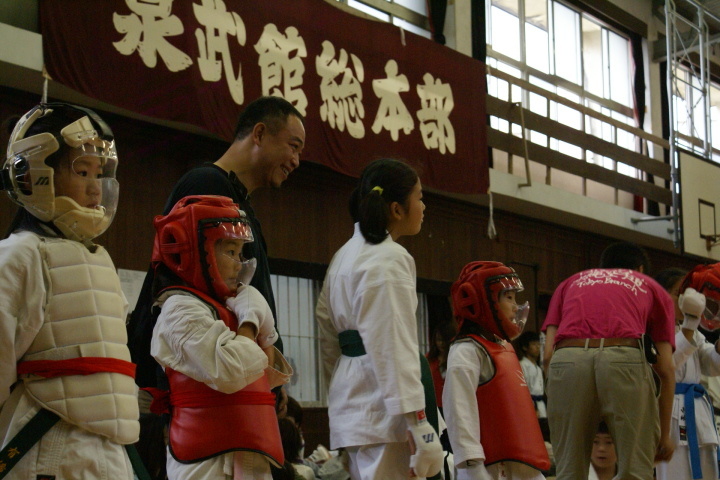 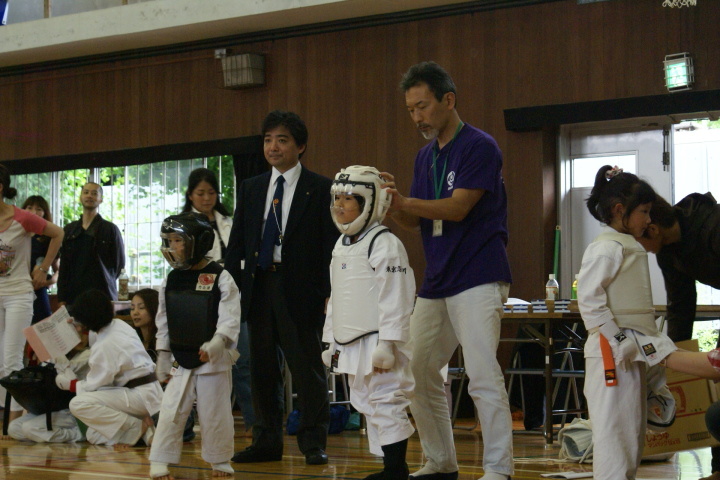 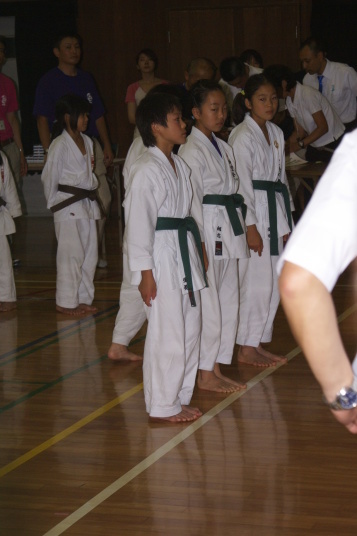 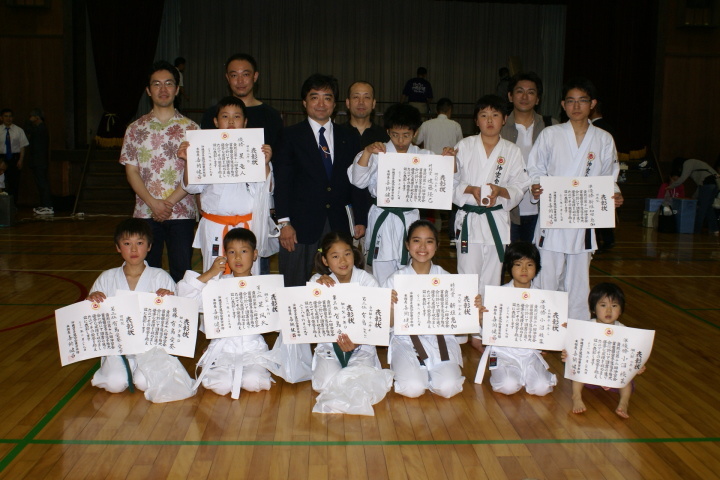 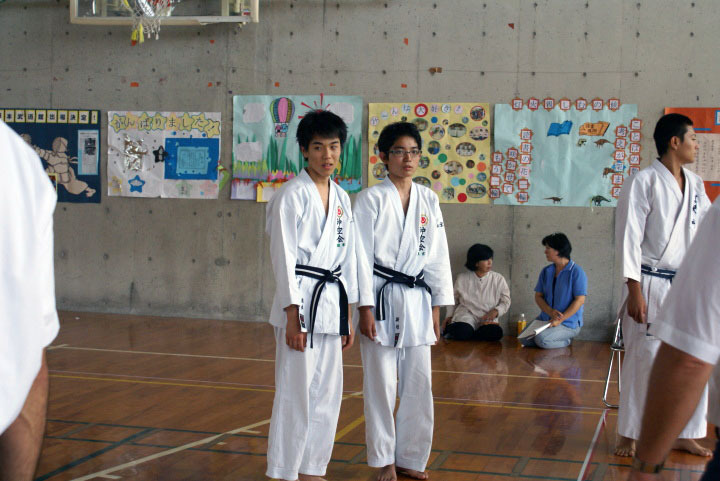 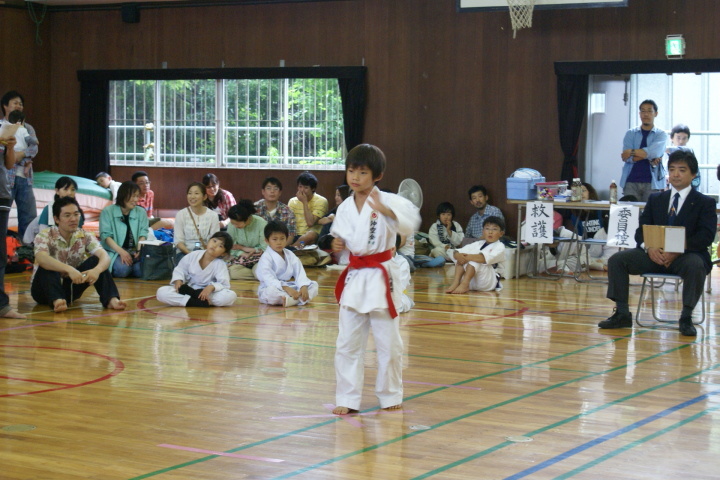 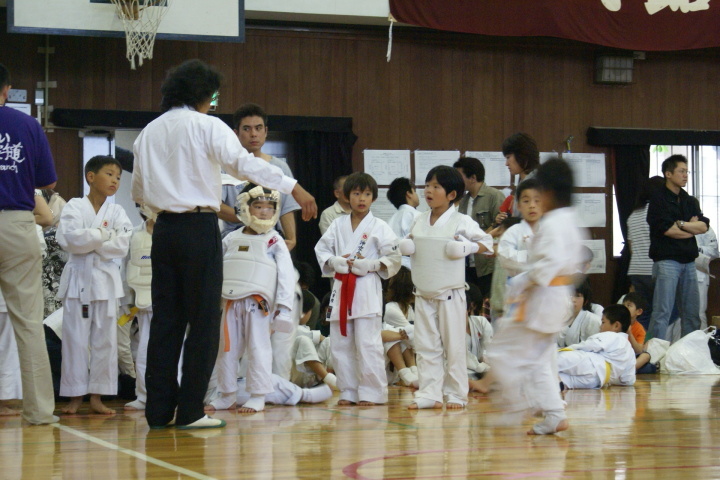 06/10/06 Children of the Dojo Miyagi alongside Yonamine Sensei. 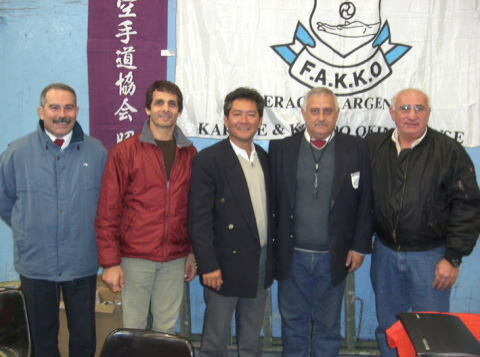 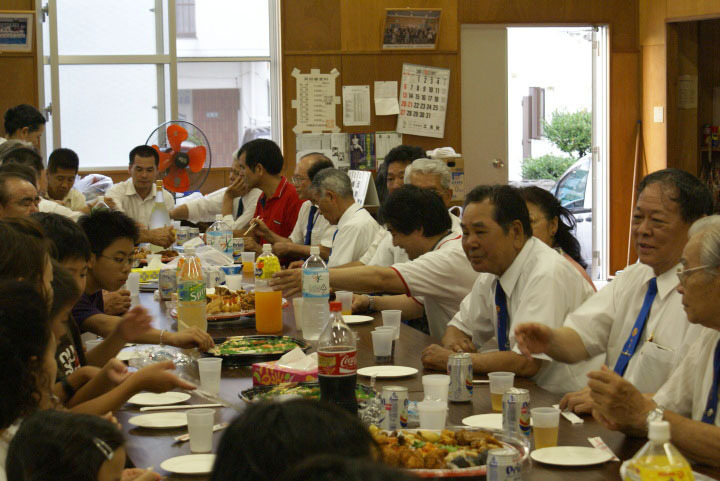 The visit of the Sensei from Okinawa concluded with the realization of a seminar on Sunday 8th of October at the facilities of the Club of Personal of the Central Bank of Republic Argentina, whith involved around 60 people . 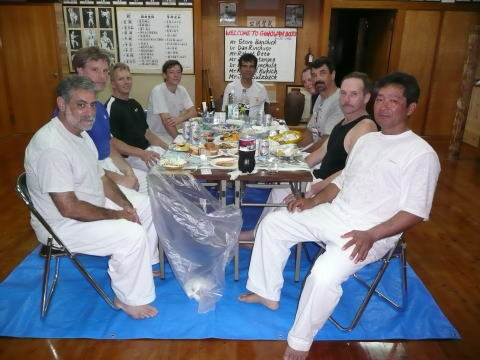 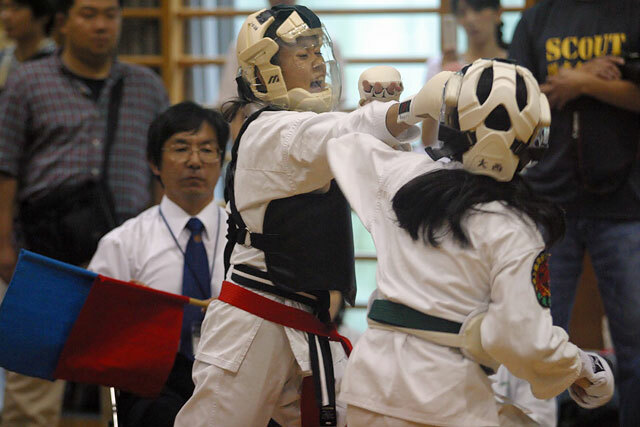 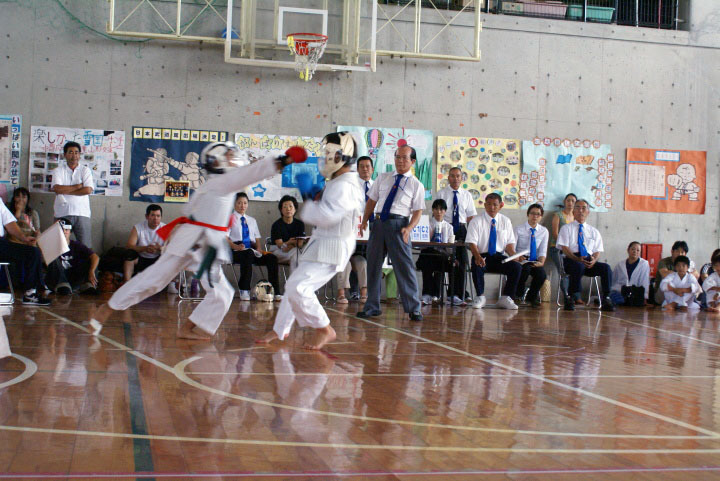 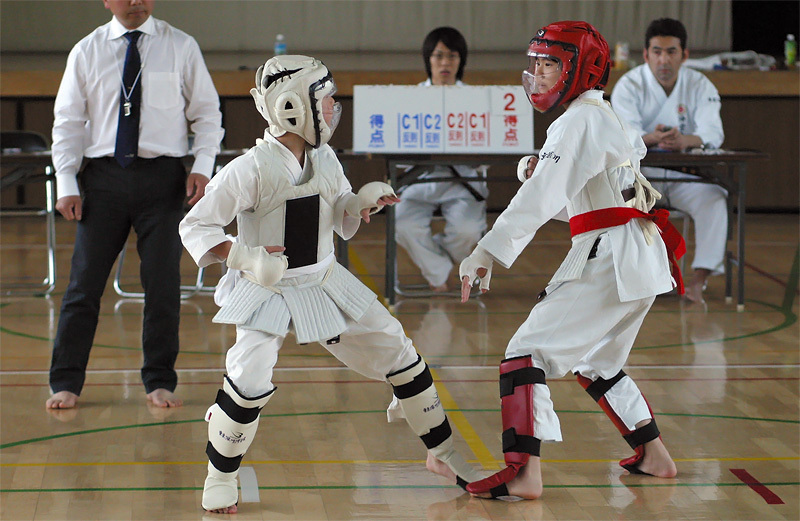 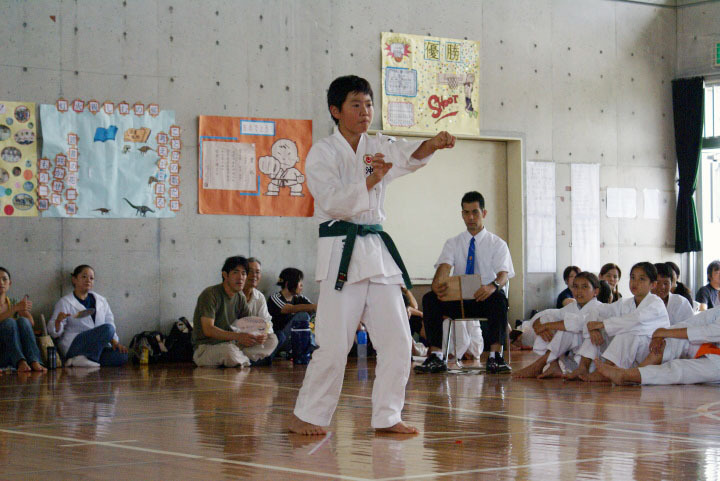 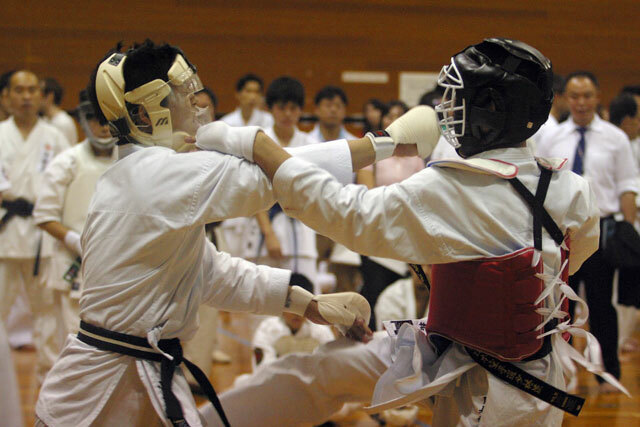 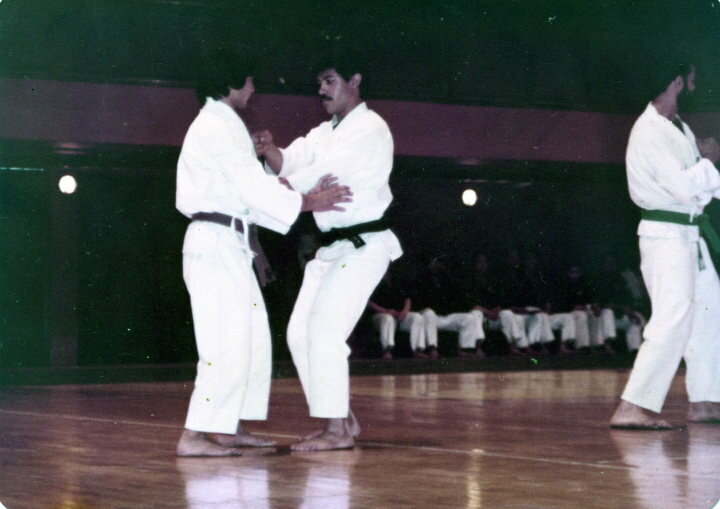 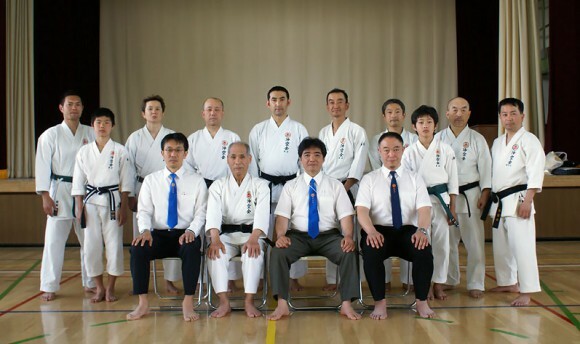 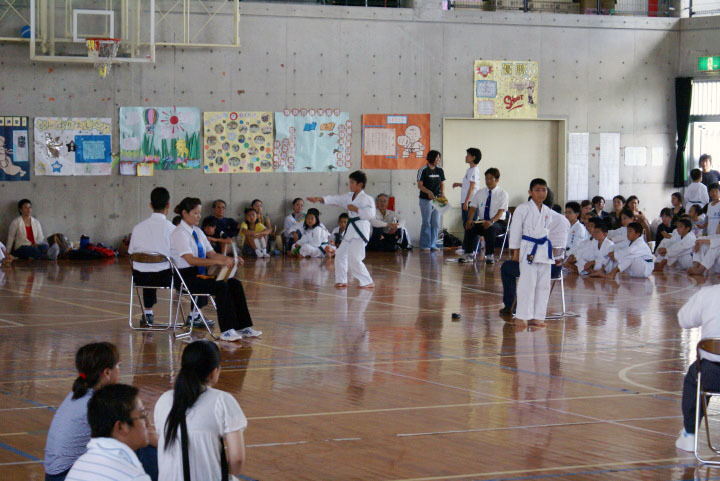 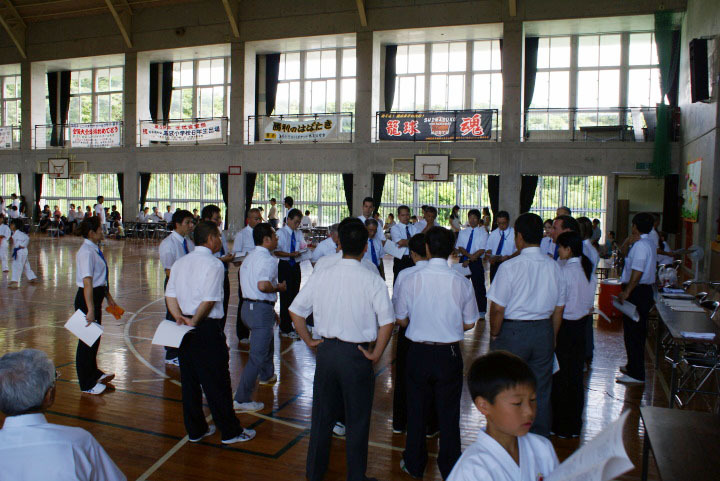 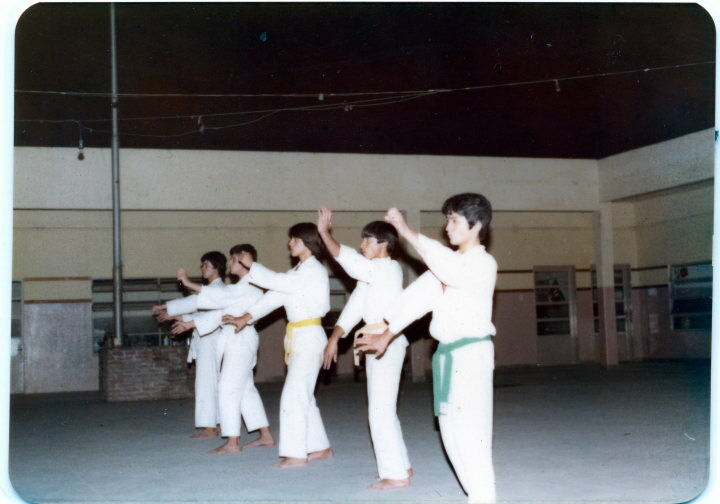 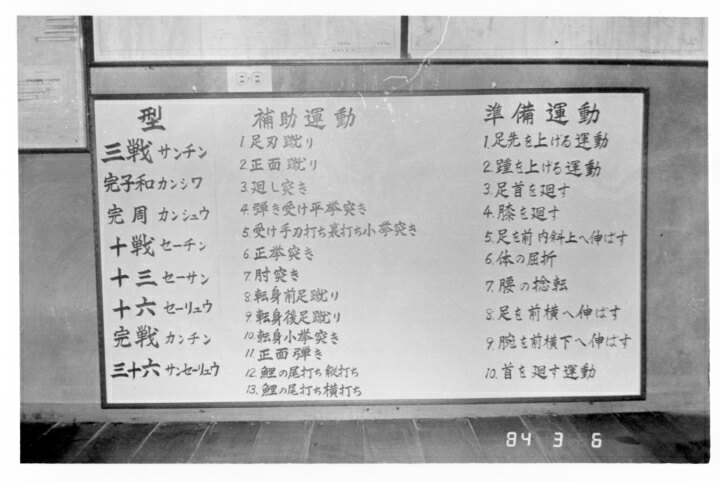 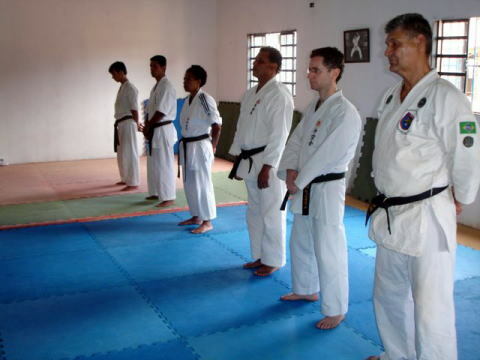 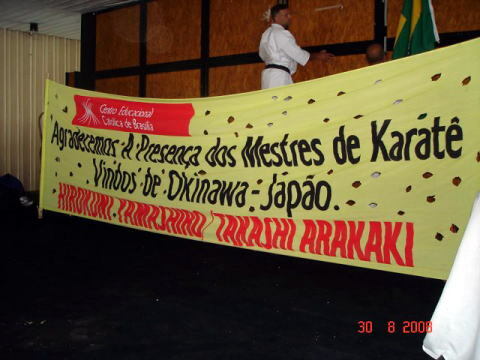 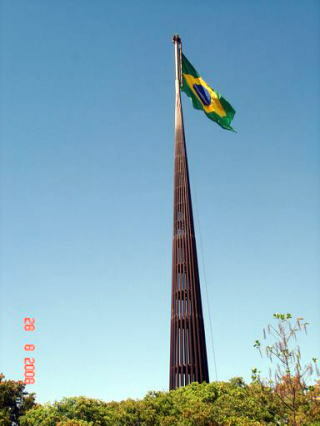 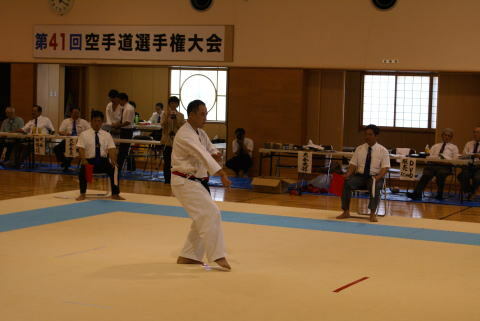 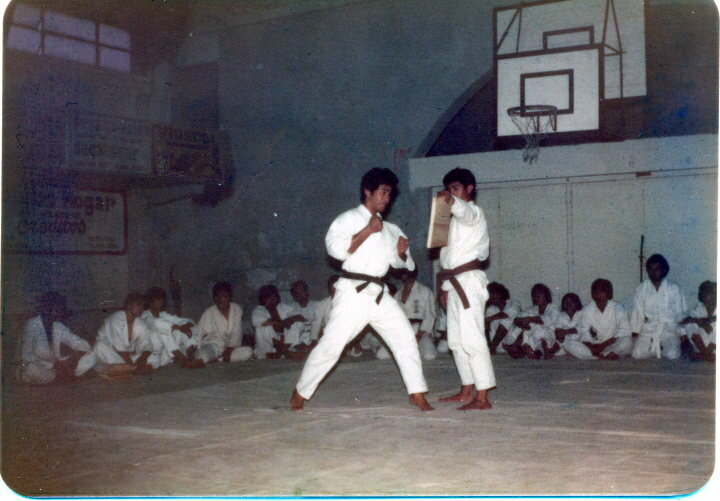 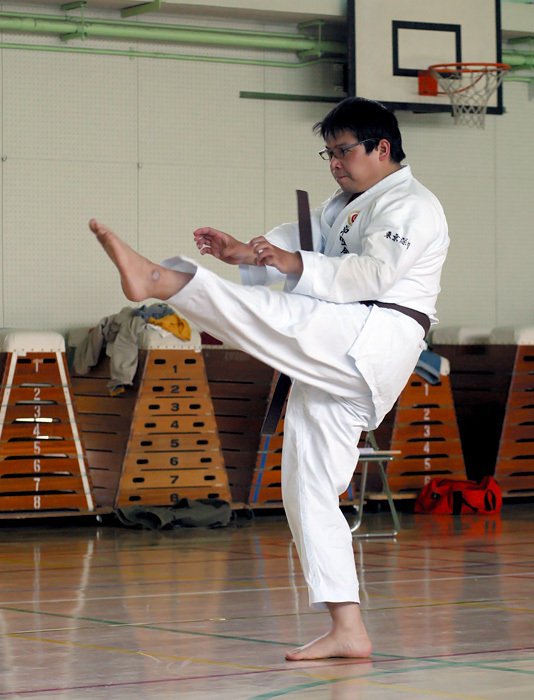 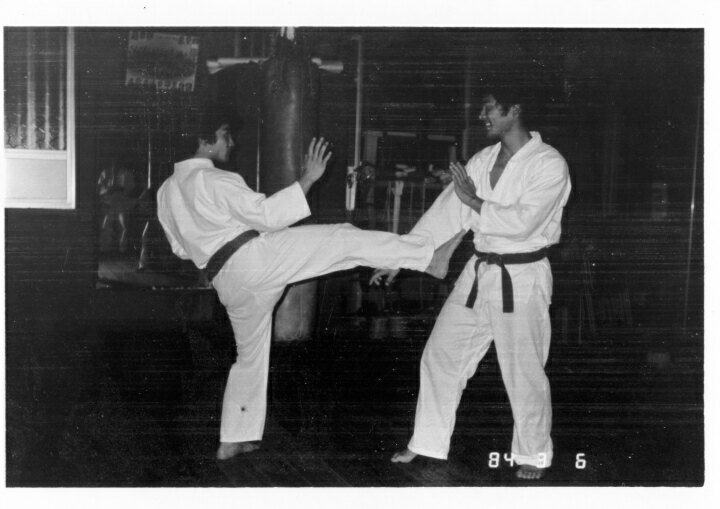 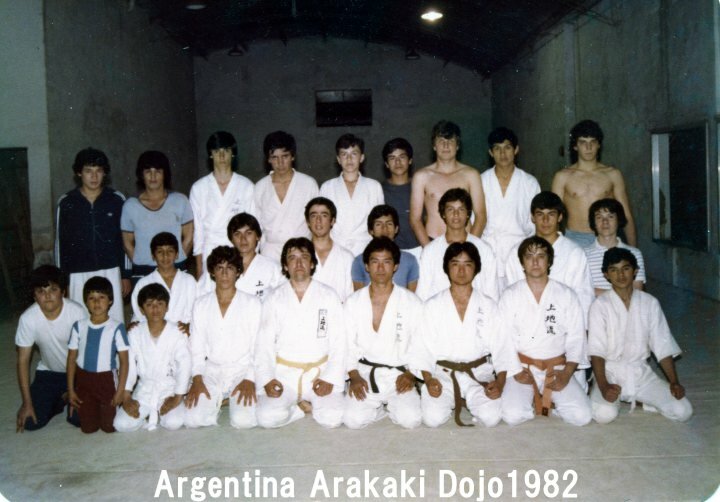 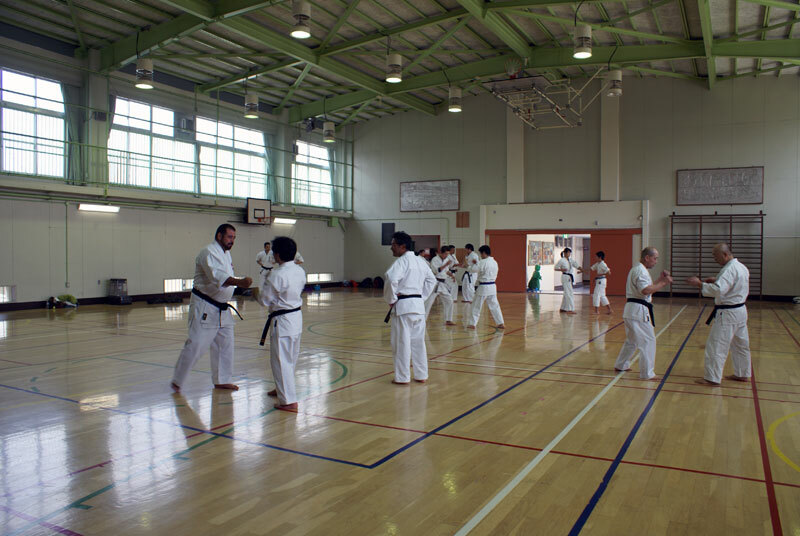 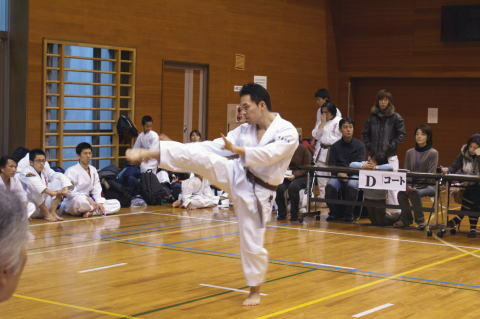 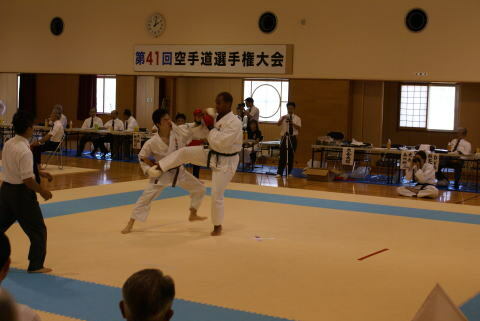 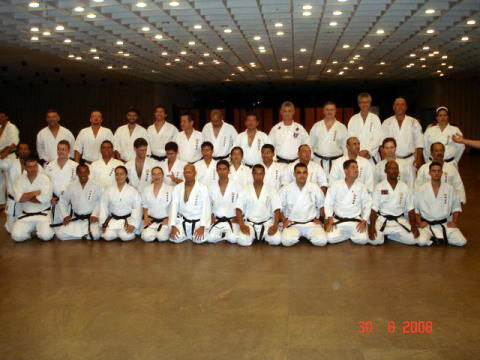 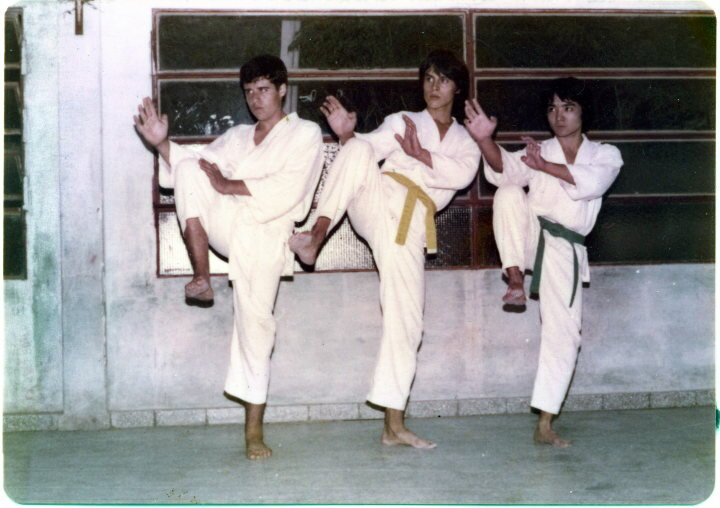 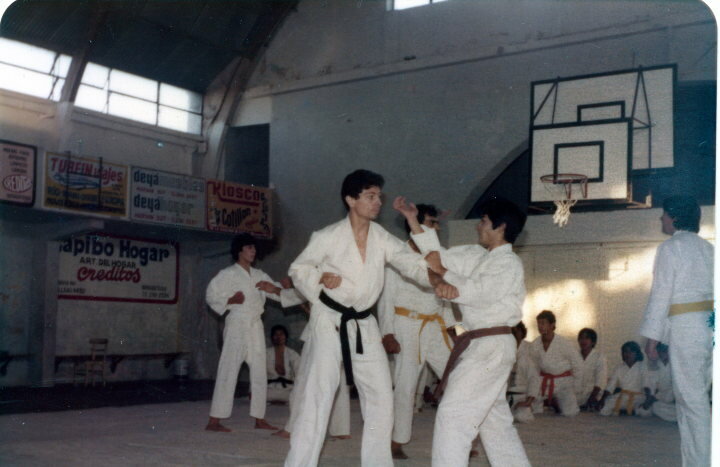 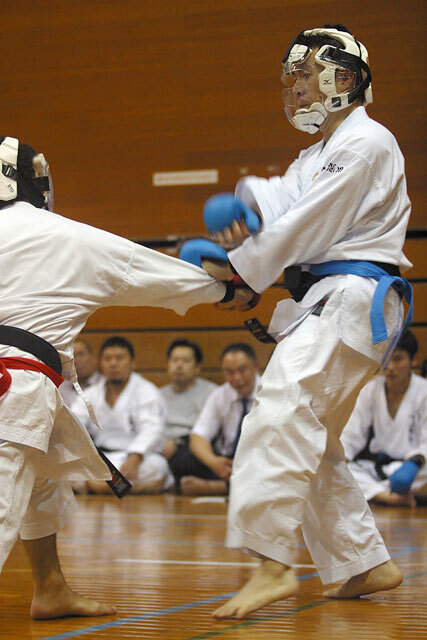 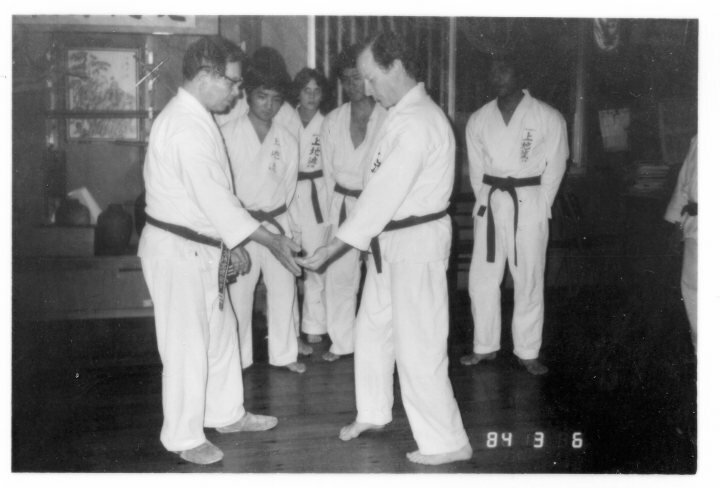 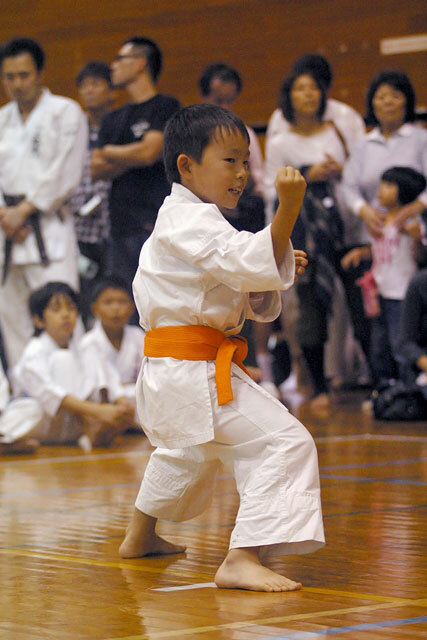 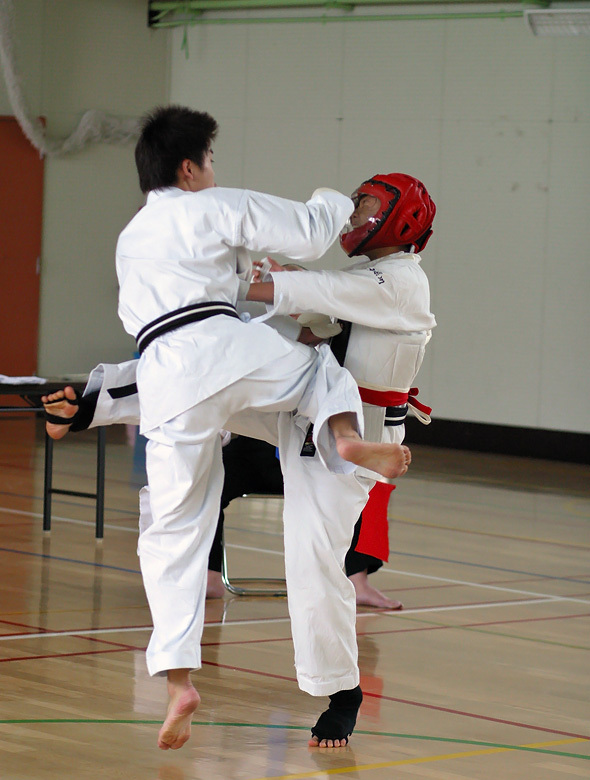 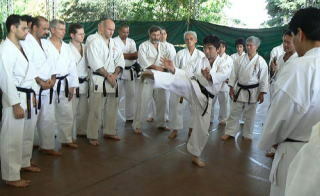 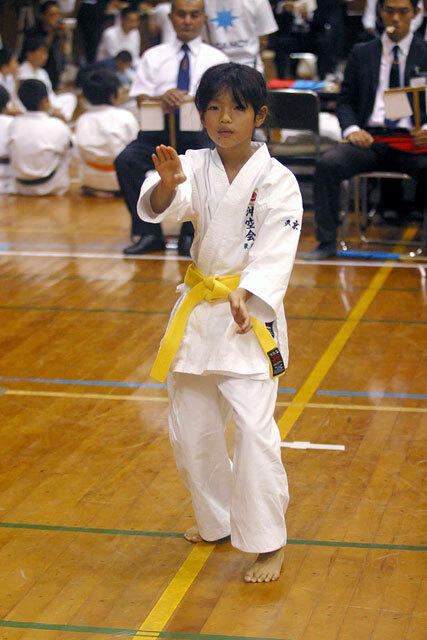 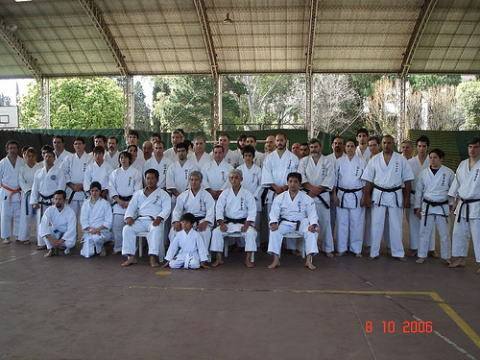 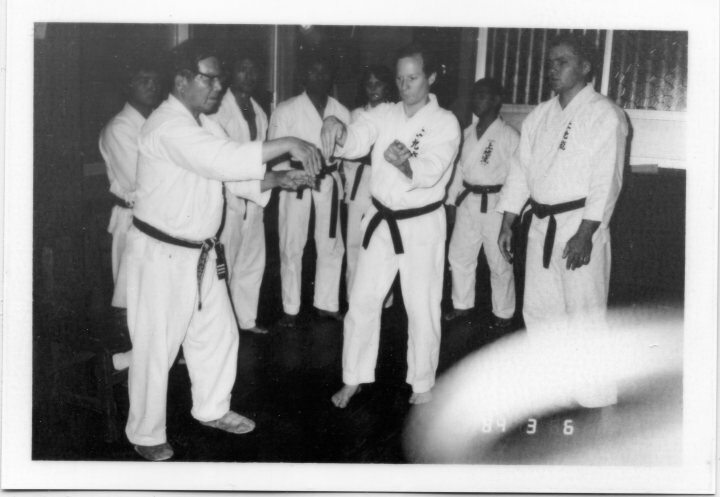 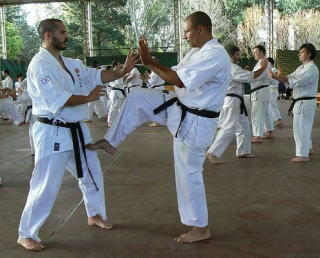 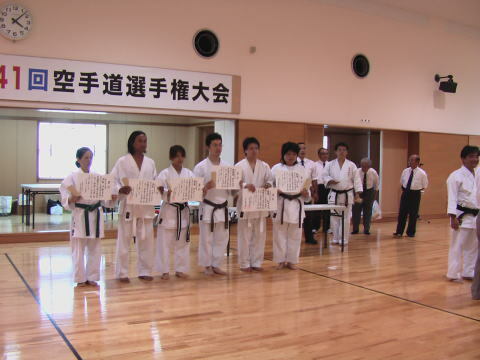 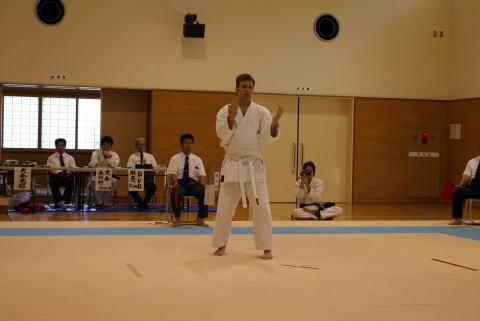 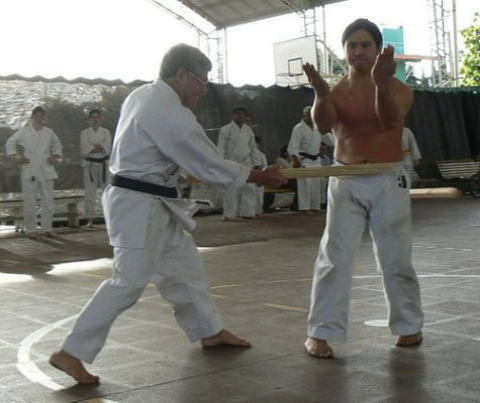 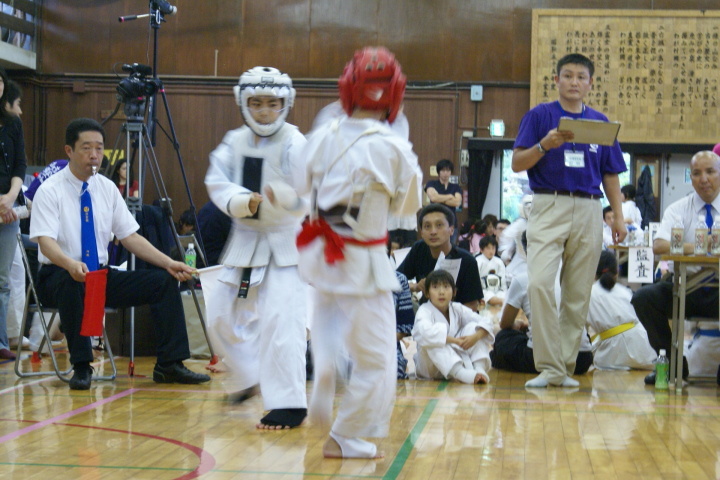 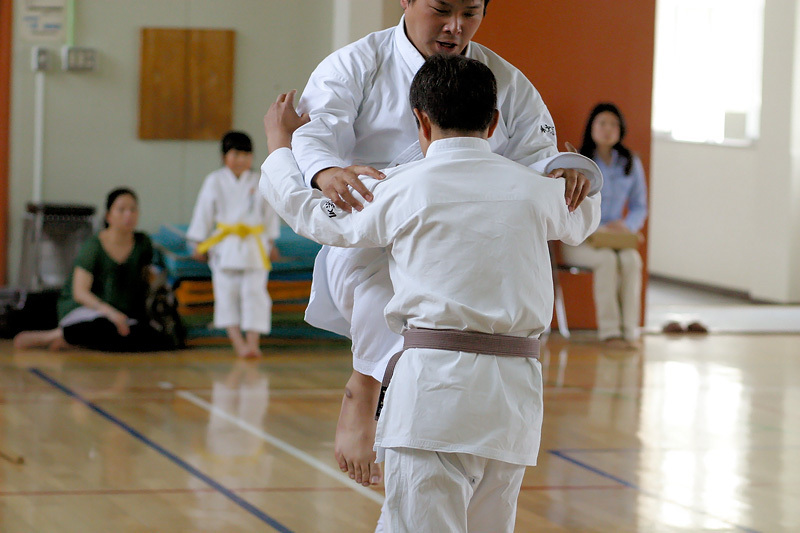 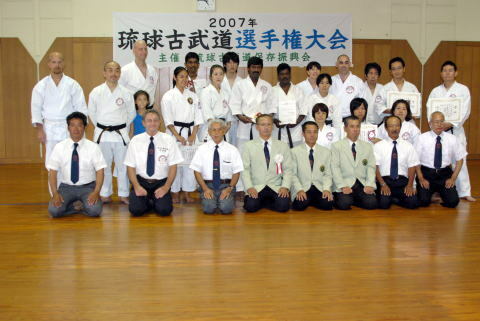 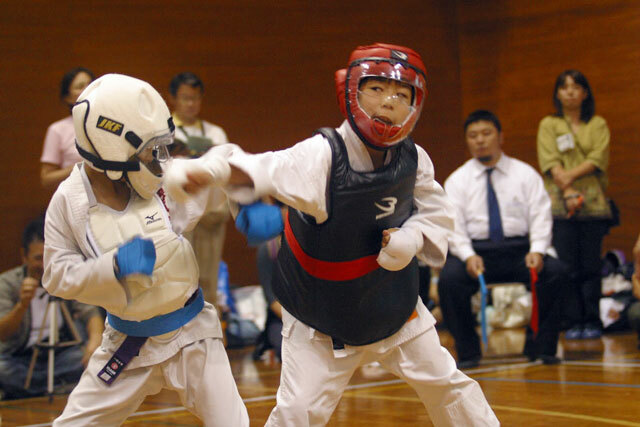 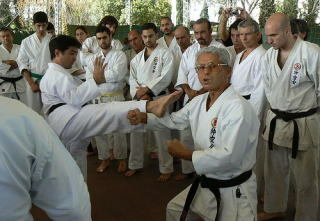 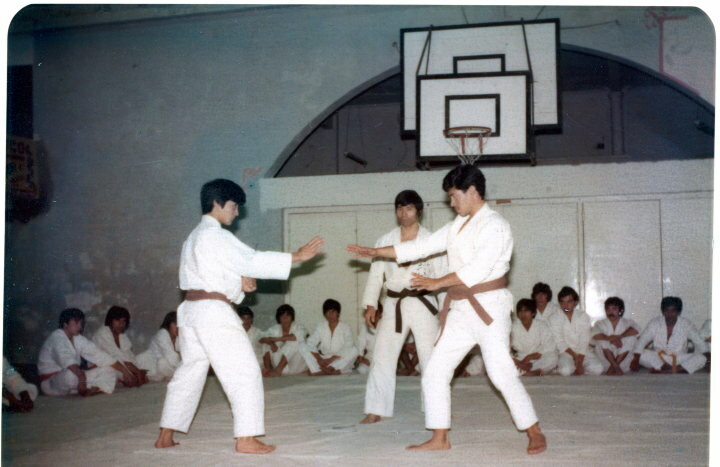 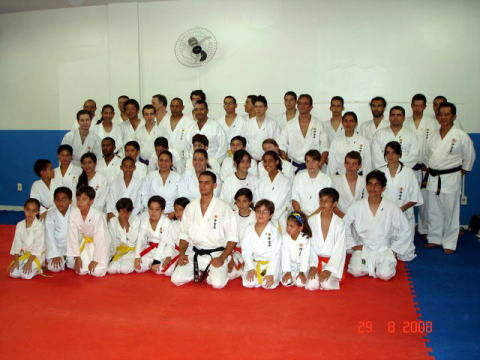 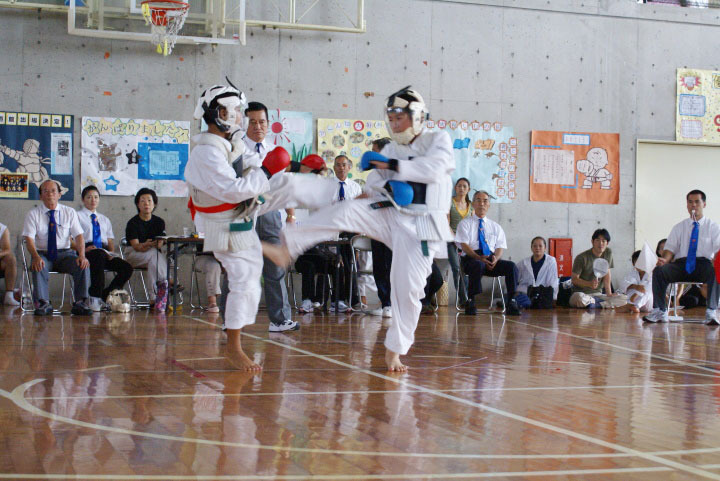 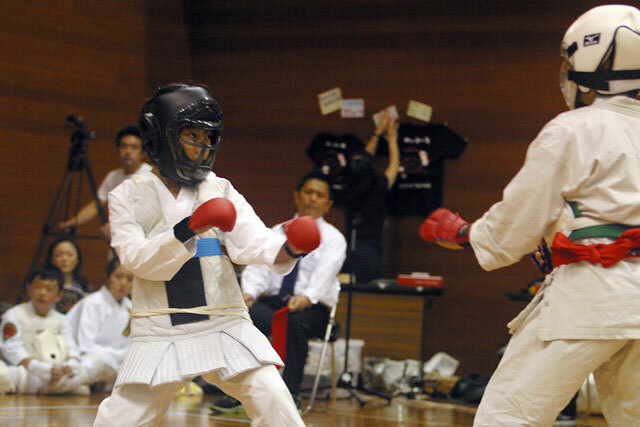 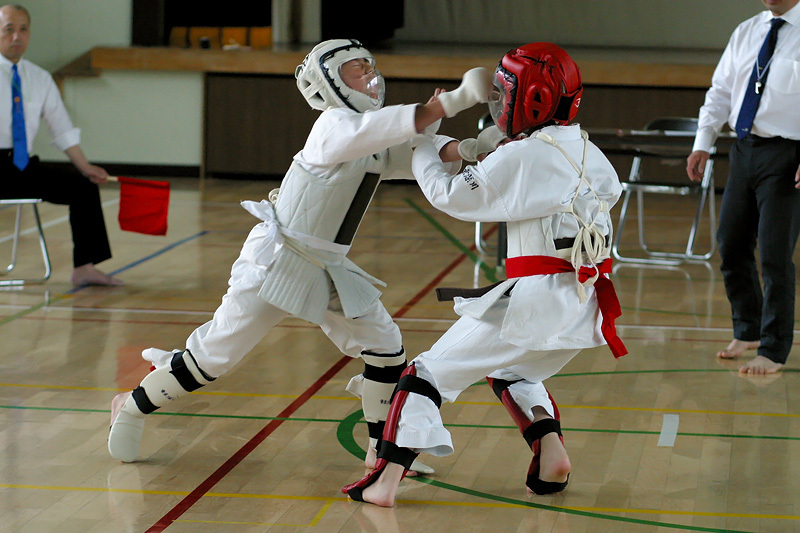 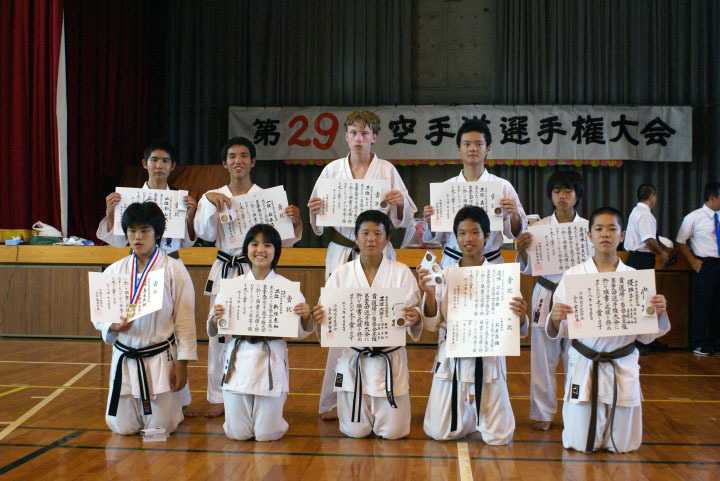 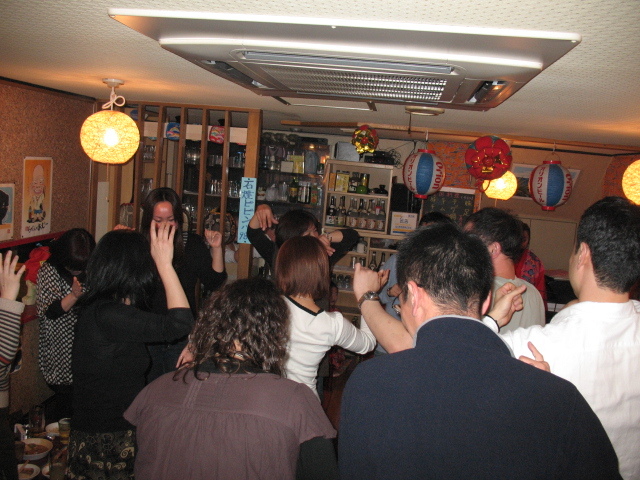 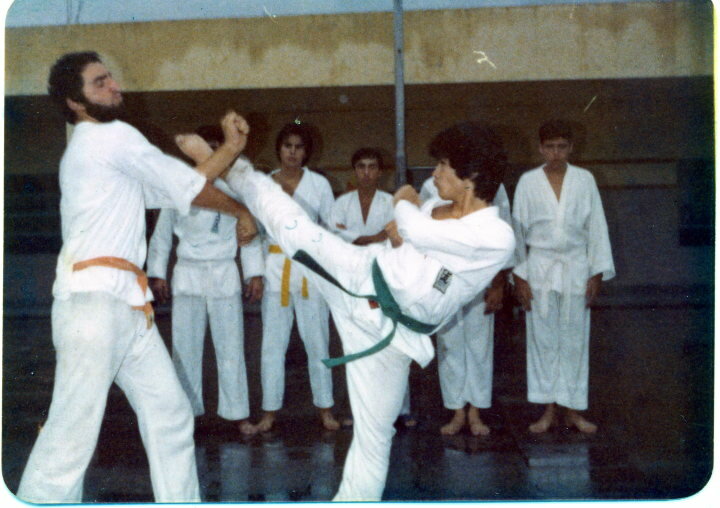 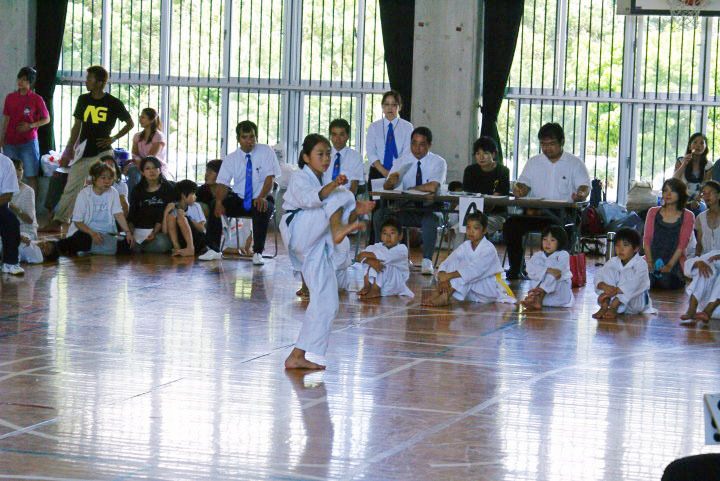 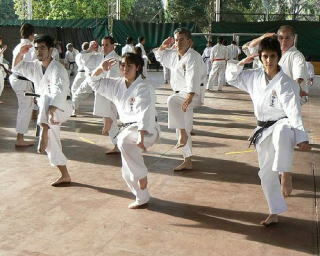 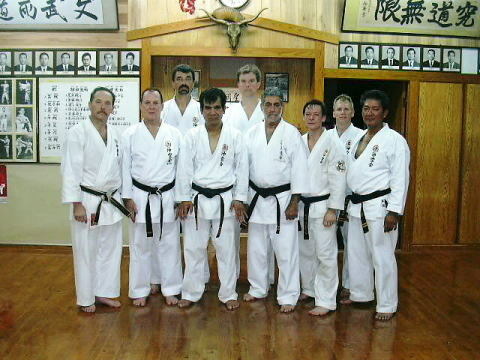 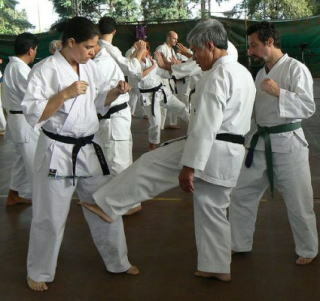 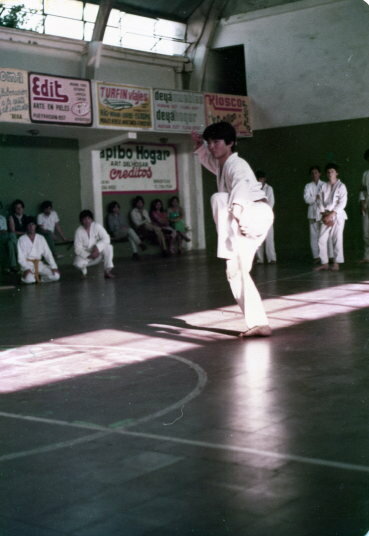 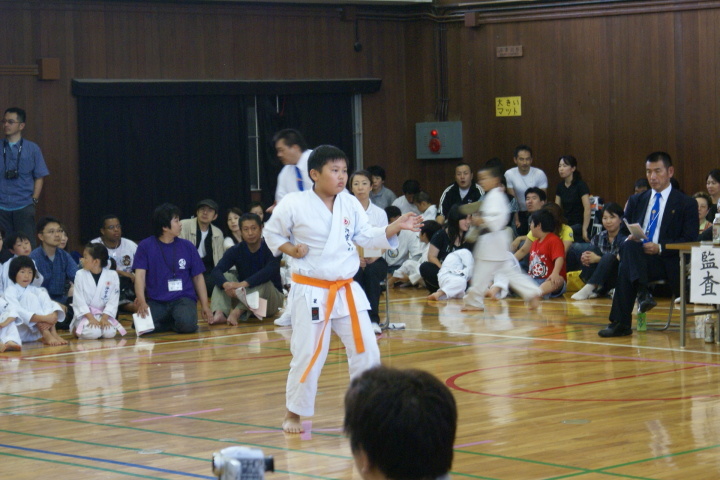 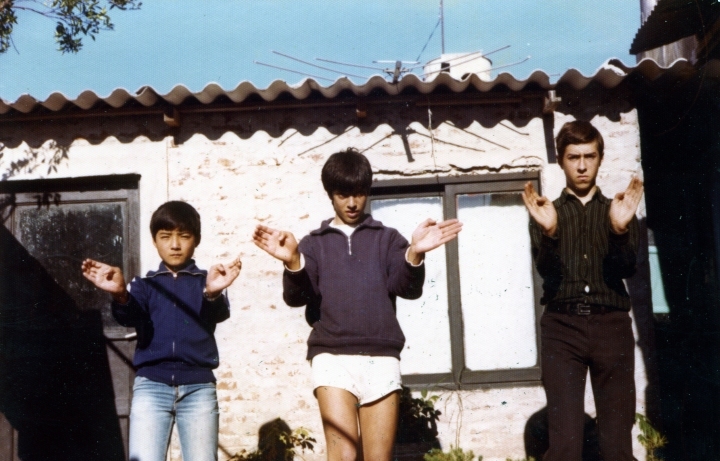 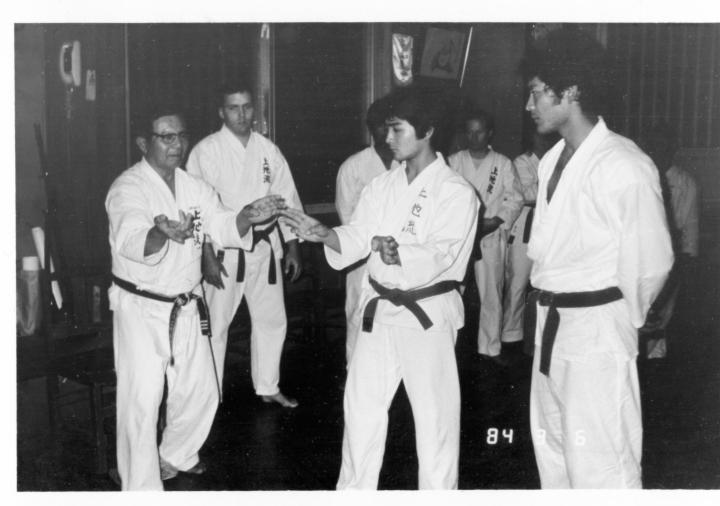 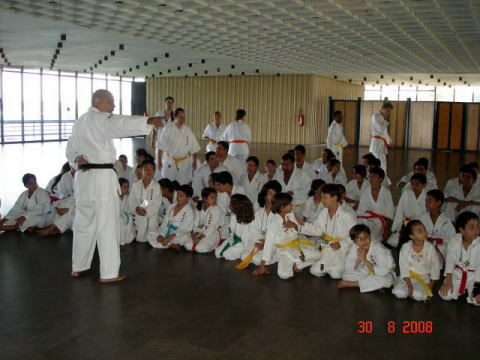 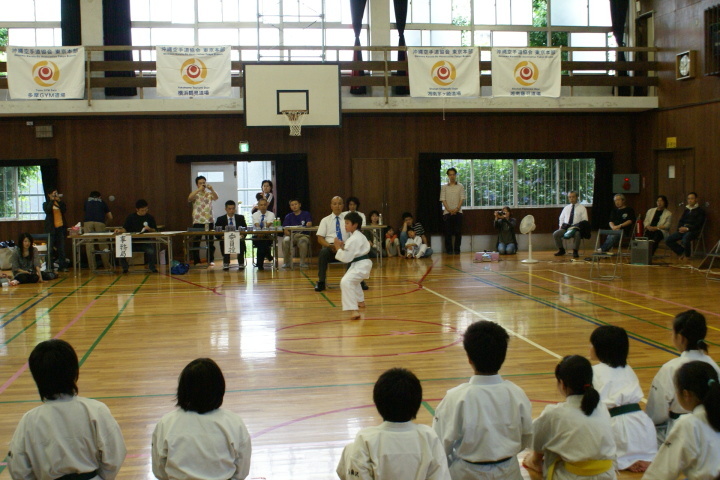 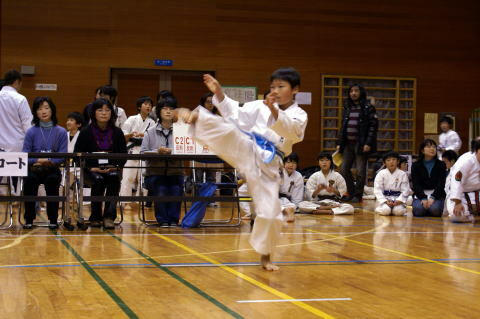 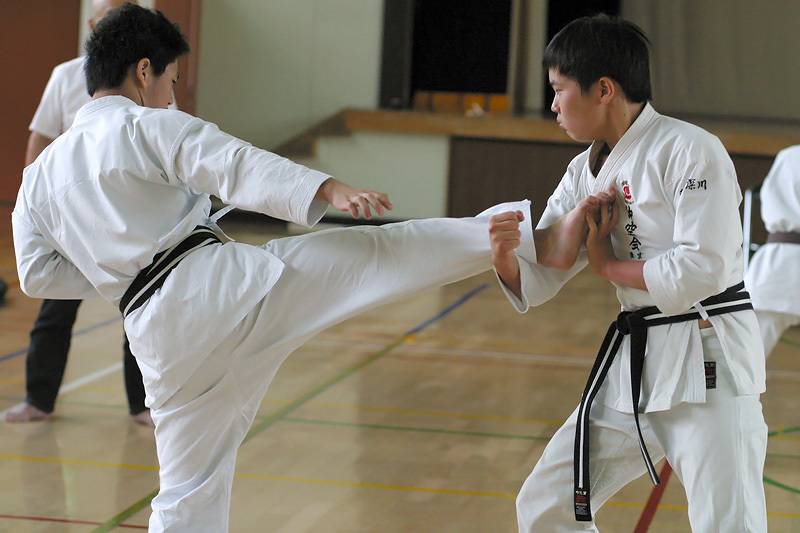 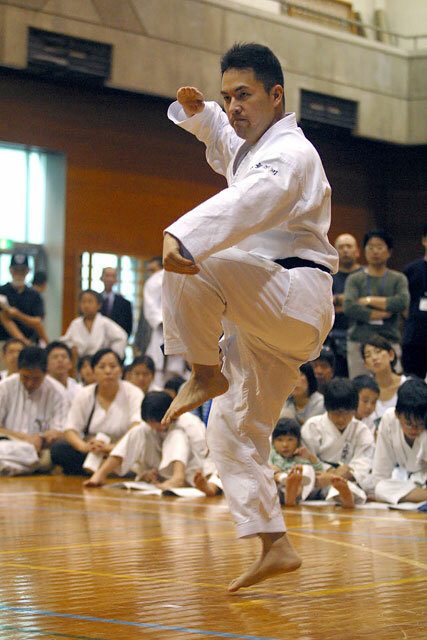 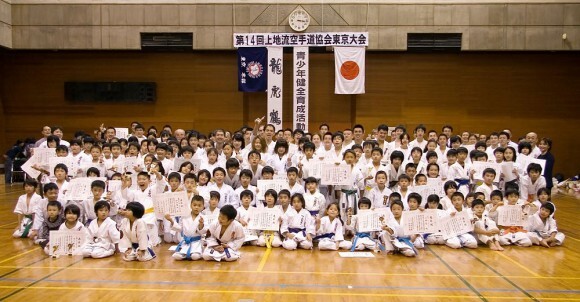 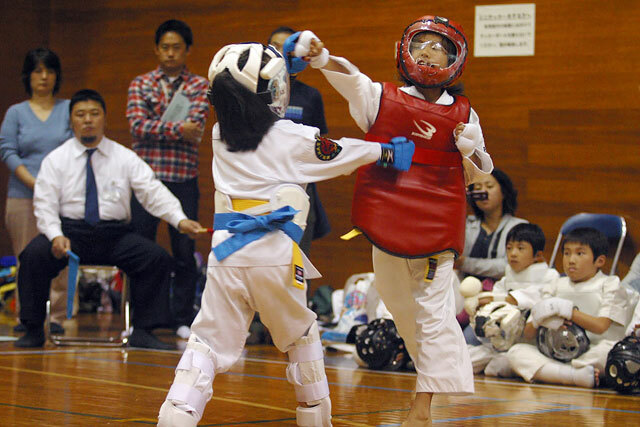 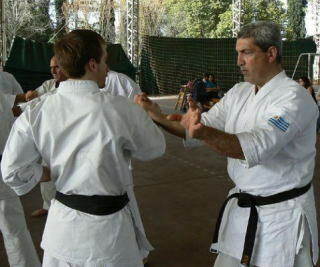 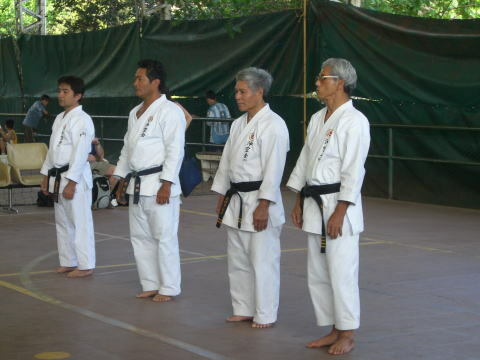 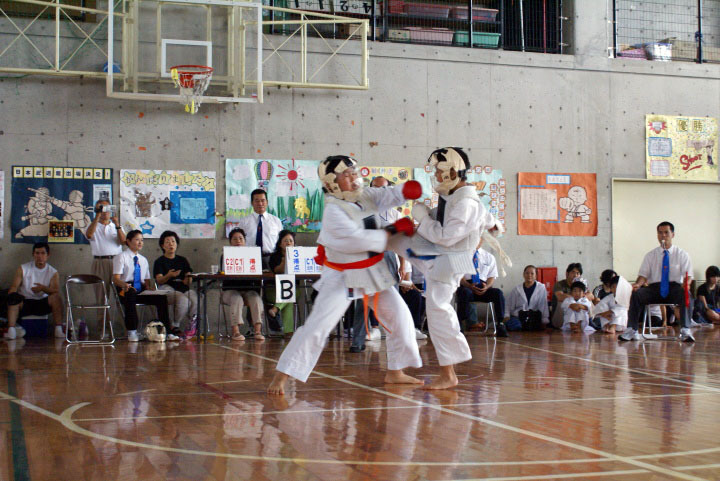 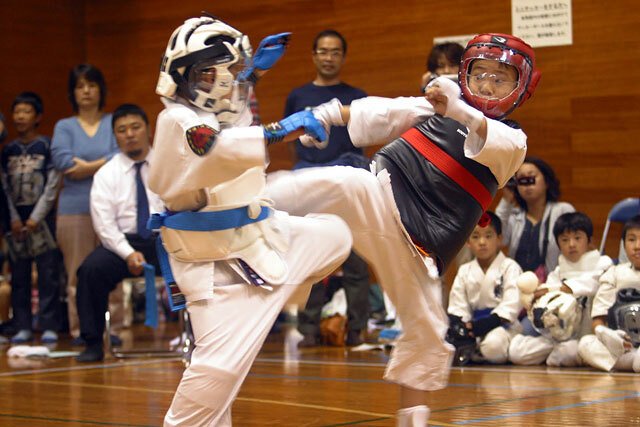 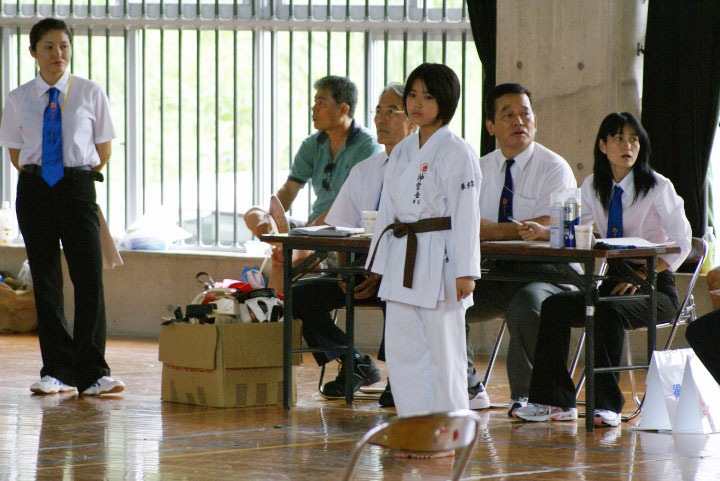 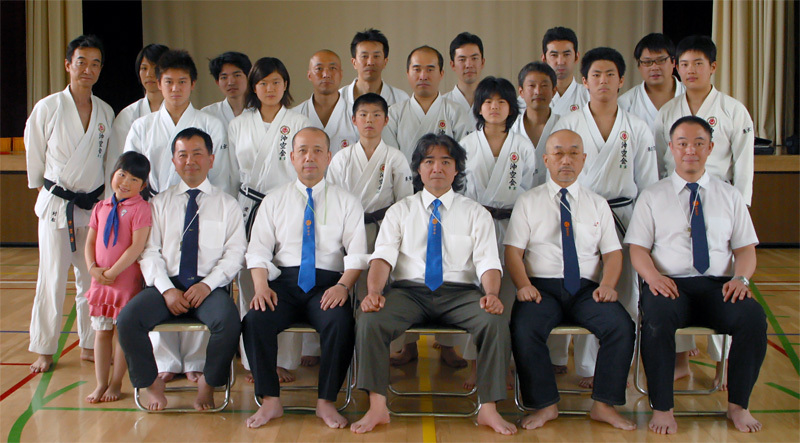 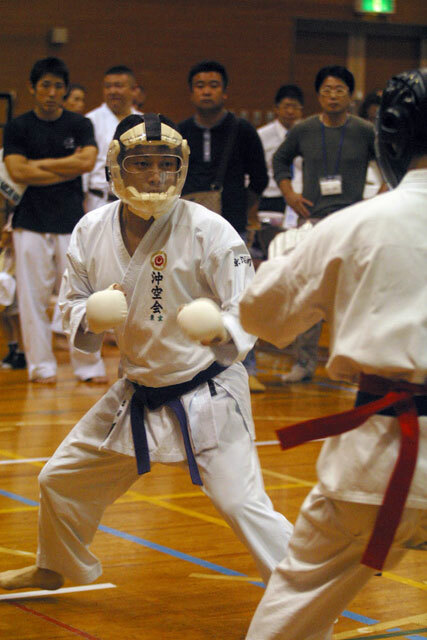 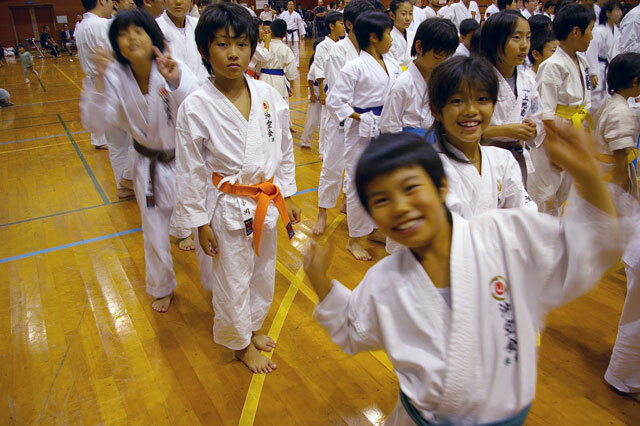 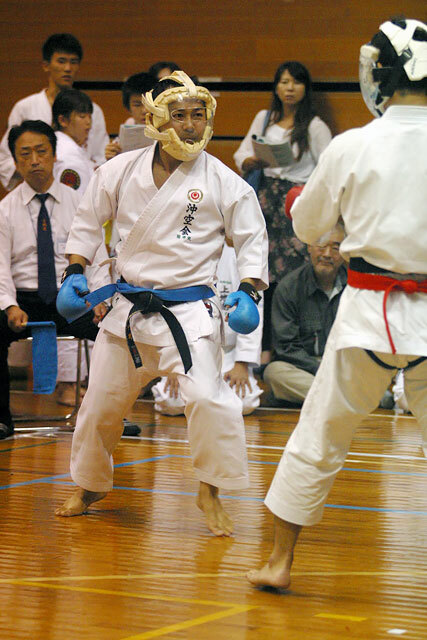 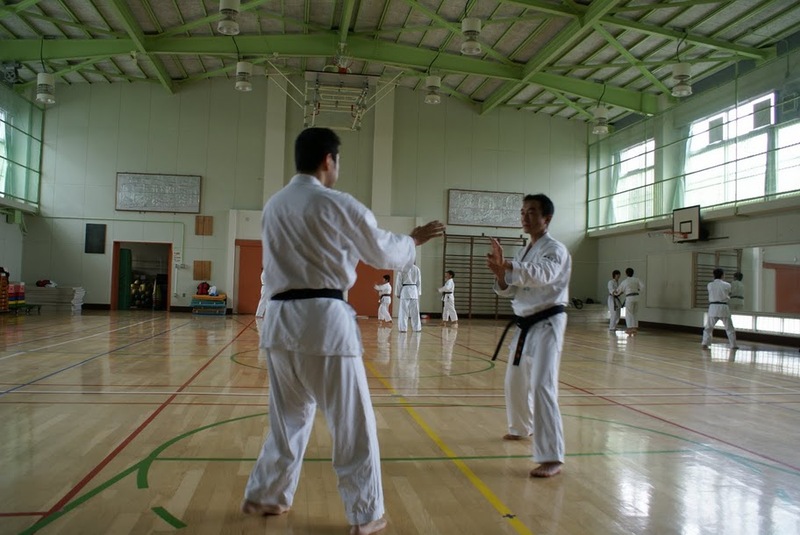 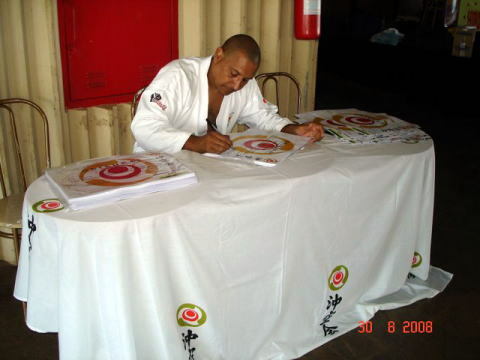 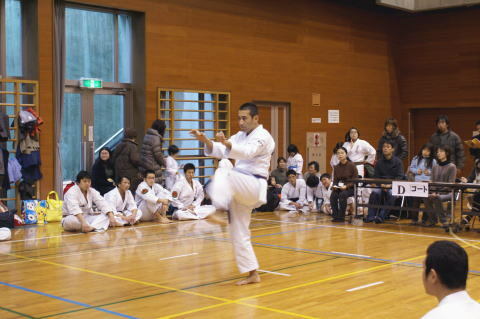 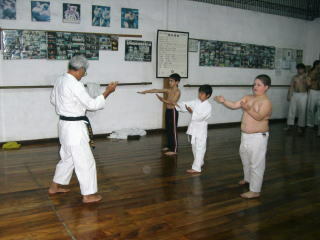 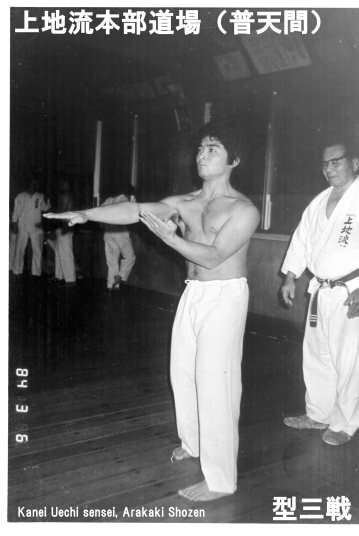 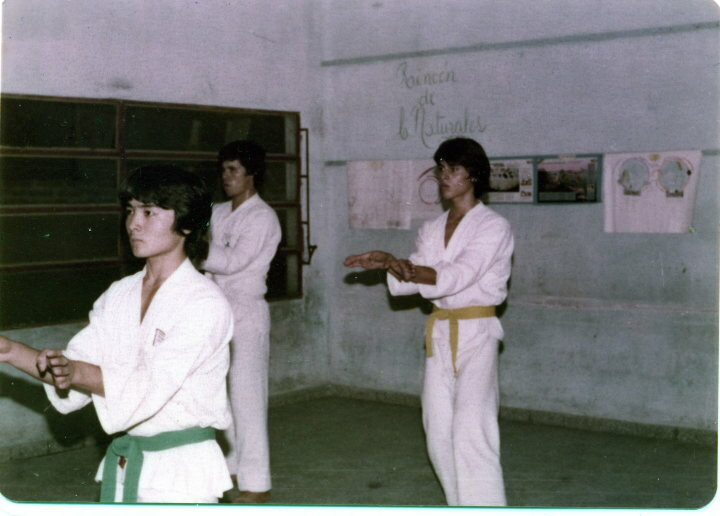 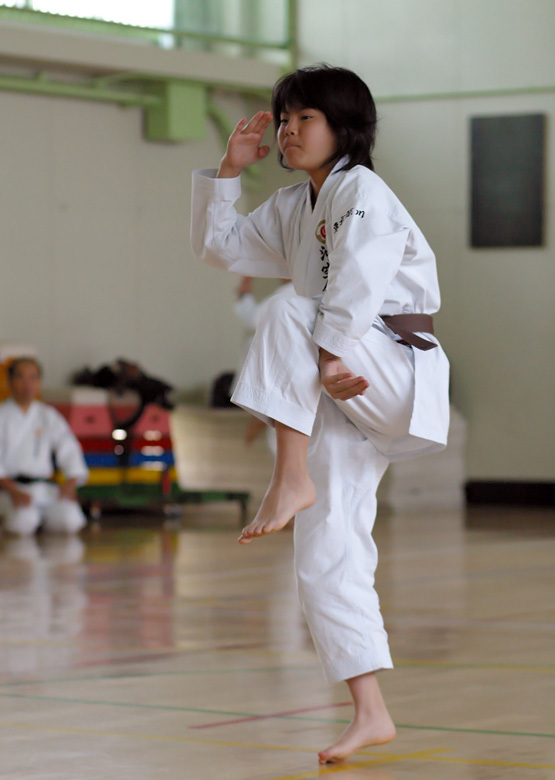 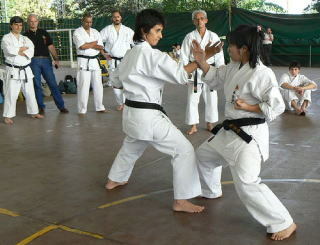 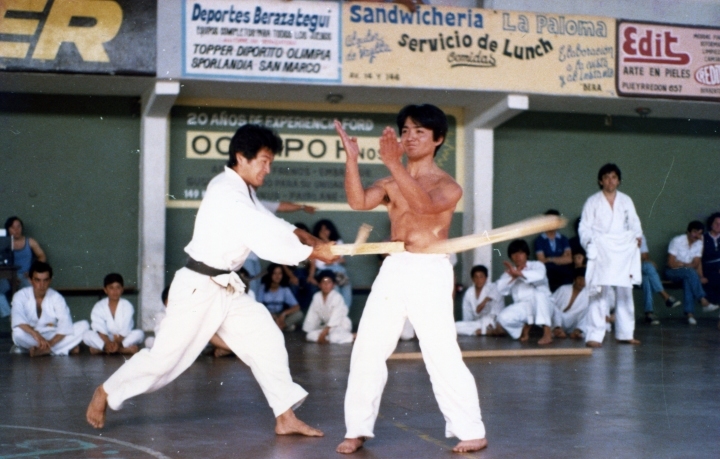 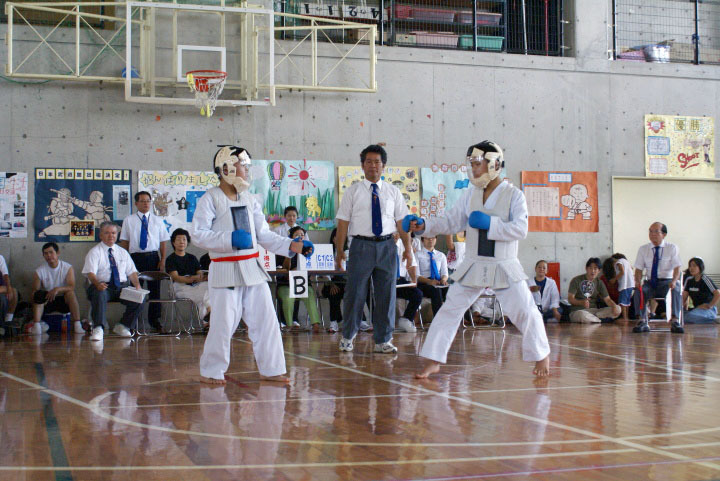 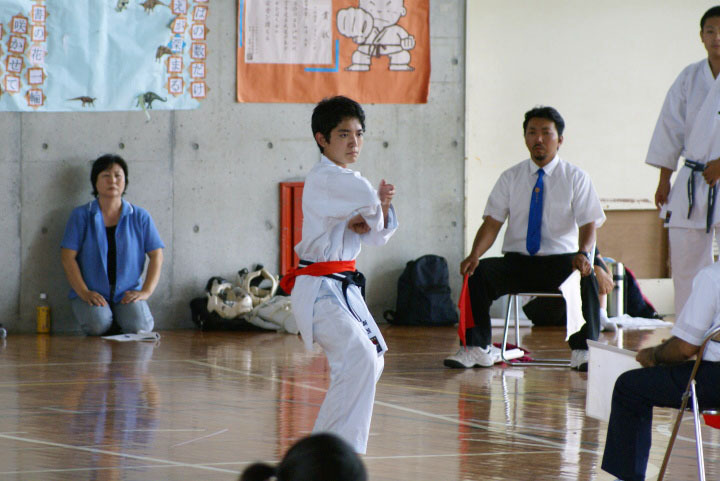 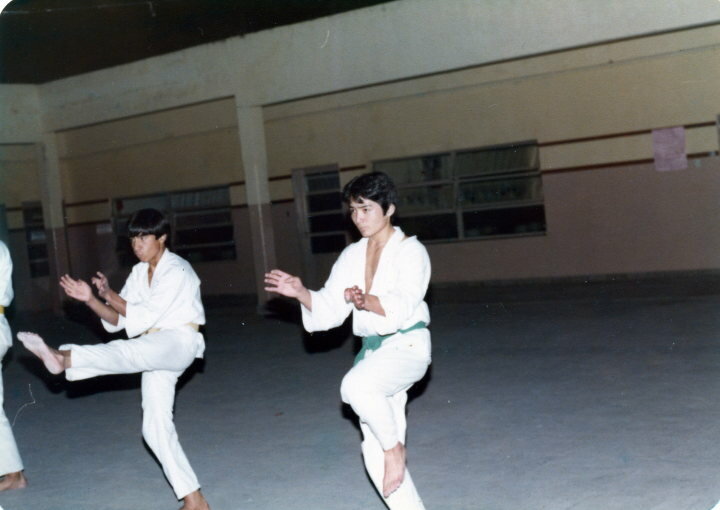 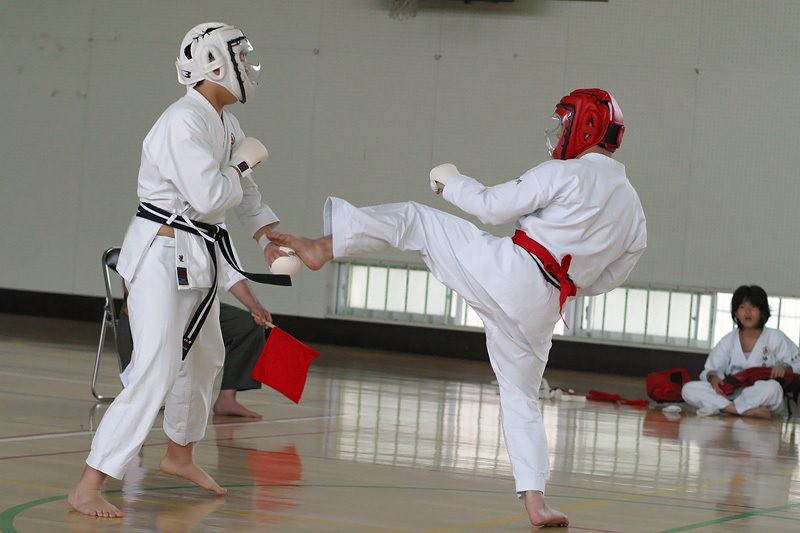 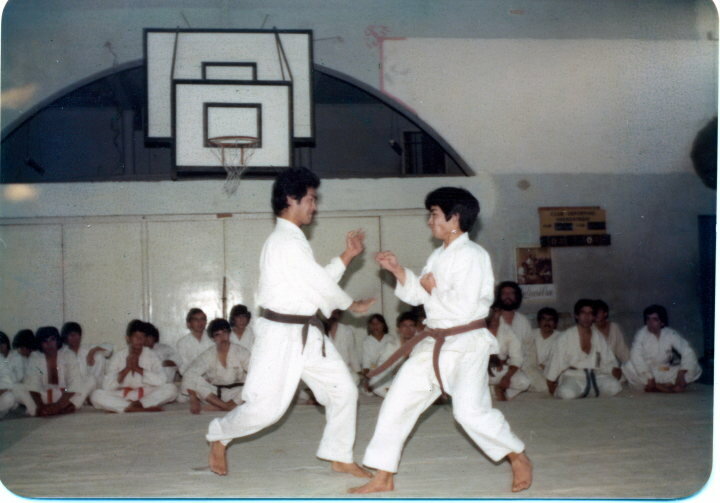 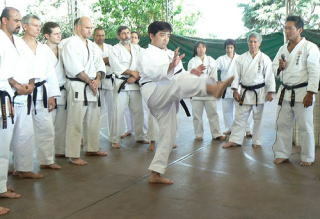 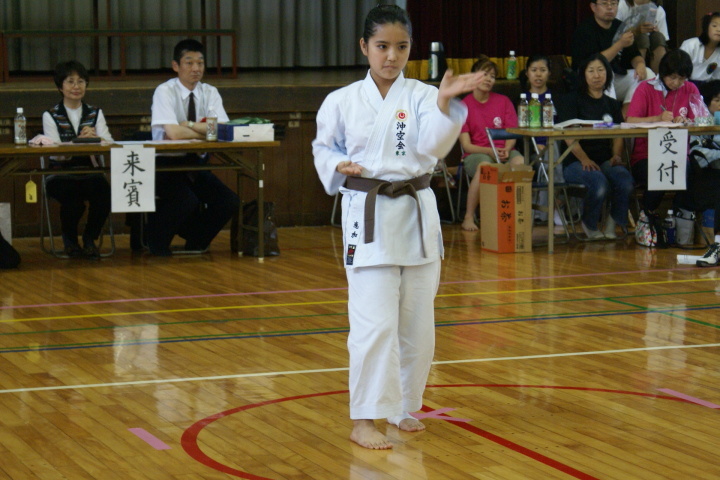 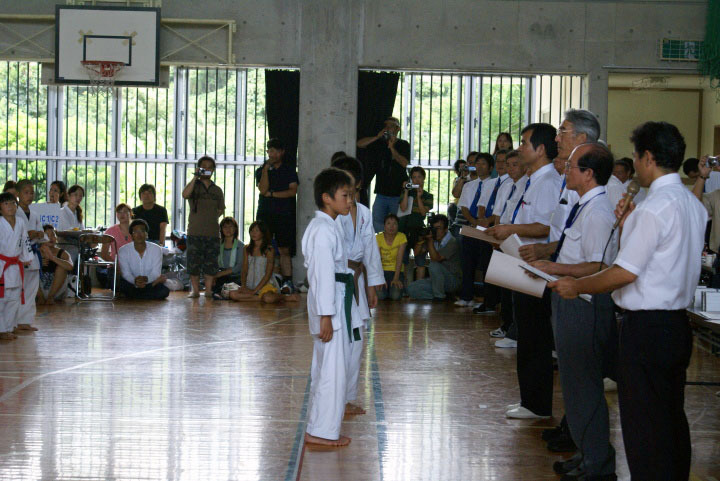 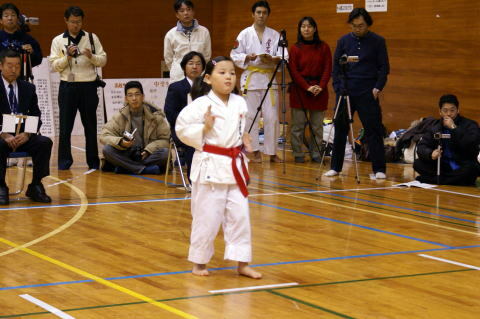 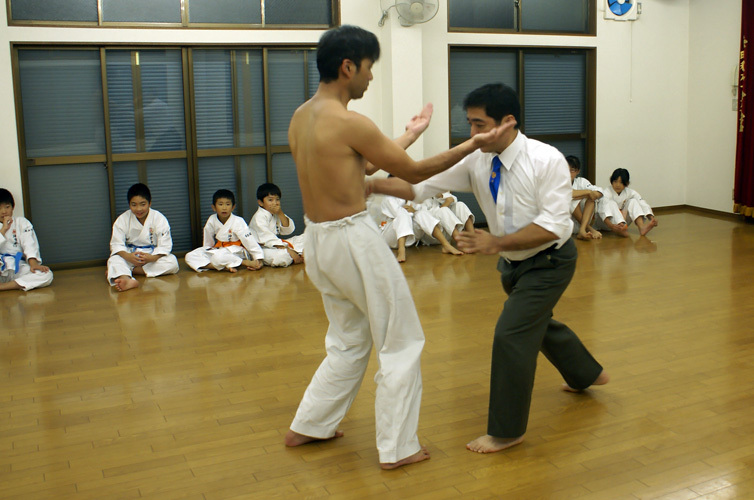 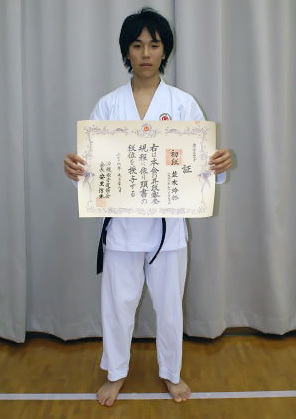 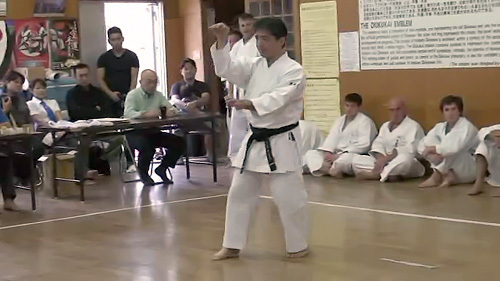 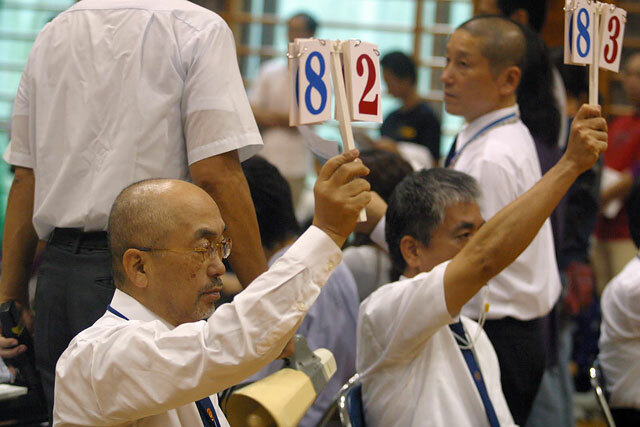 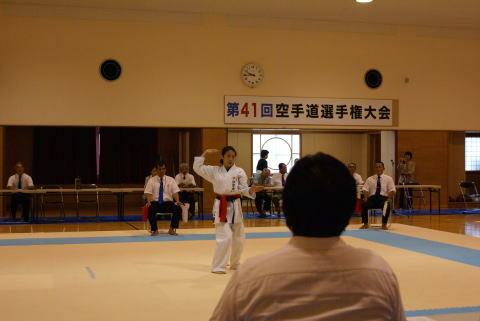 These include participants from other styles as Goyu Ryu and other disciplines of Okikukai Brasil , the Karate Do Association of Argentina Okinawense (AKAO- Shohei Ryu ), the Republic of Uruguay , other provinces of Argentina (Santa Fe , Mendoza and Chubut ) and from the interior of the province of Buenos Aires ( San Pedro and Villa Gessell ) . 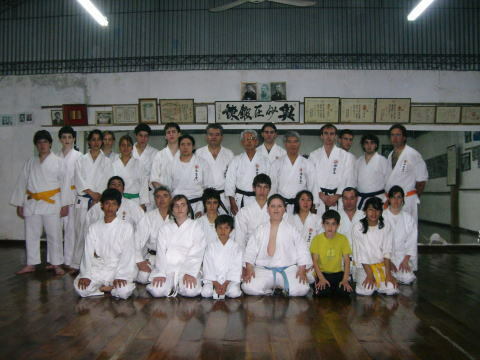 06/10/06 Seminar at the Club Personal of BCRA. 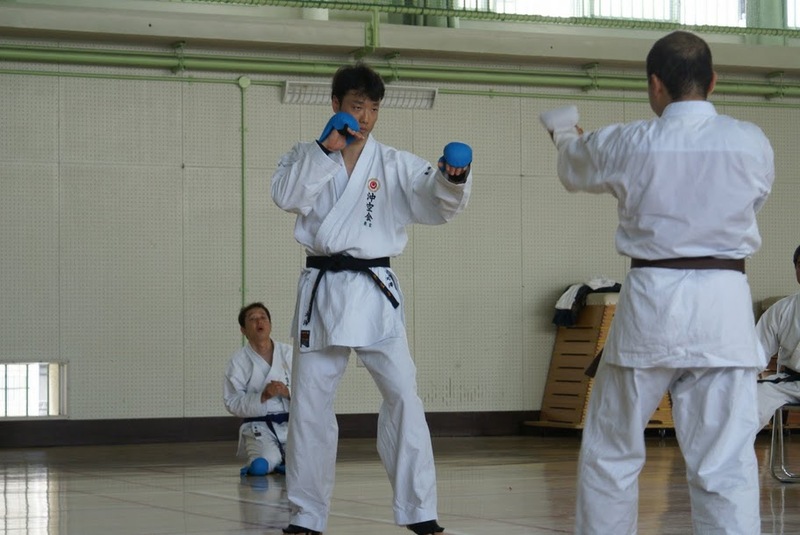 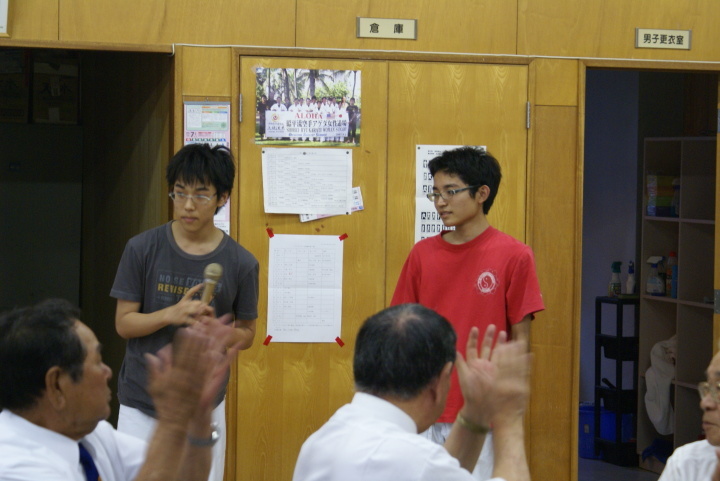 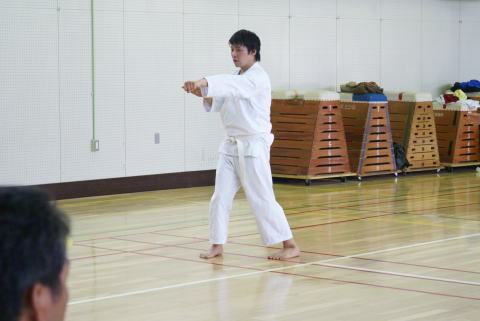 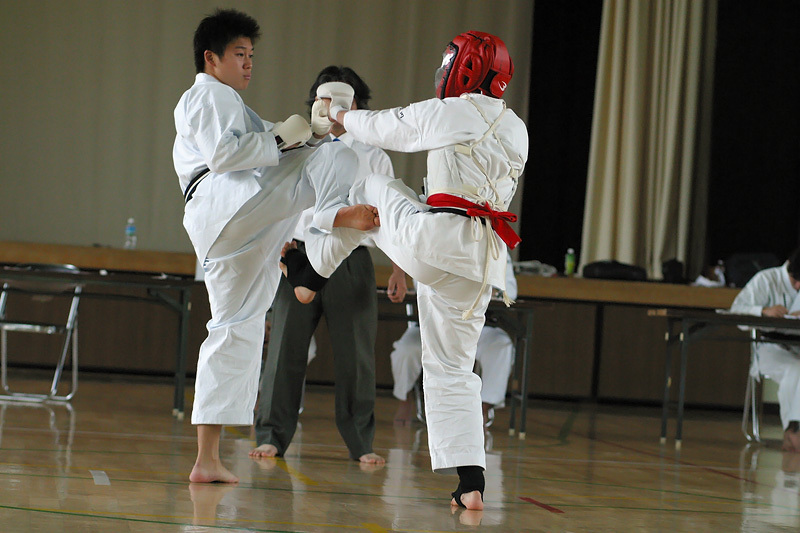 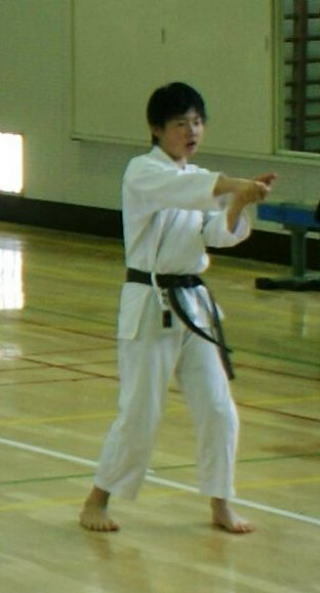 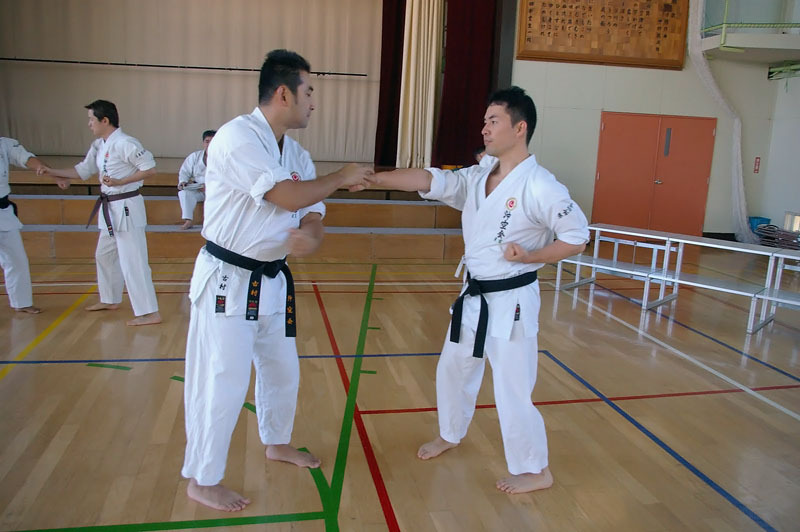 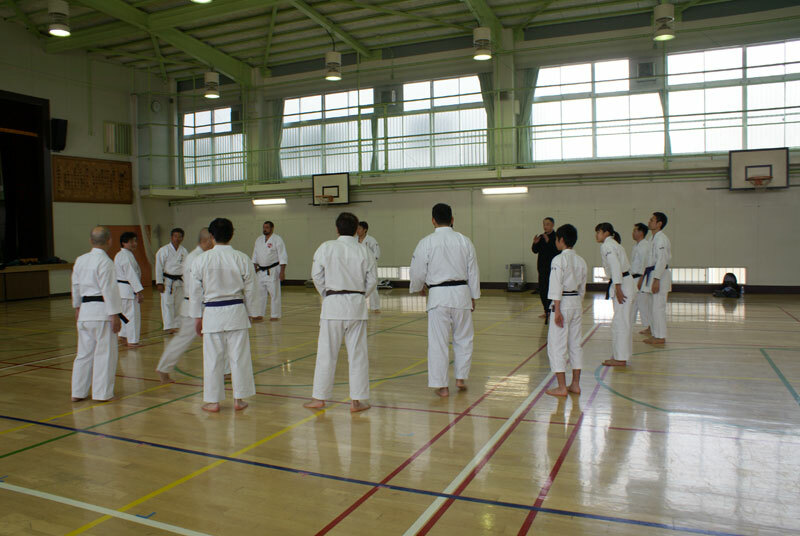 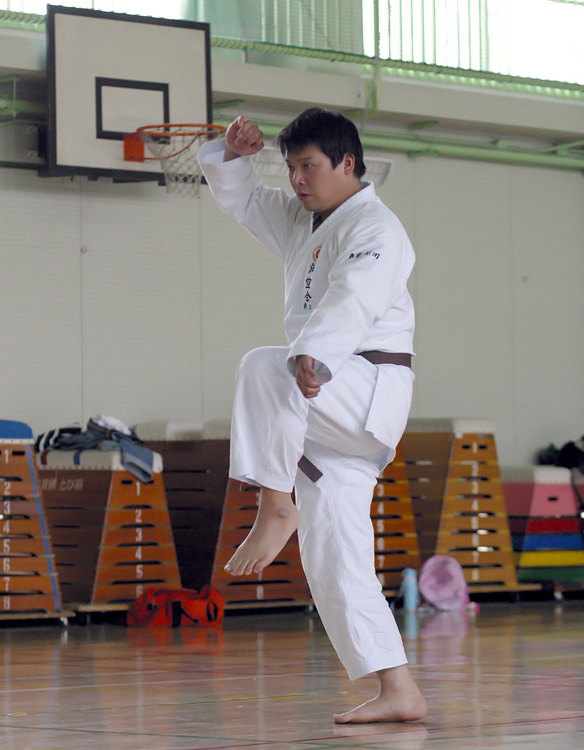 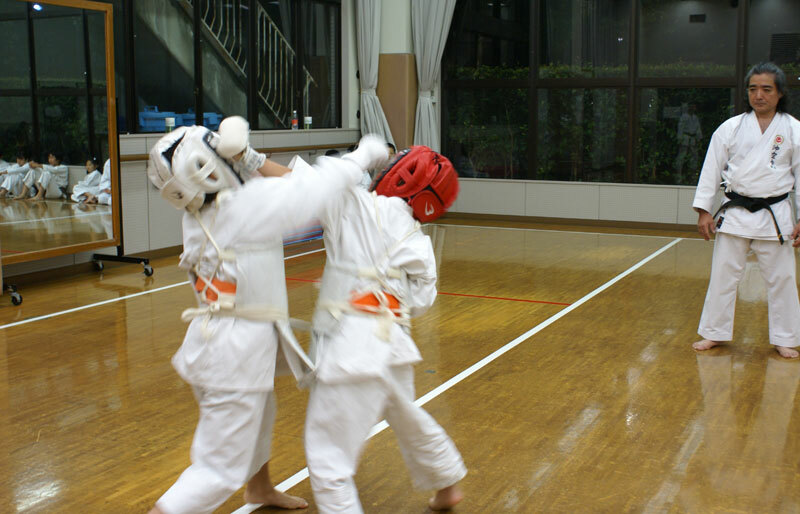 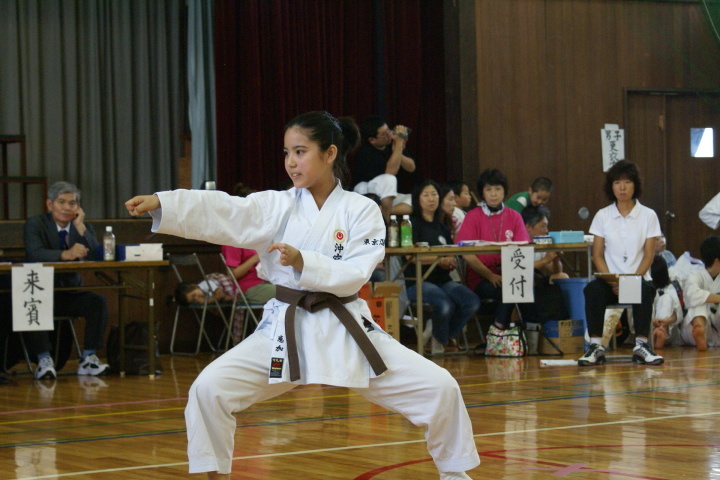 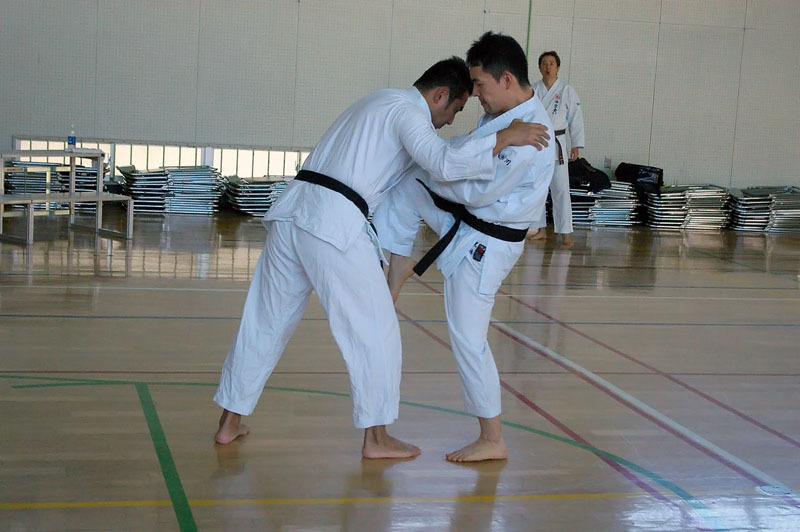 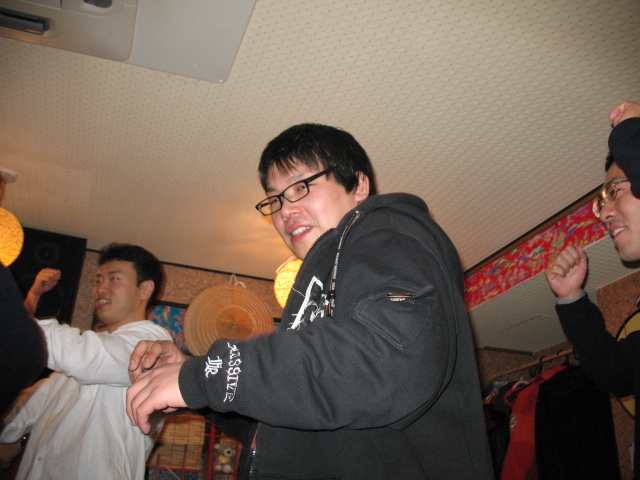 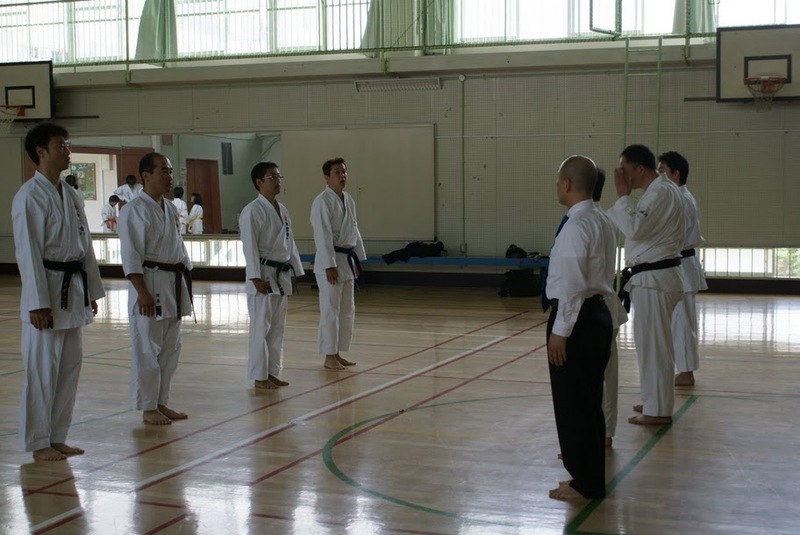 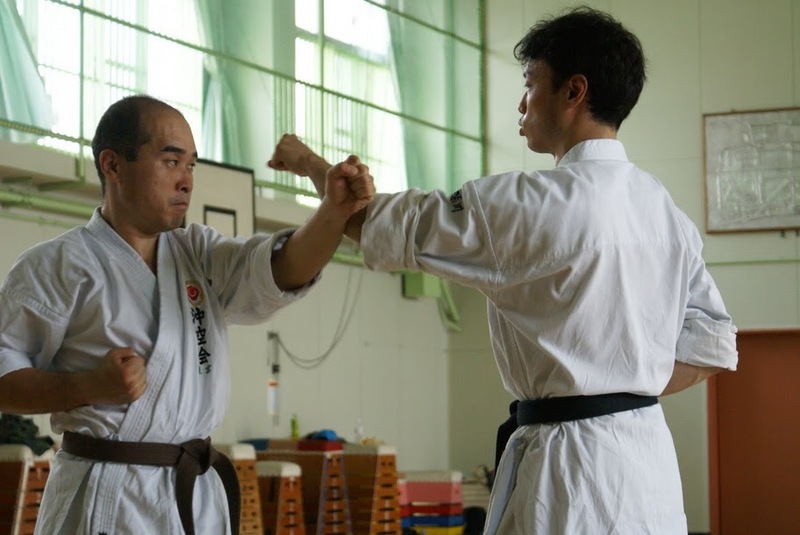 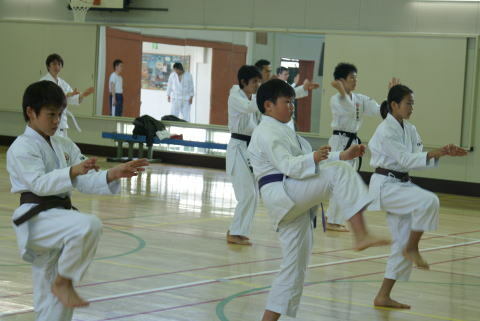 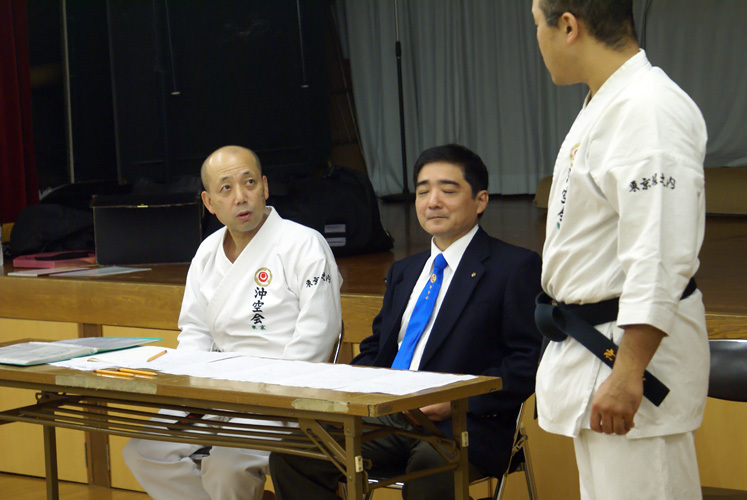 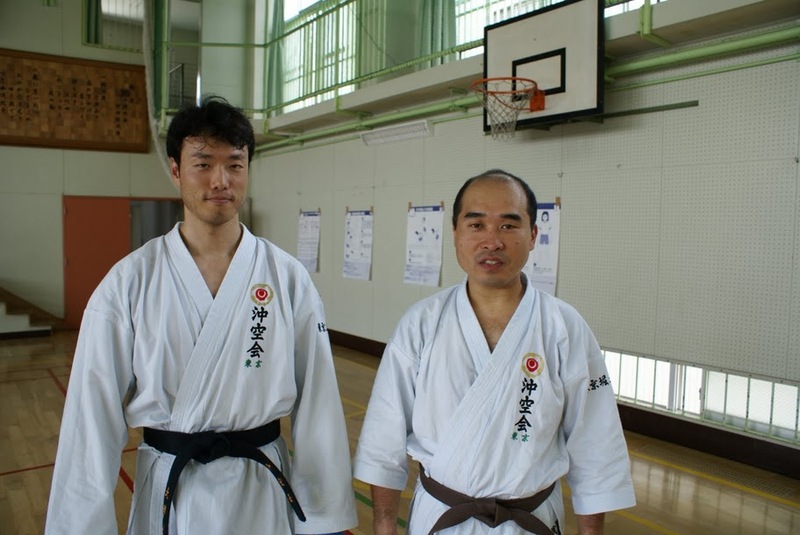 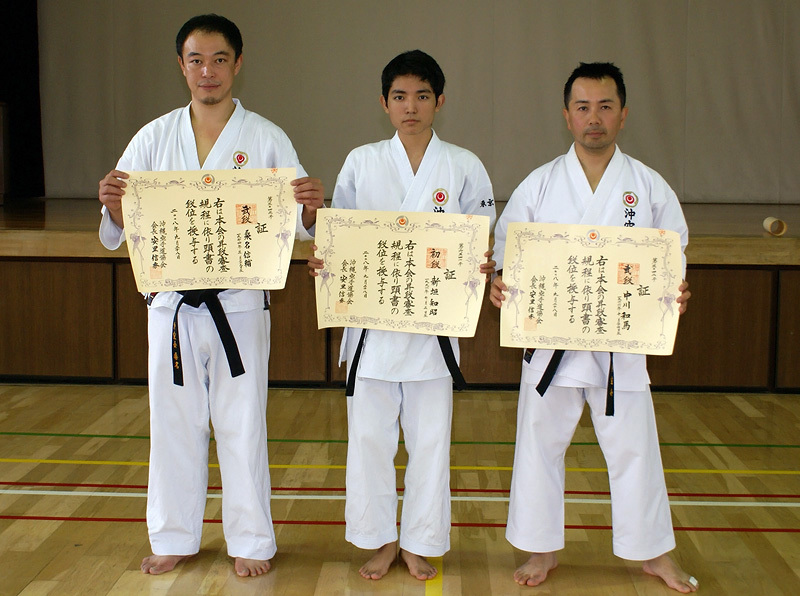 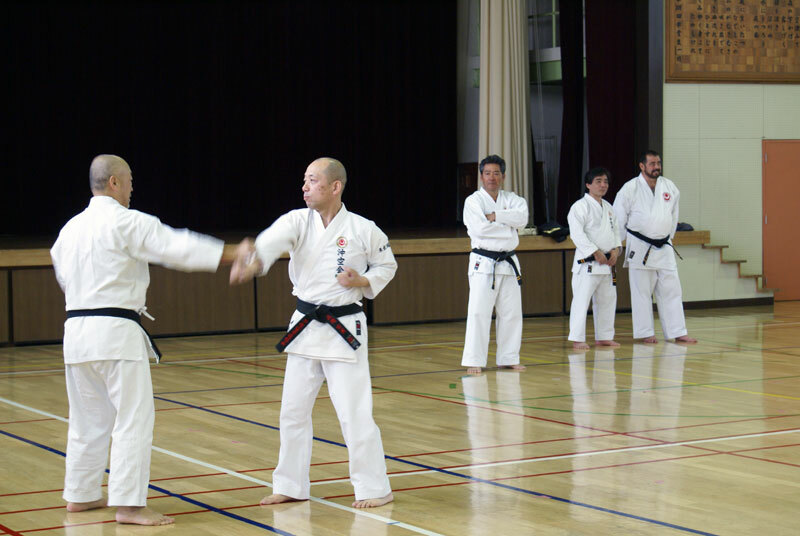 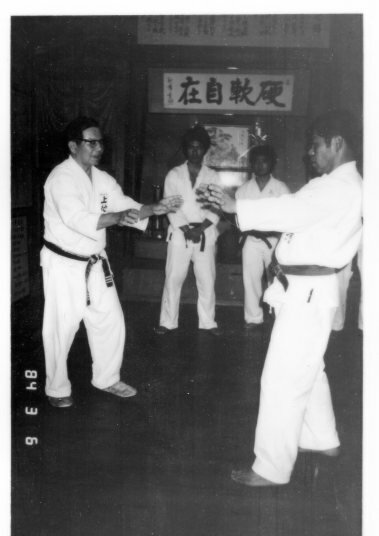 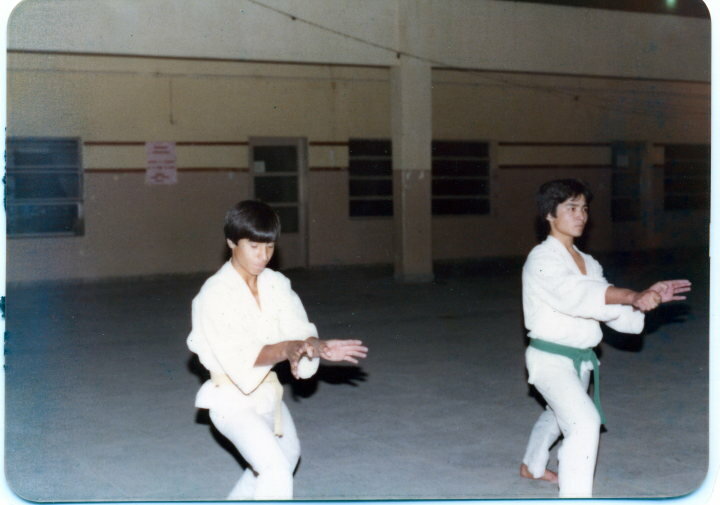 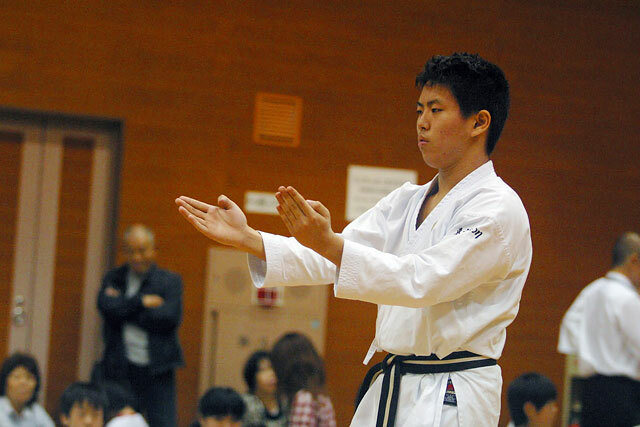 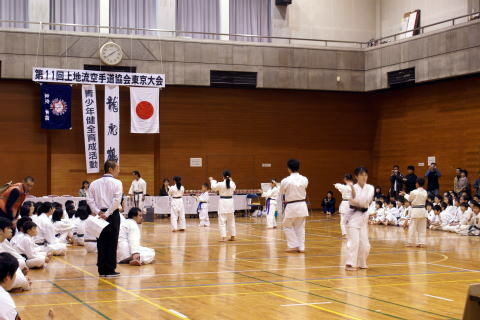 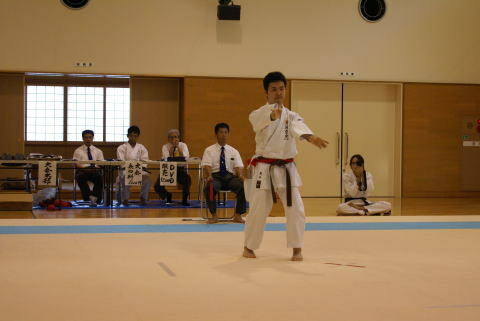 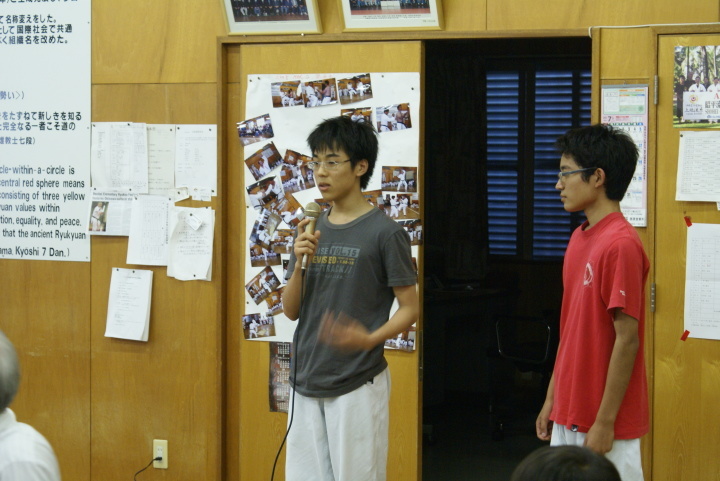 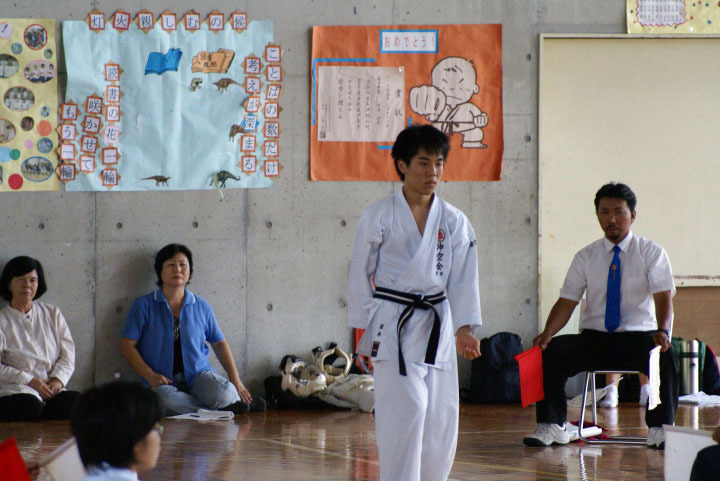 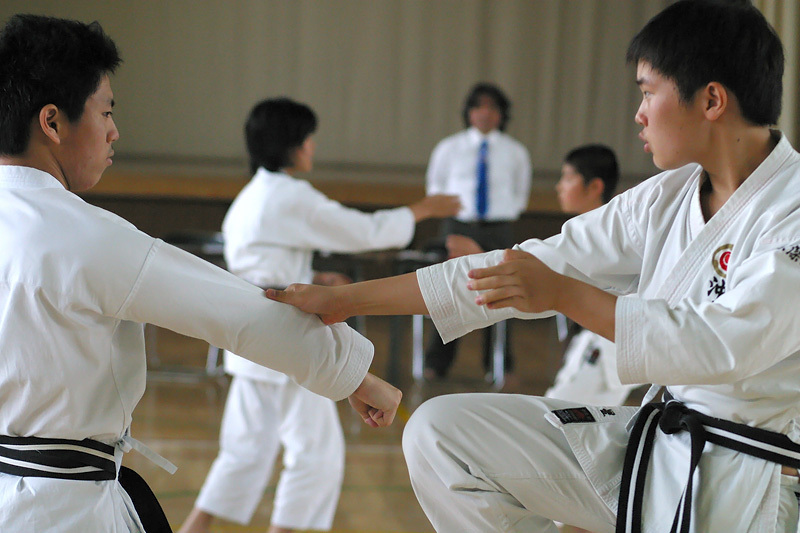 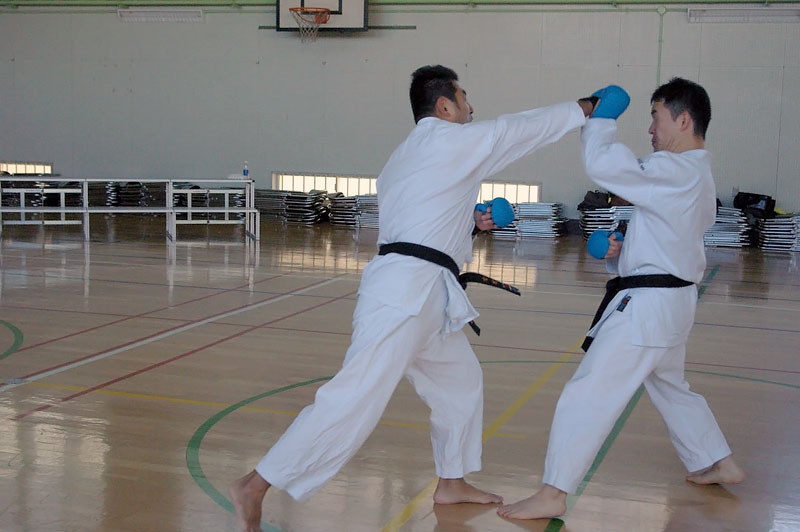 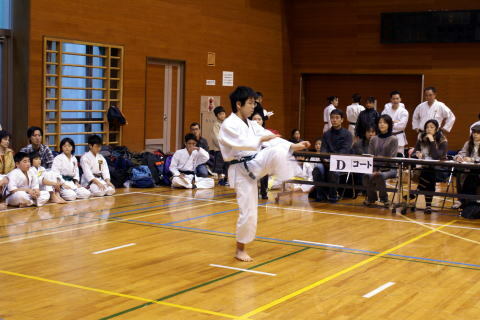 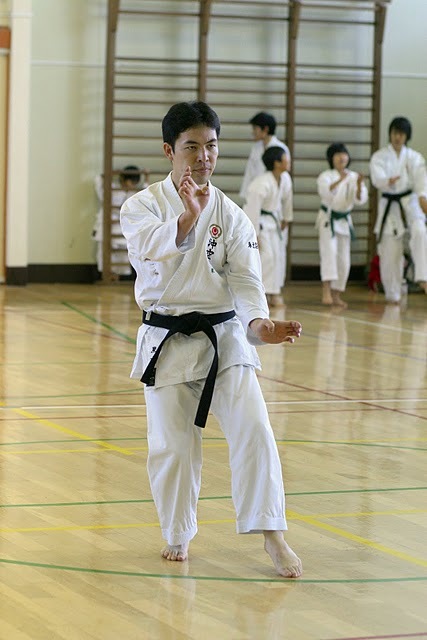 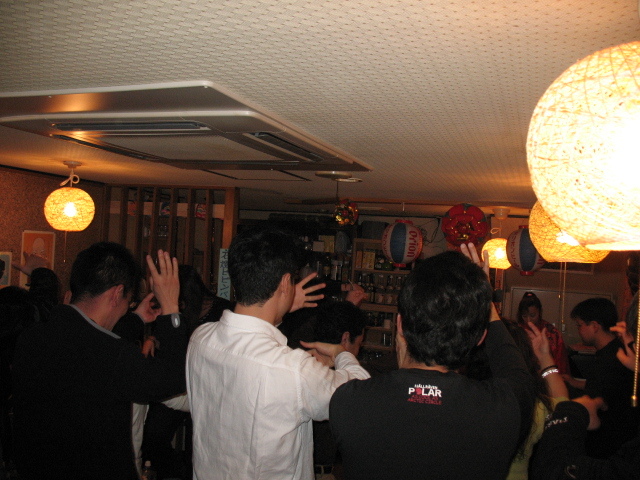 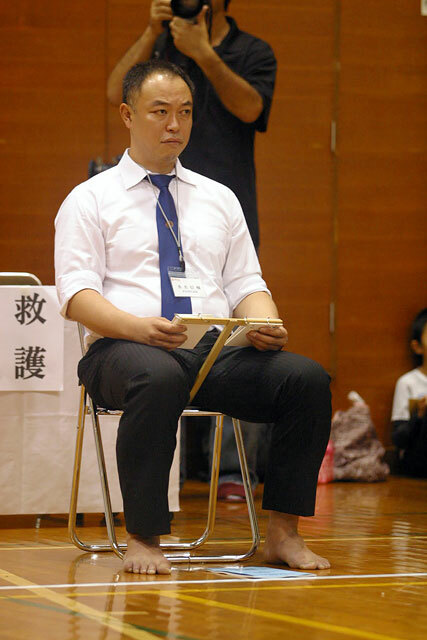 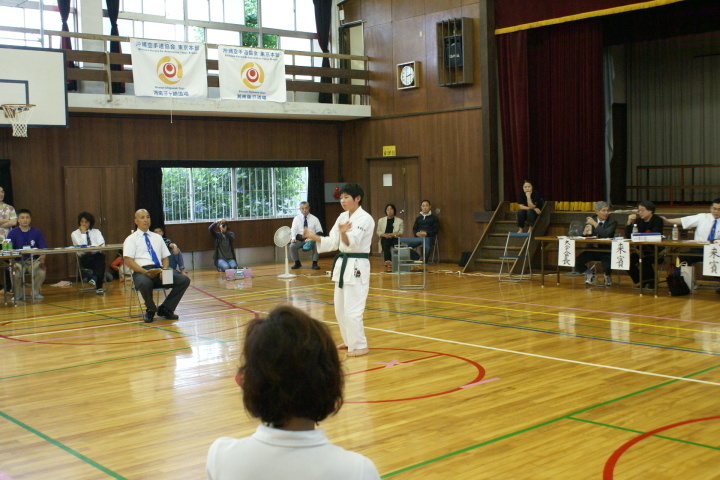 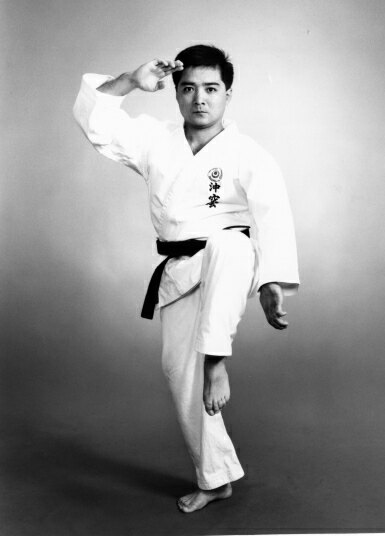 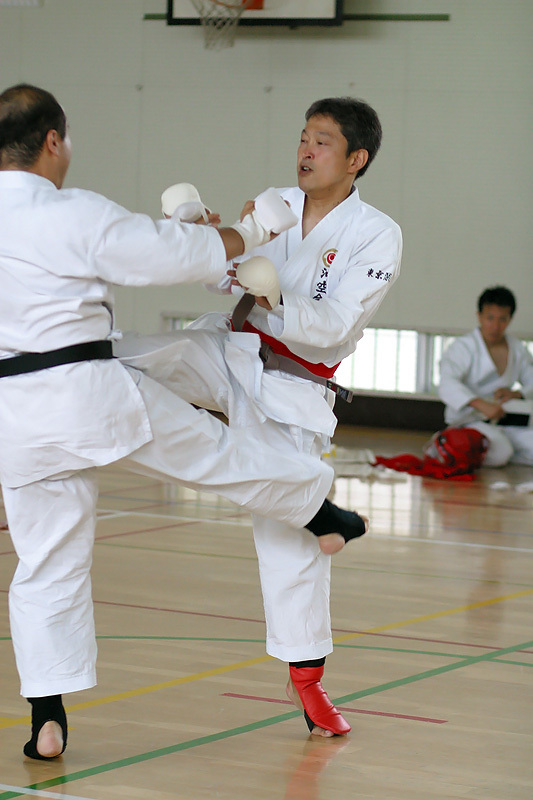 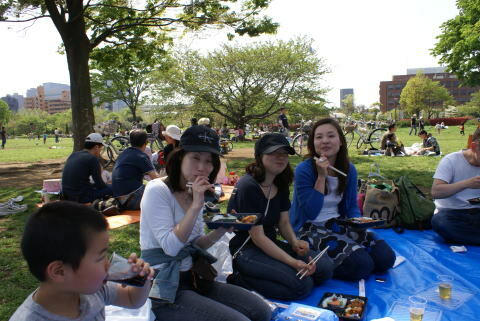 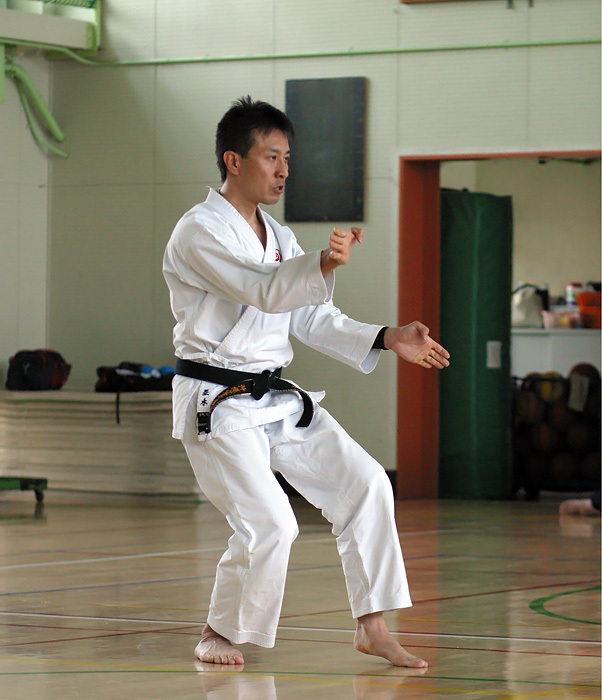 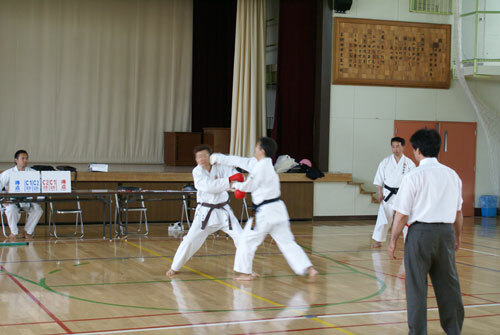 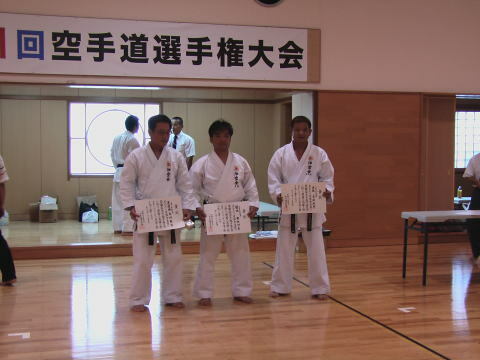 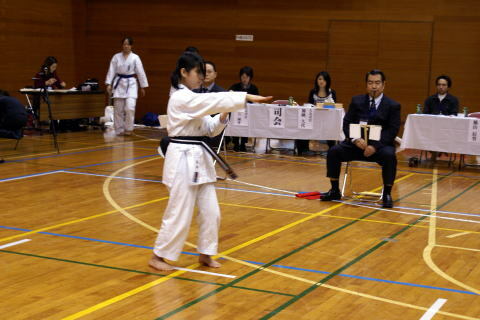 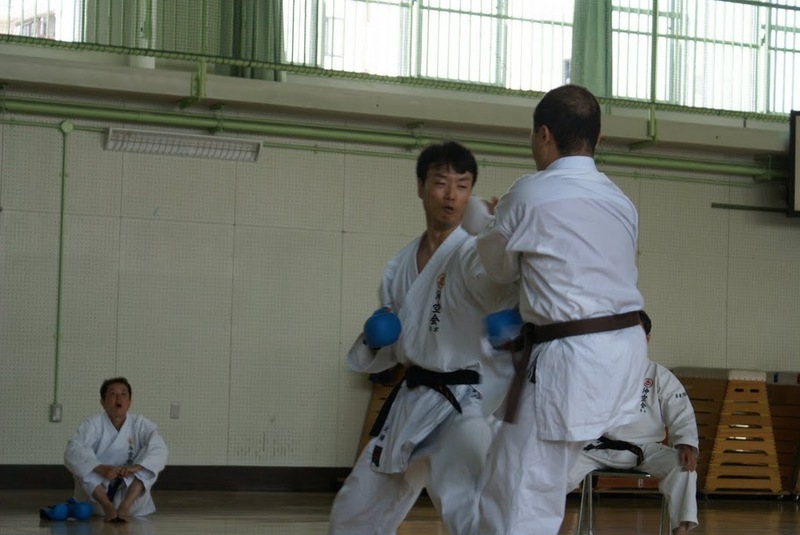 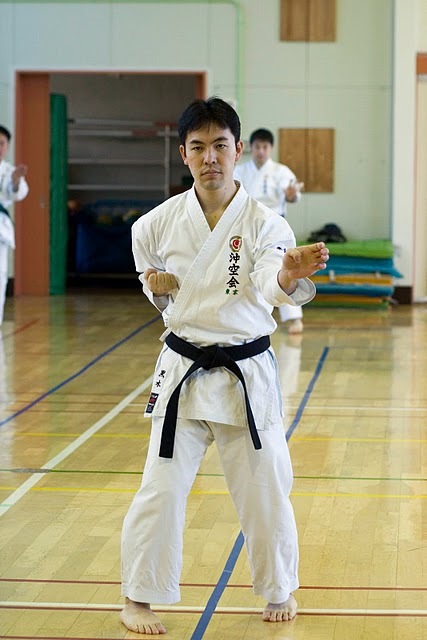 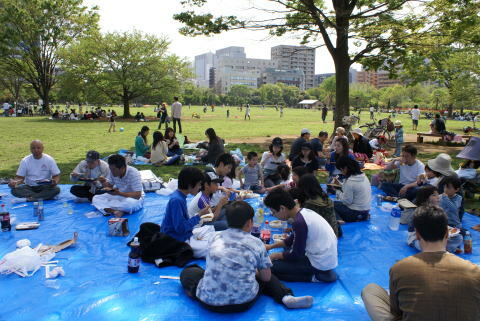 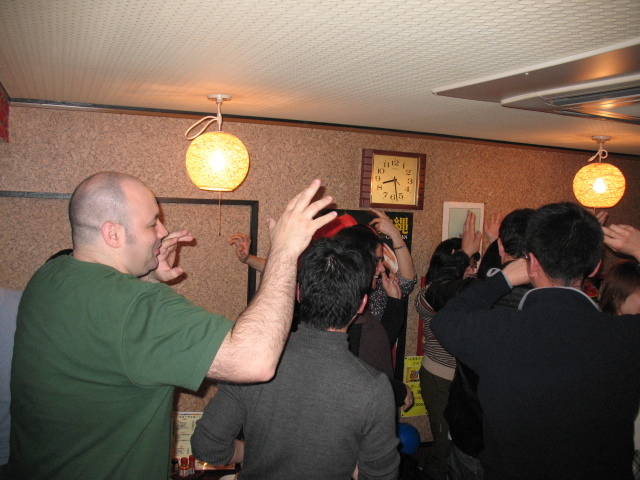 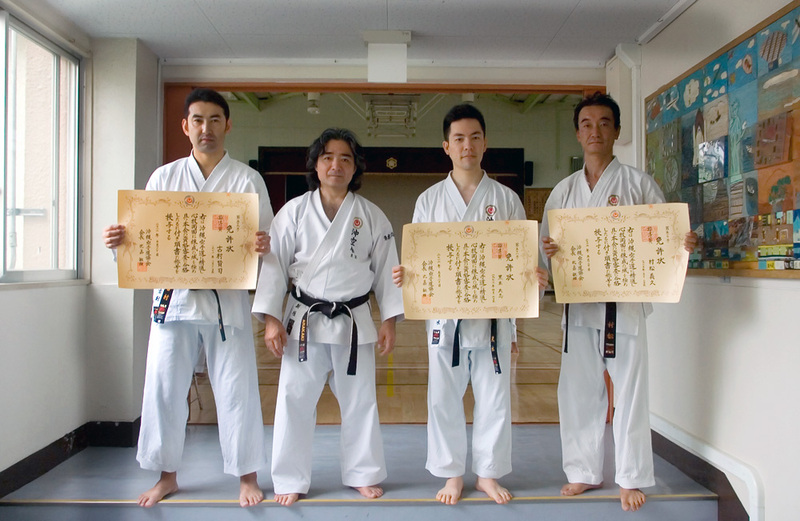 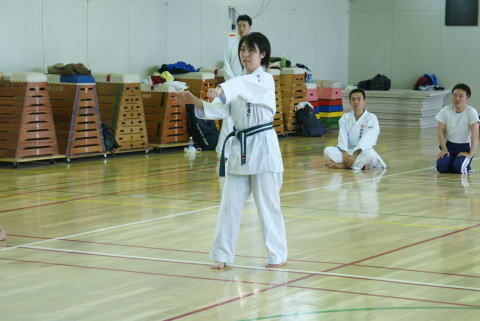 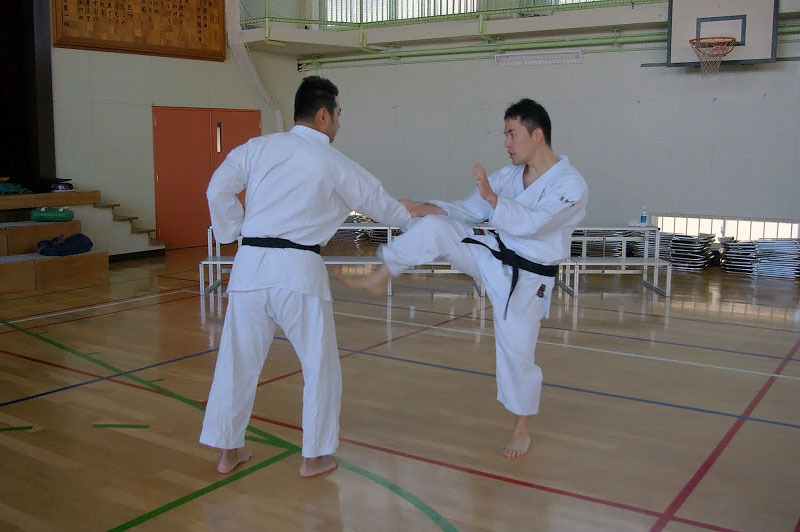 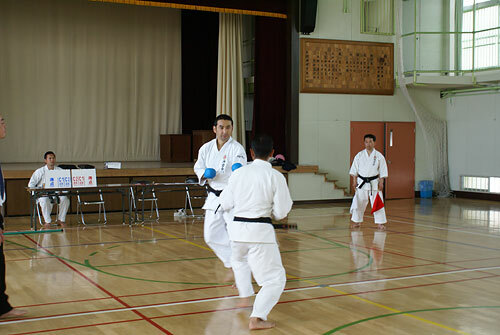 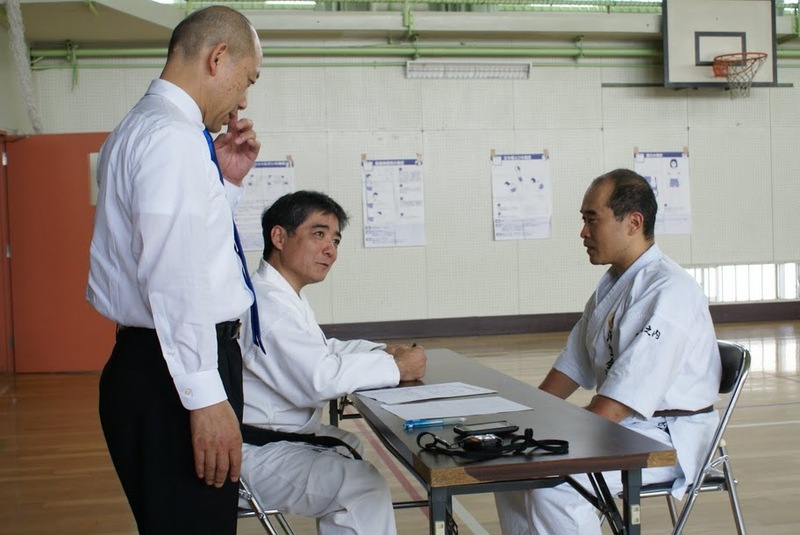 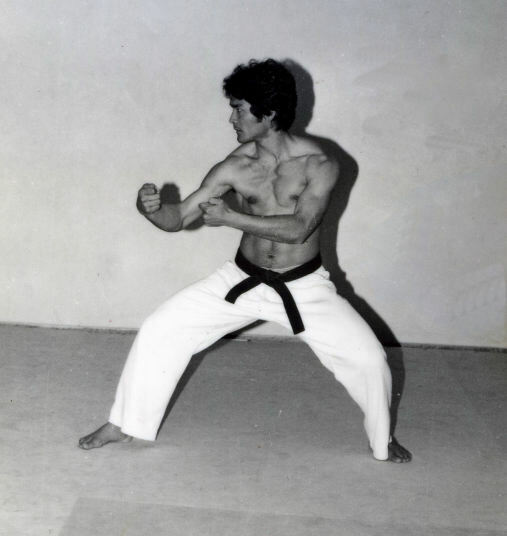 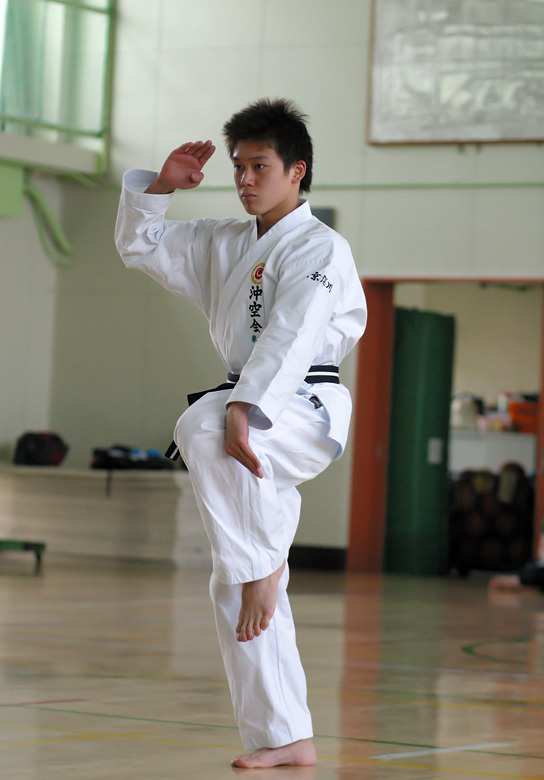 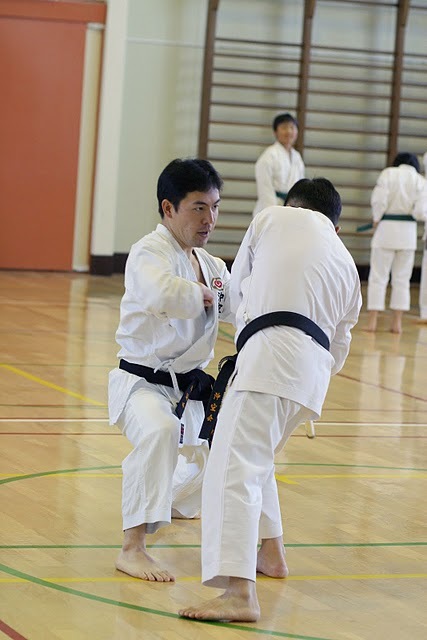 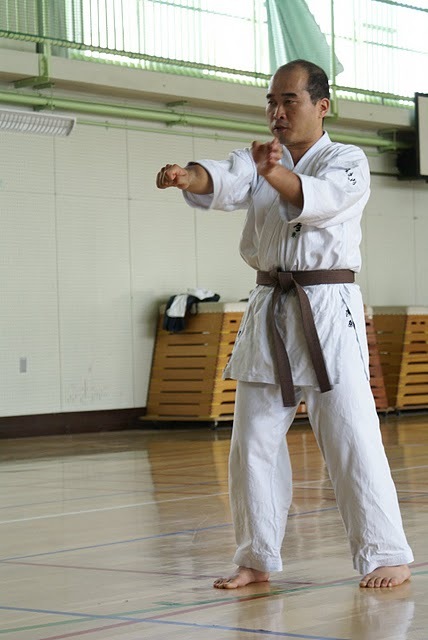 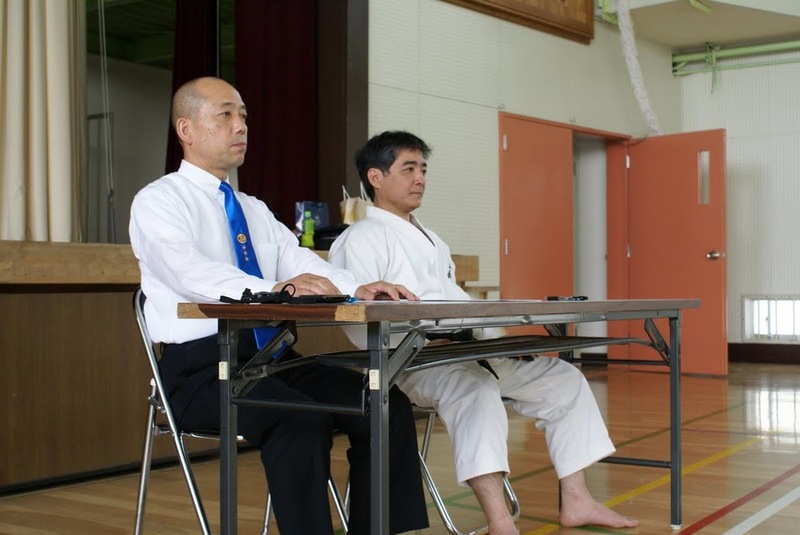 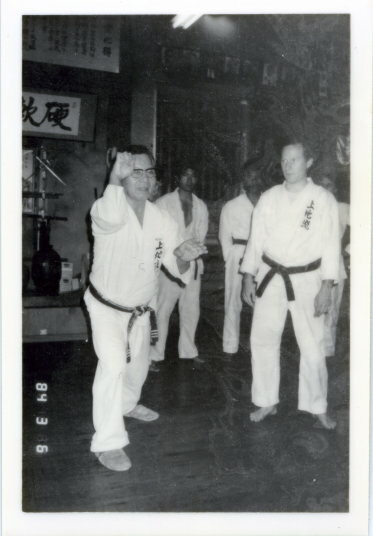 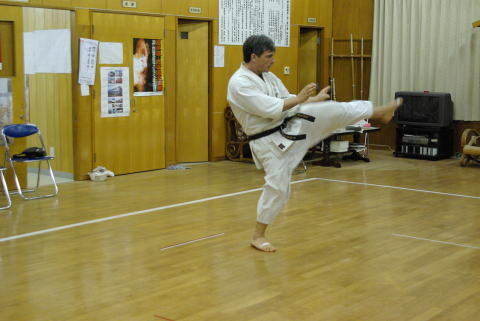 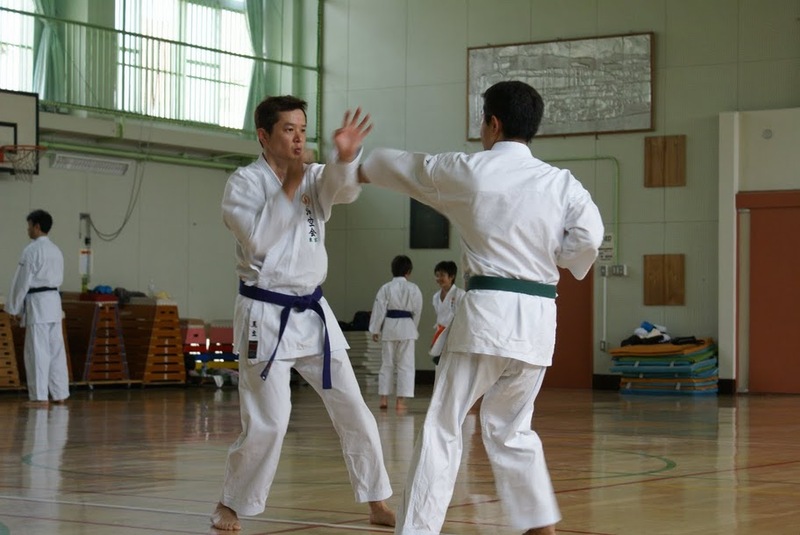 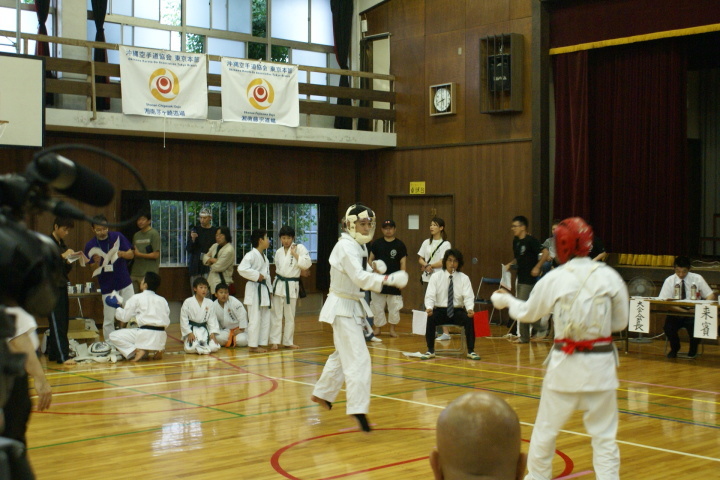 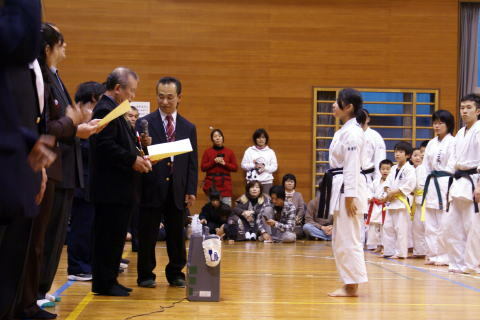 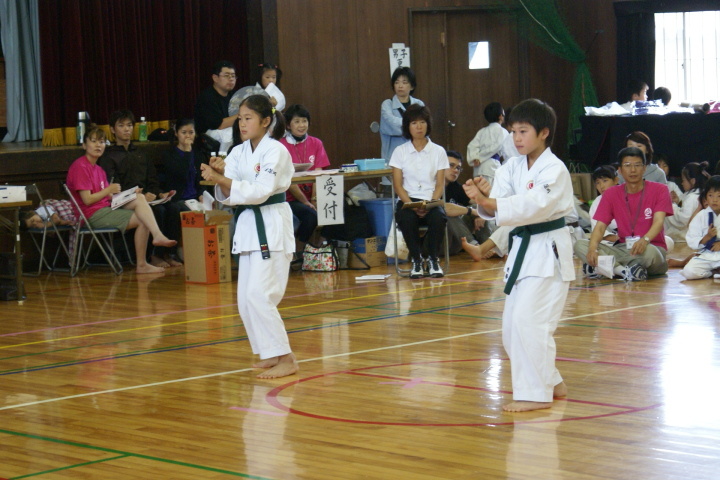 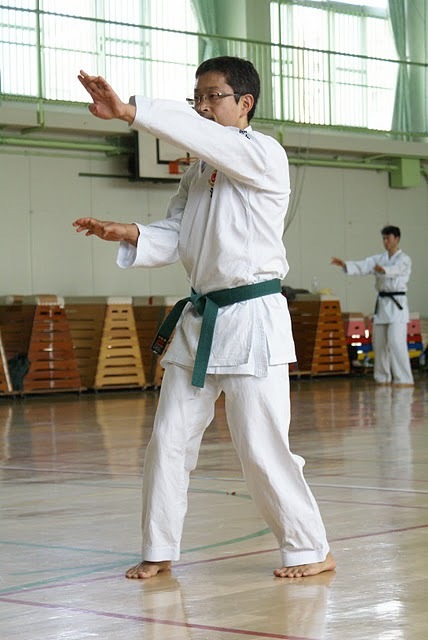 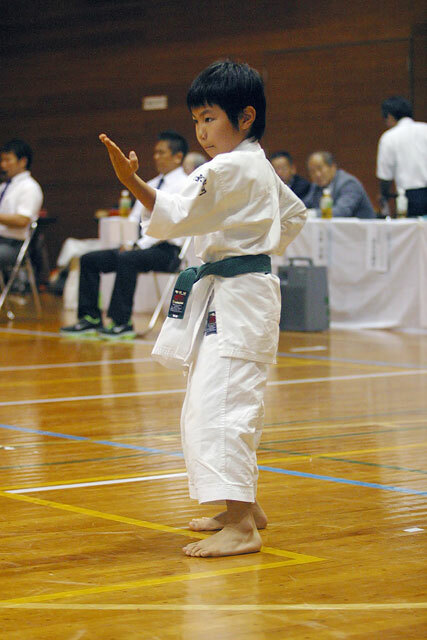 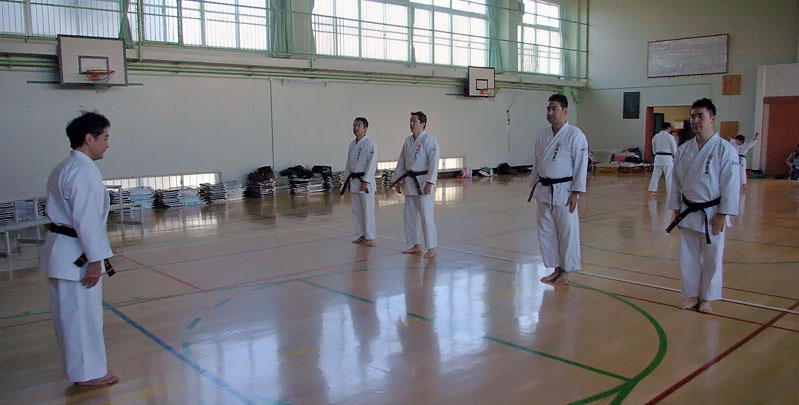 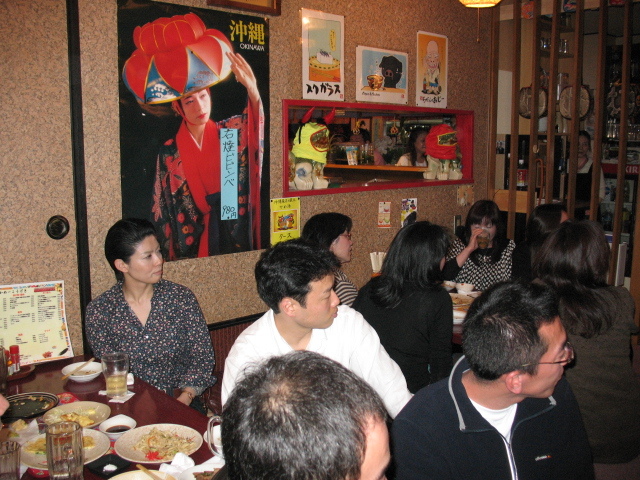 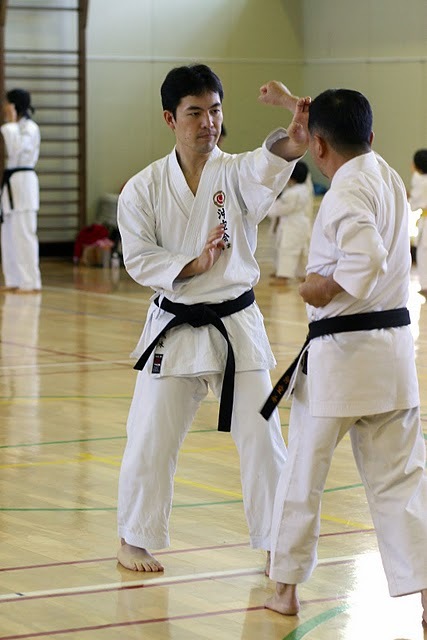 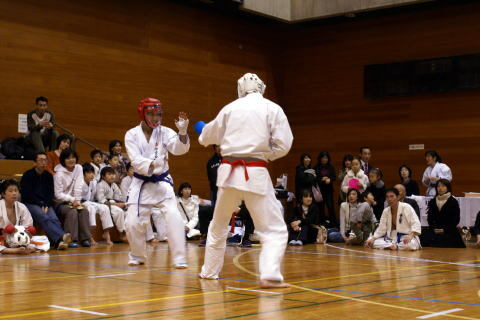 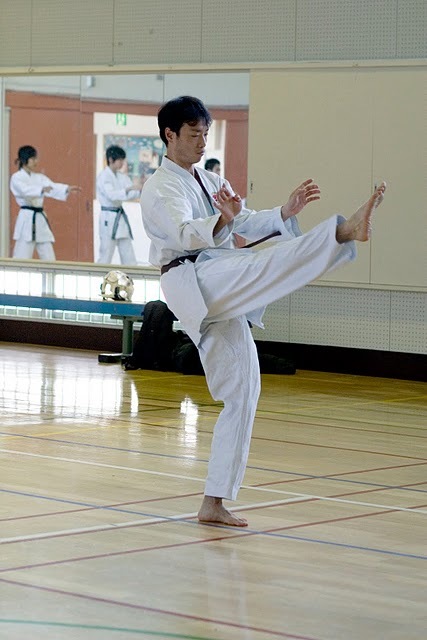 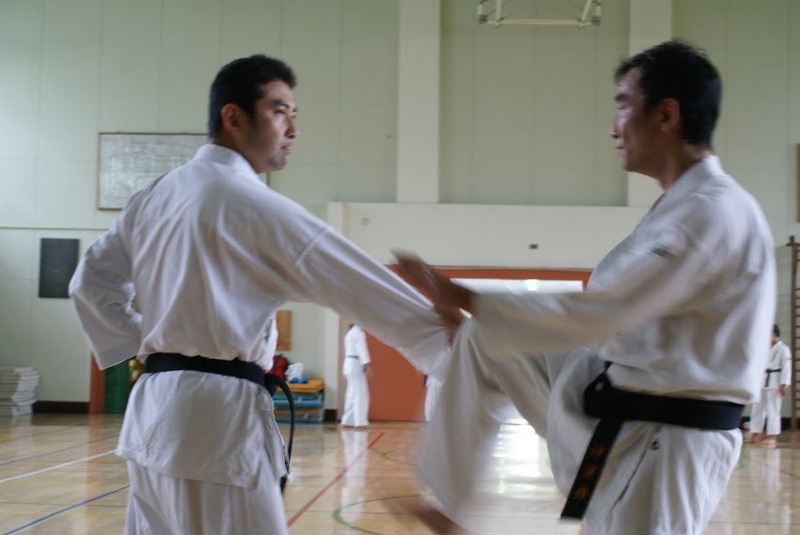 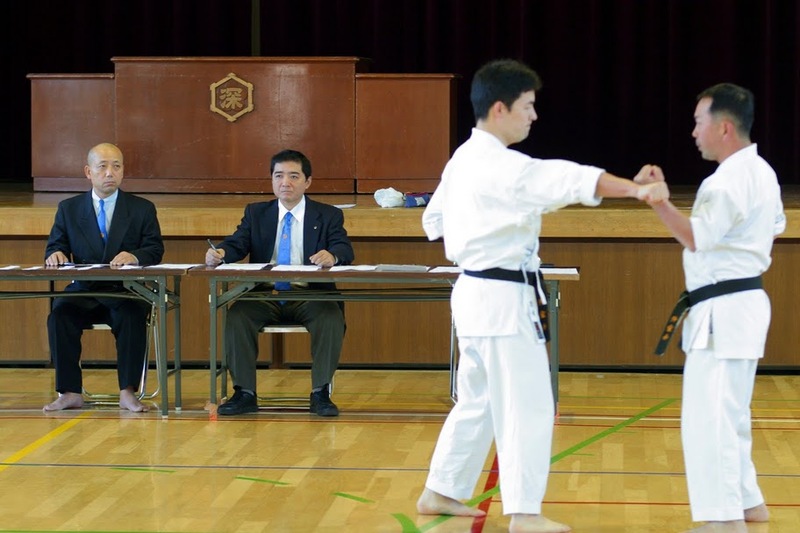 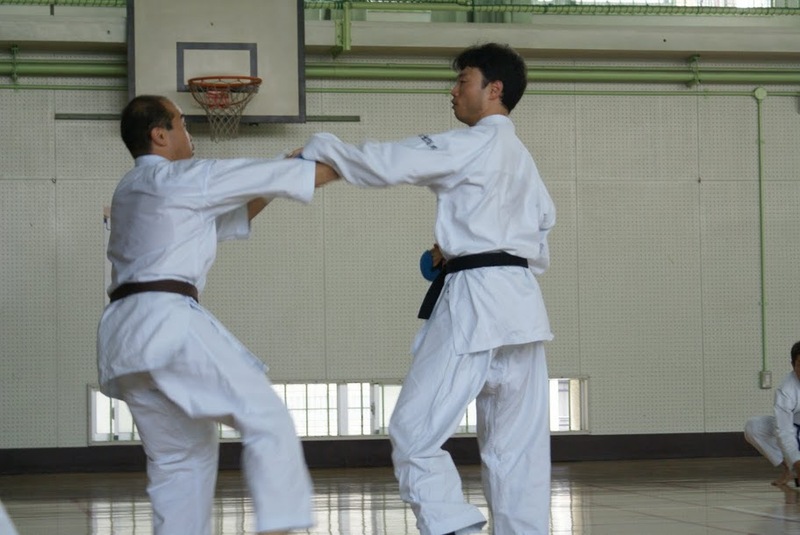 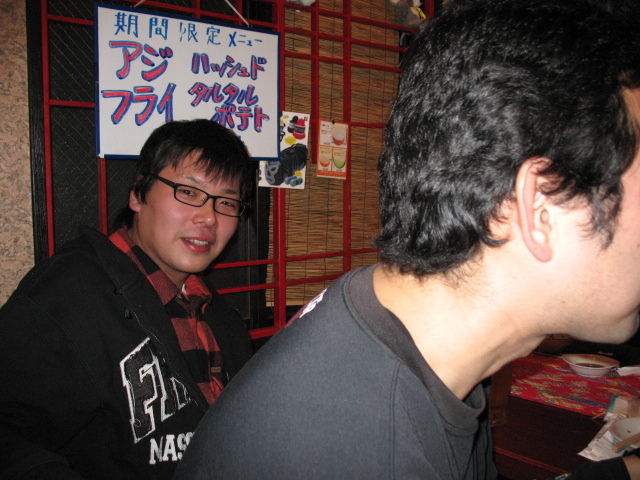 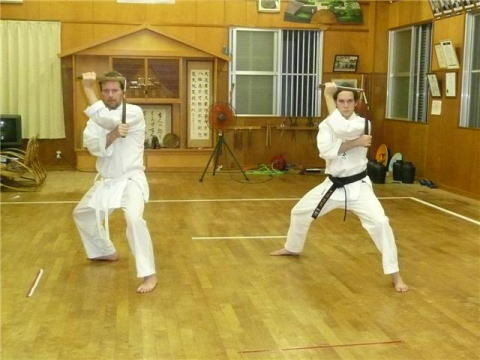 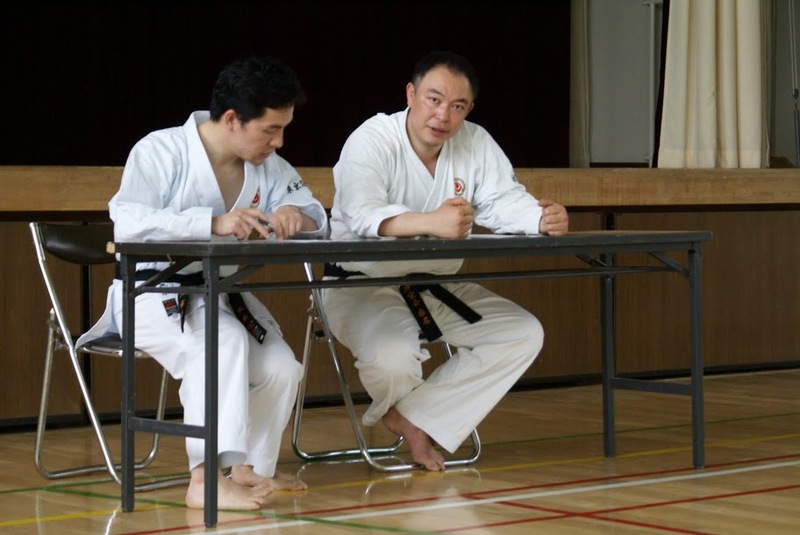 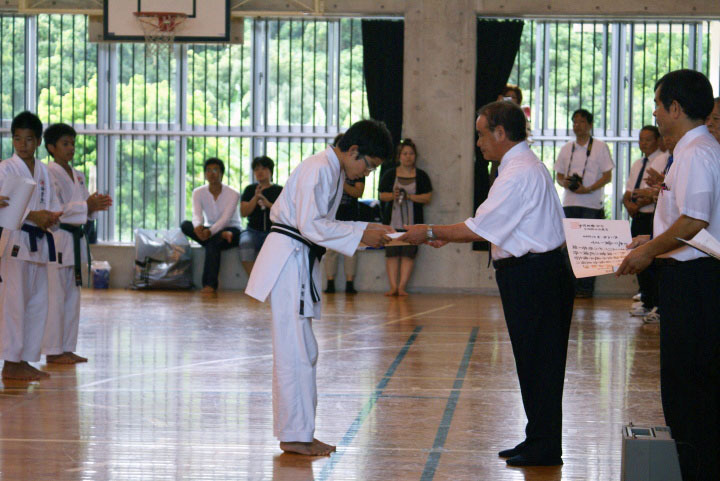 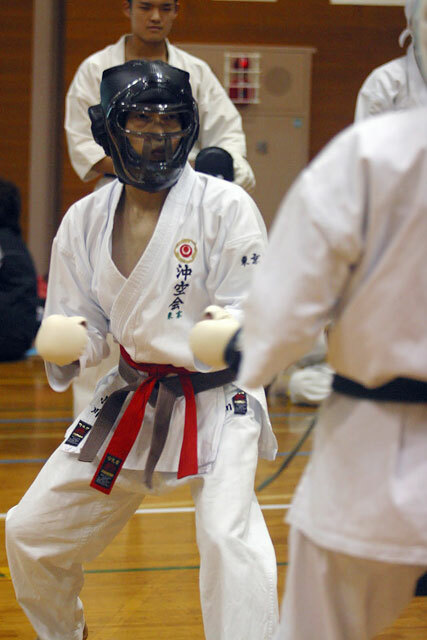 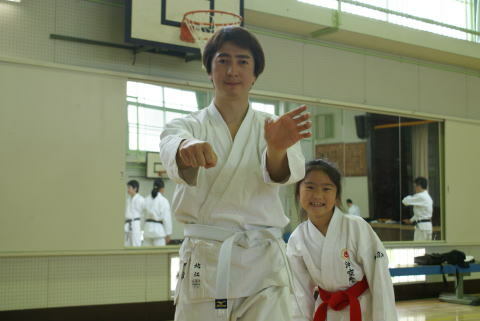 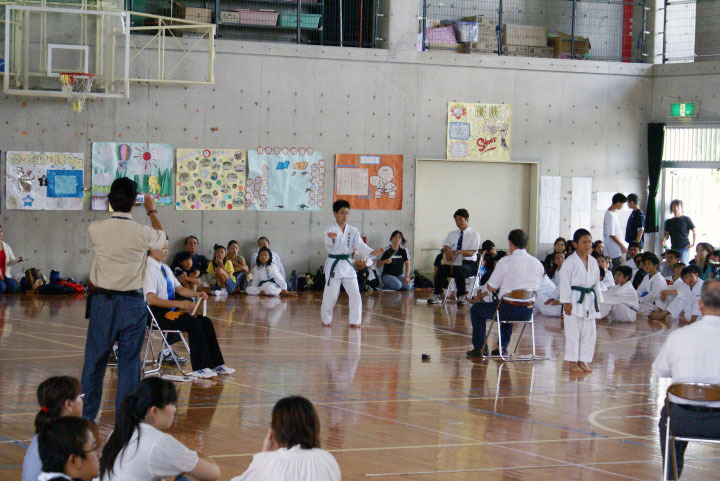 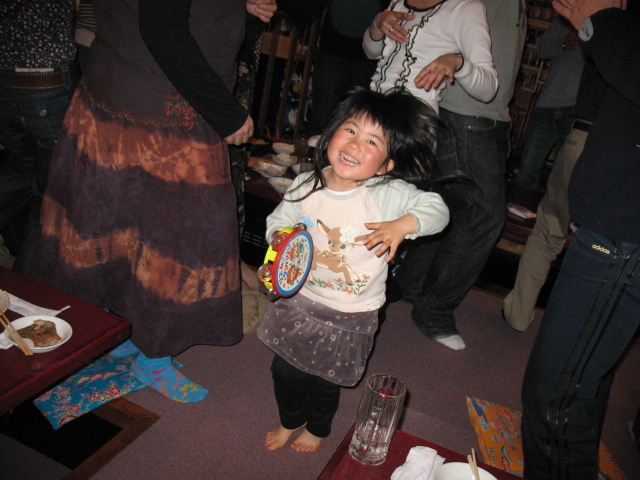 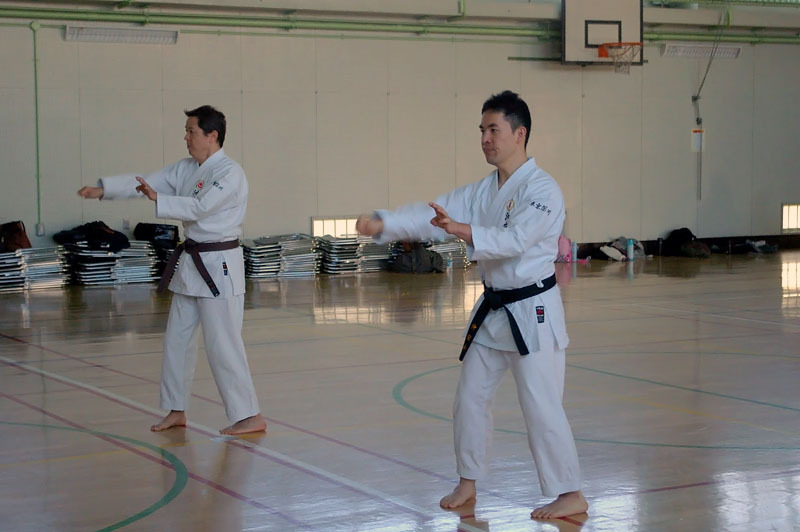 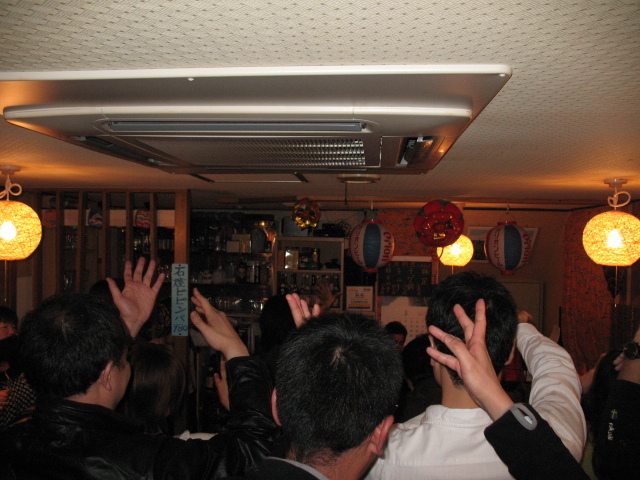 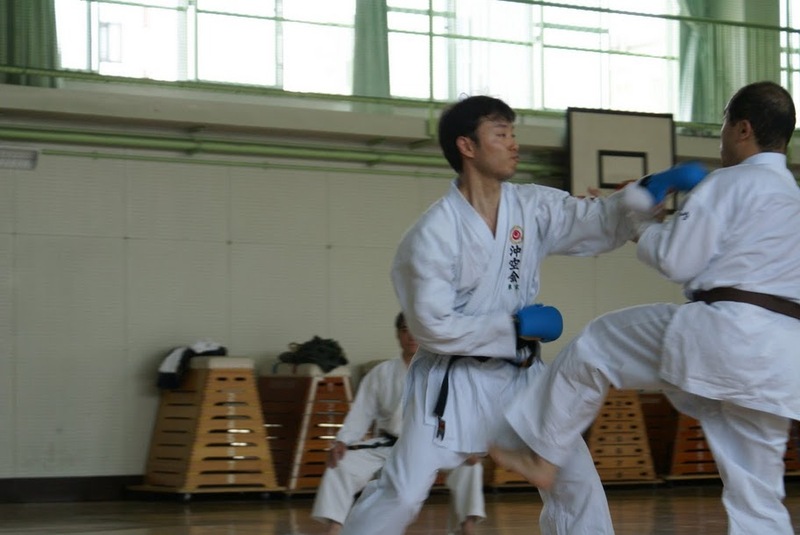 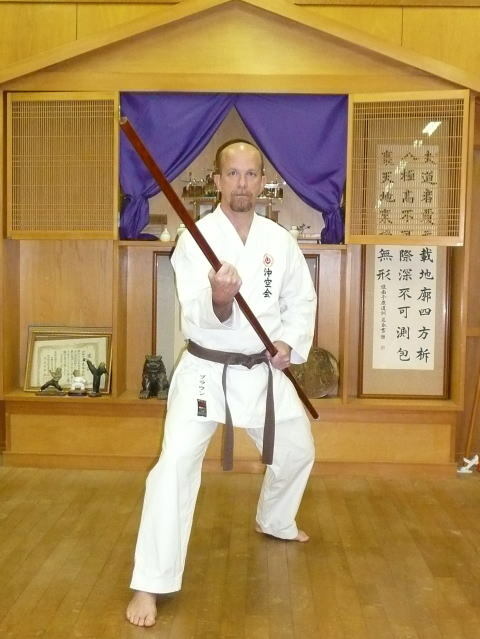 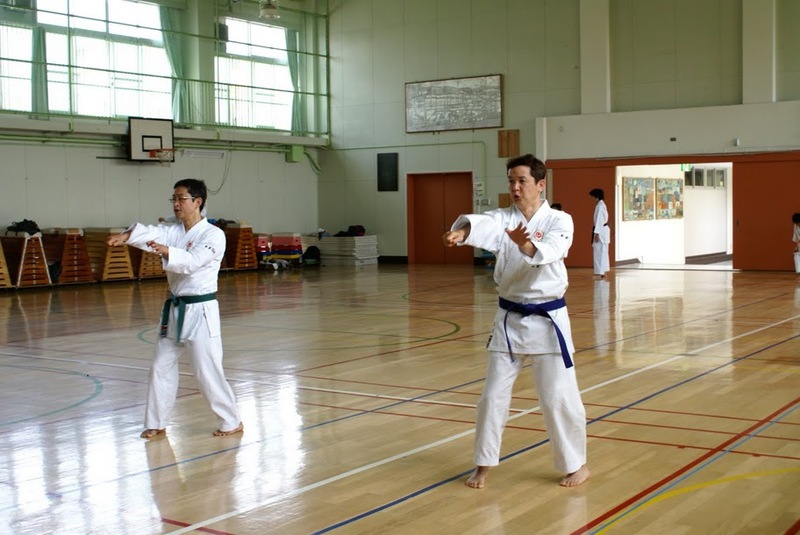 The agenda of the seminar consisted of the realization of basic exercises of that style , strengthening arms and legs, Sanchin Kata , Seisan Kata (for Dan ) and Kanshiwa Kata ( for kyus ). 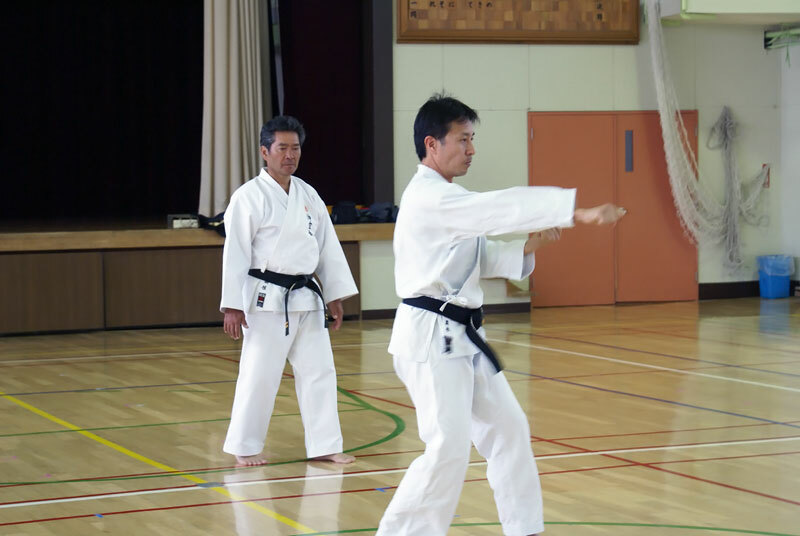 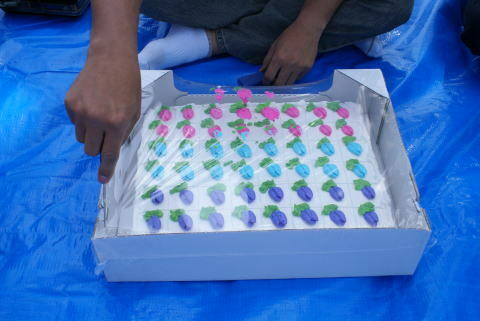 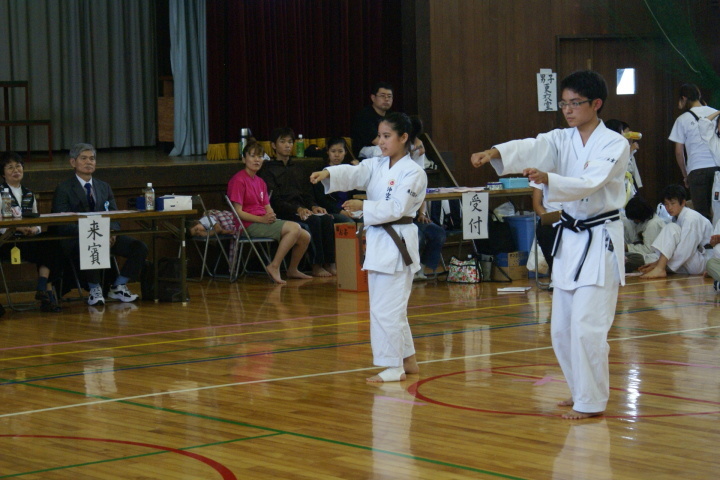 Also they did a demo of Sanchin Kitae and a technique for wood breking ( with the collaboration of Sensei Arakaki Shozen and Mr Miyagi Fernando).